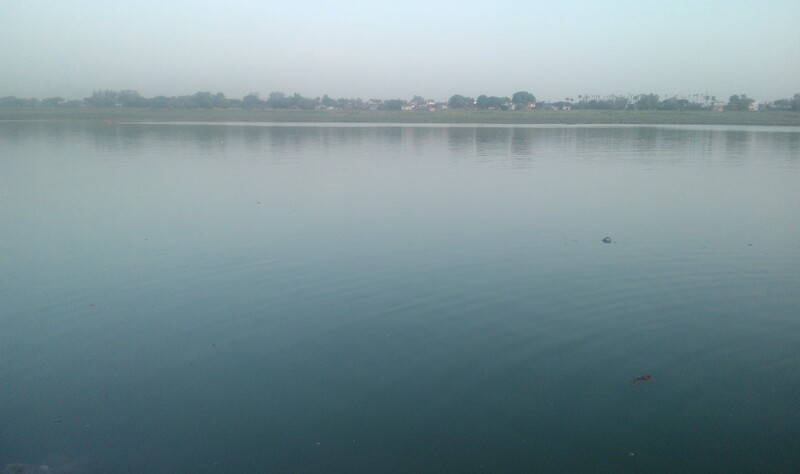 I have no hesitation in admitting that Allahabad (ancient name Prayag) redefined my beingness.It made me down-to earth, allowing me to view life in its true shades. 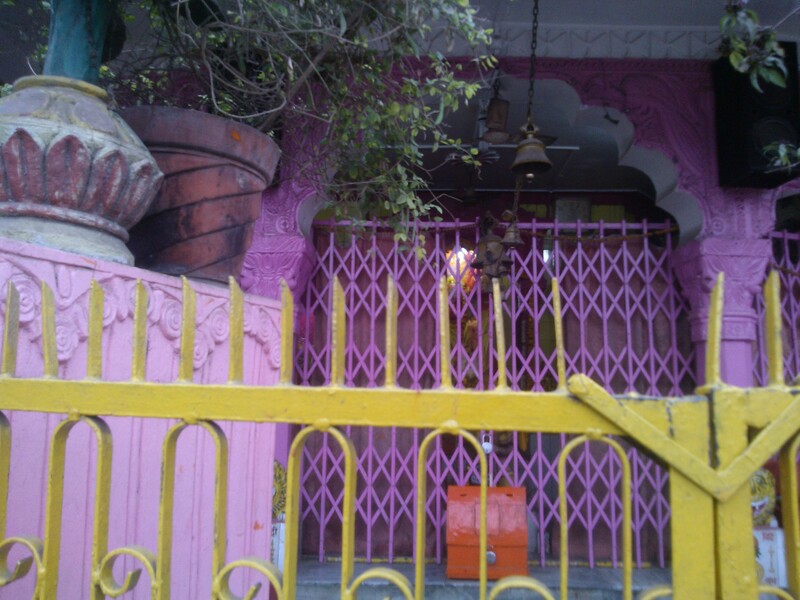 Although I tried my best to capture all the shades of Allahabad, I am sure I would have missed some beautiful locations. 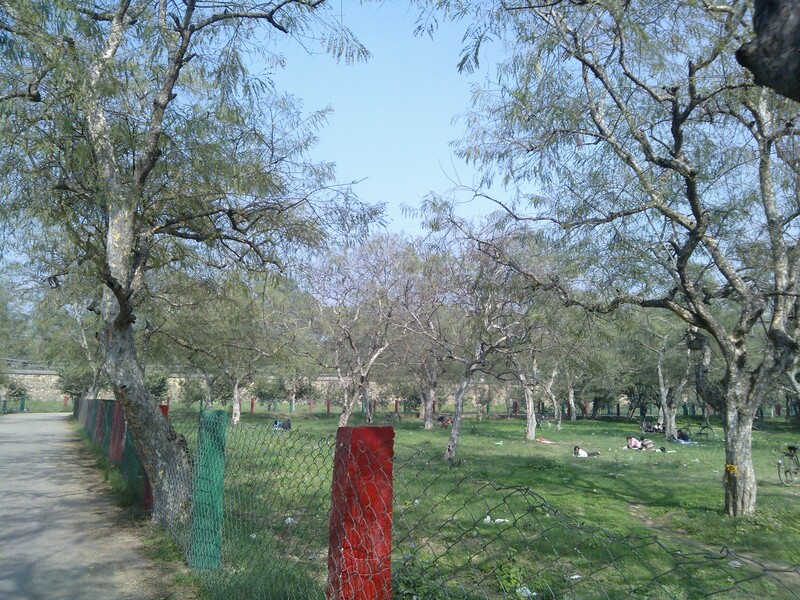 I hope future writers would explore these untouched places in a colourful way. 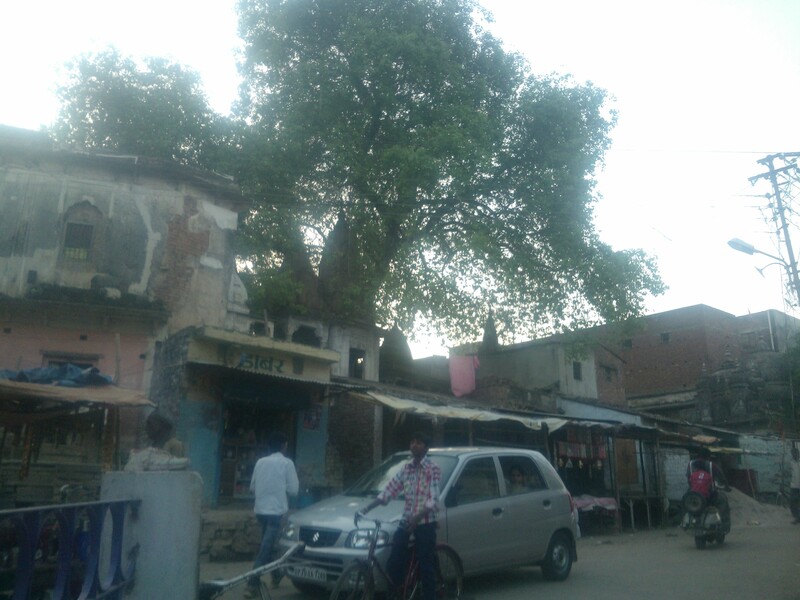 However, in the last part of the photo feature, I have shifted my attention from modern landscape of Allahabad to areas which still remind of the ancient times. 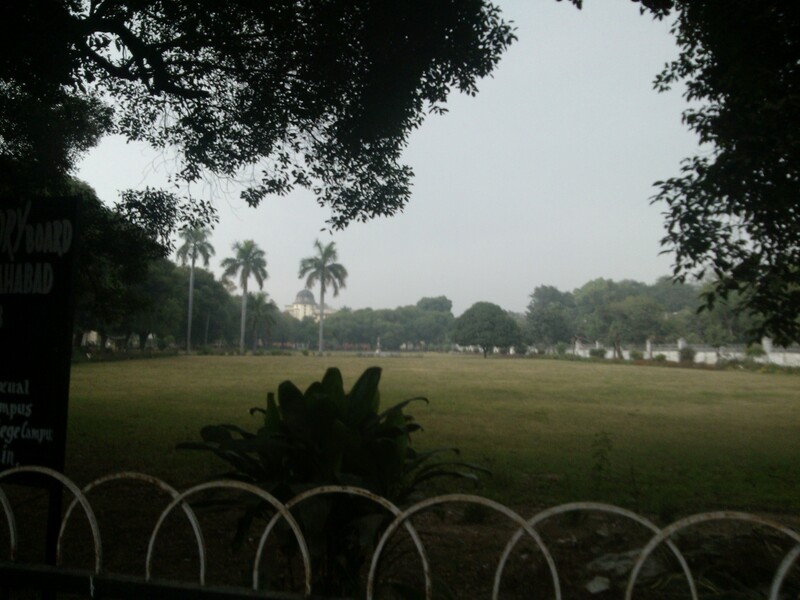 Infrastructural bottlenecks prevented me from using state-of-the-art technology in capturing the images and that made me bit depressed. 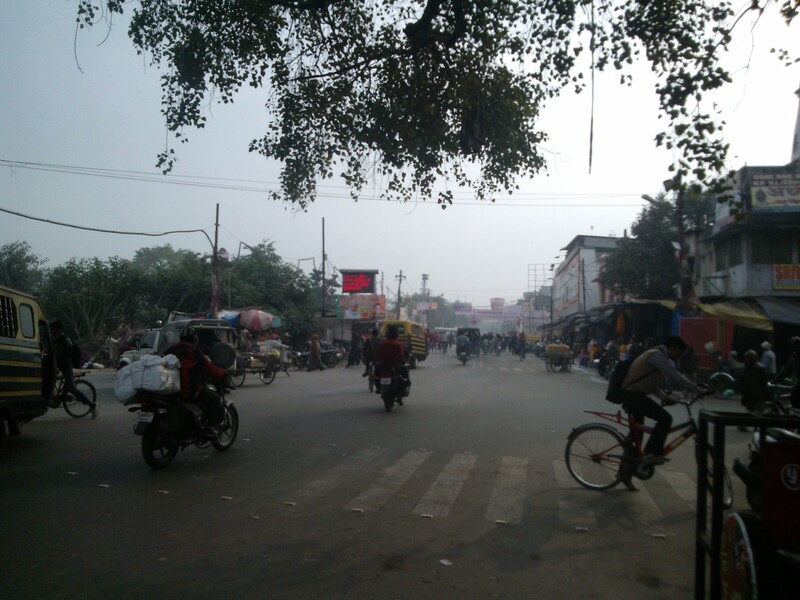 However, now in the aftermath of the publication of photo features, I feel pretty satisfied that I still came to do some good work. 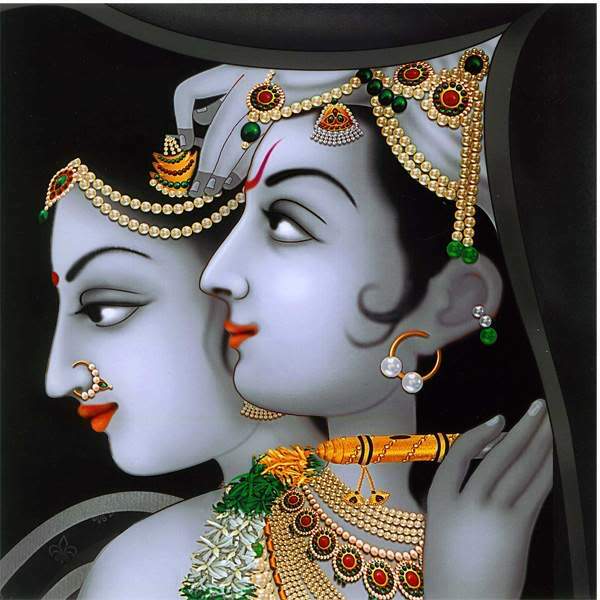 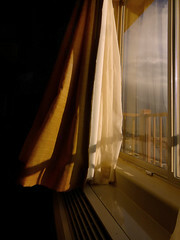 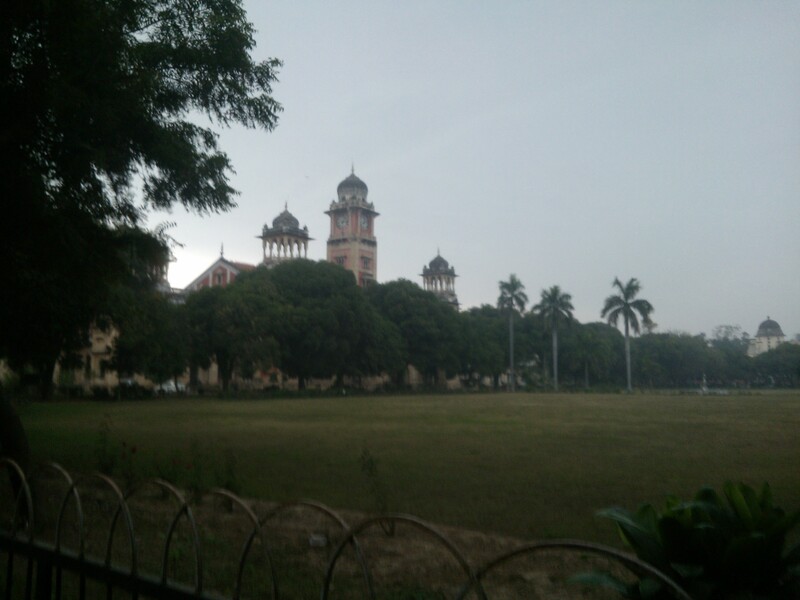 These photo features are a tribute to great city Allahabad- my birthplace. 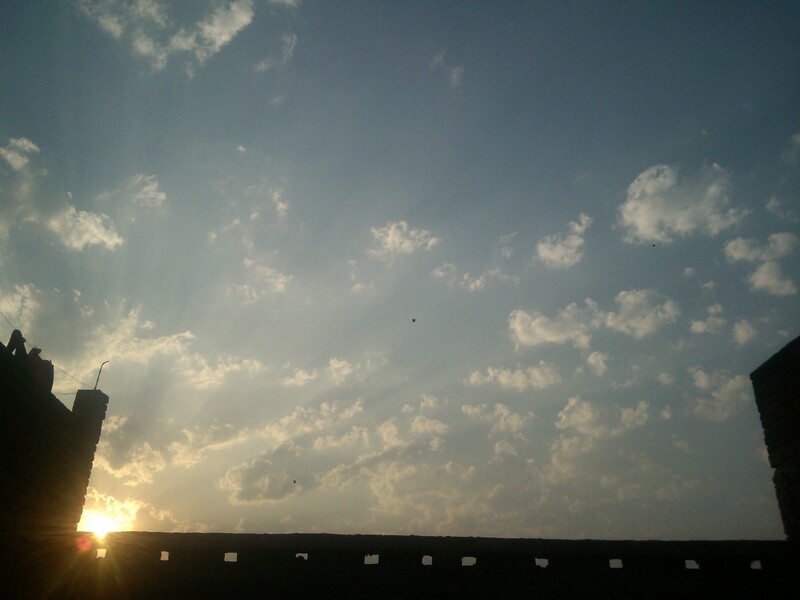 A city that taught me how to emerge successful in rising above contradictions to have glimpse of the Absolute! 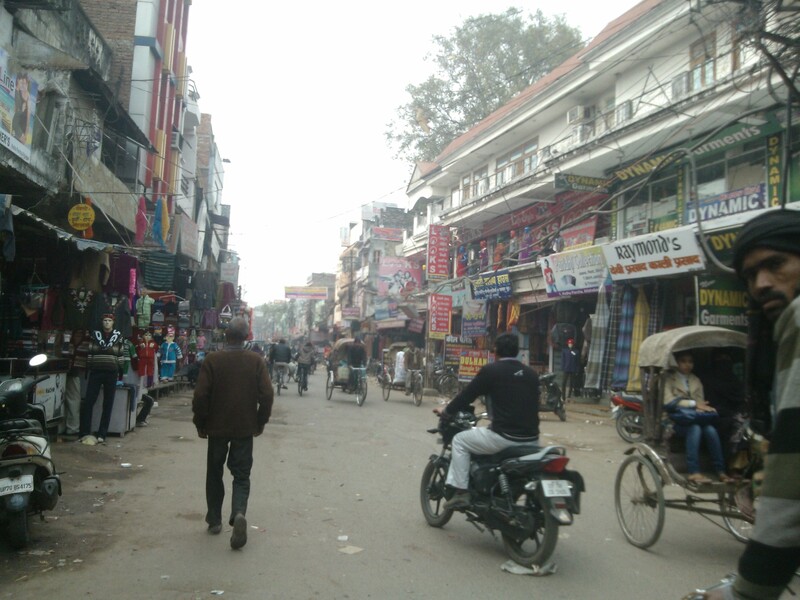 Katra resembles Varanasi city in its style and mannerism! 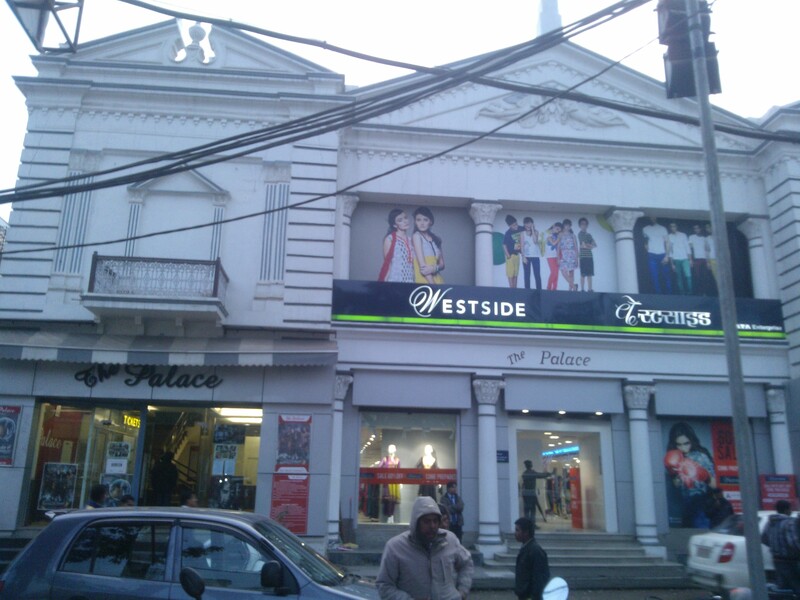 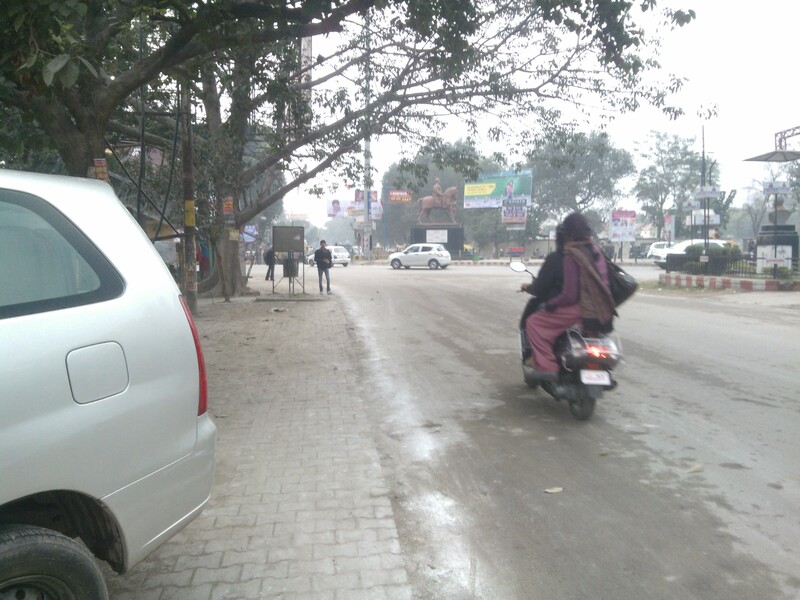 It was cold and foggy when I came to visit Katra but observe the rush at this place. 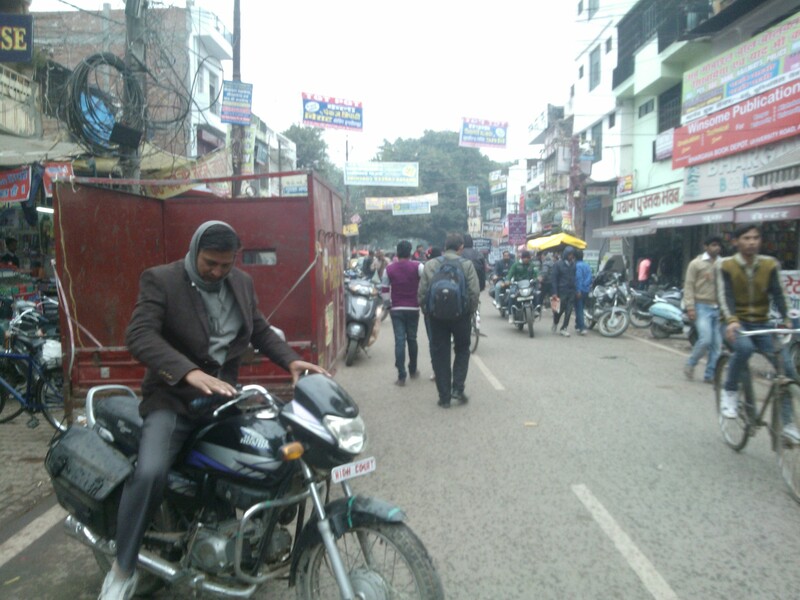 On ordinary days, this popular crossing at Katra is so full of people that traffic policemen are reduced to caricature of sorts while managing them! 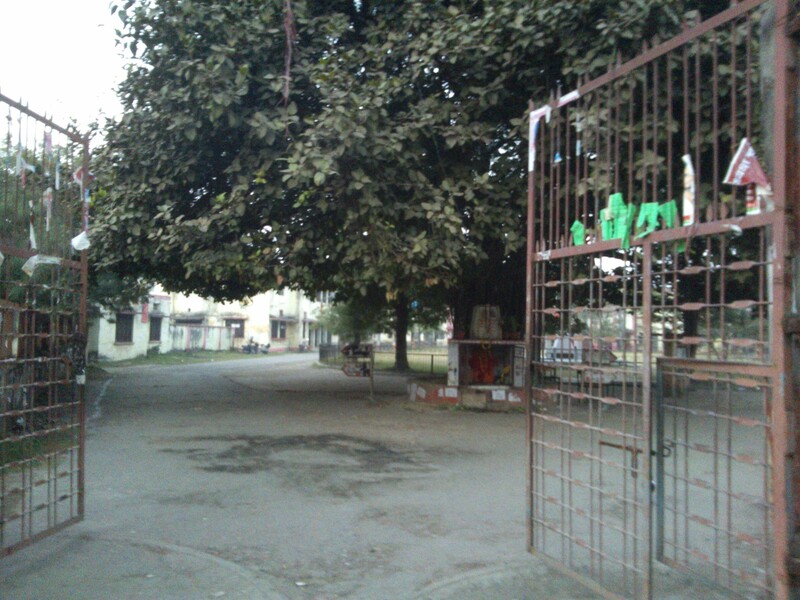 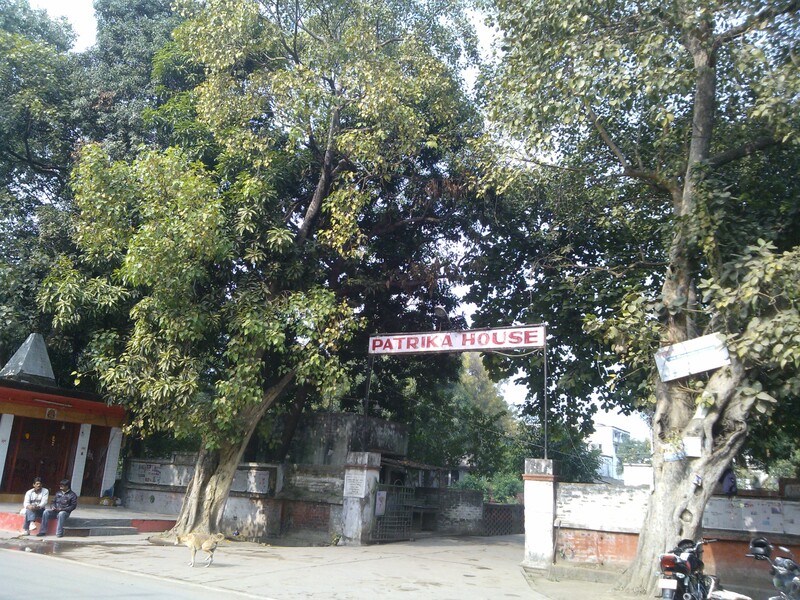 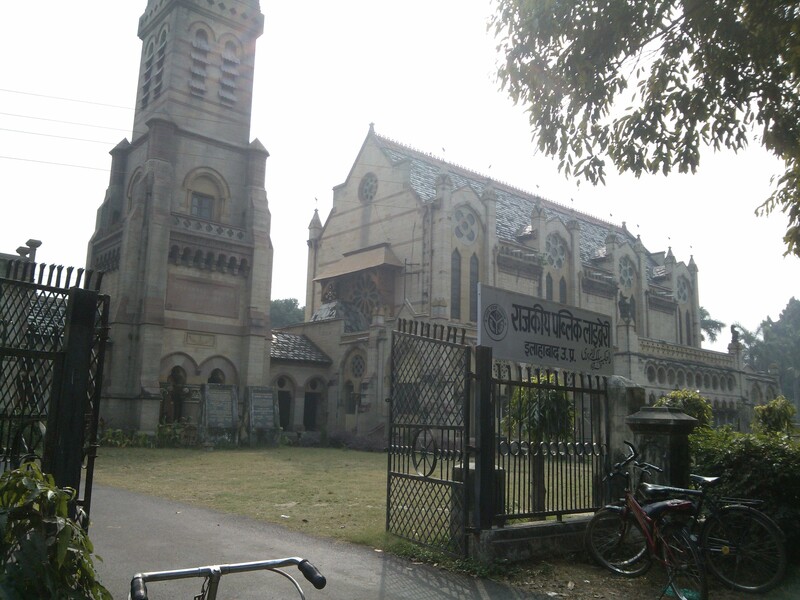 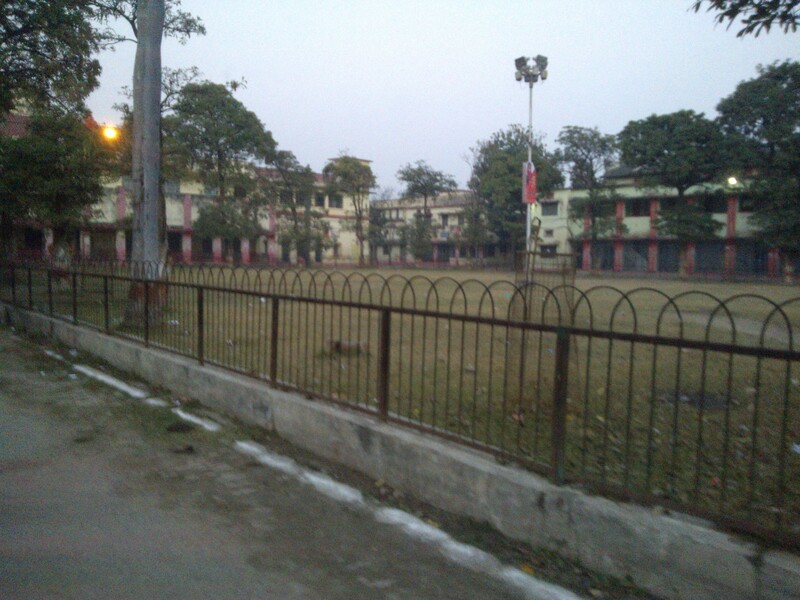 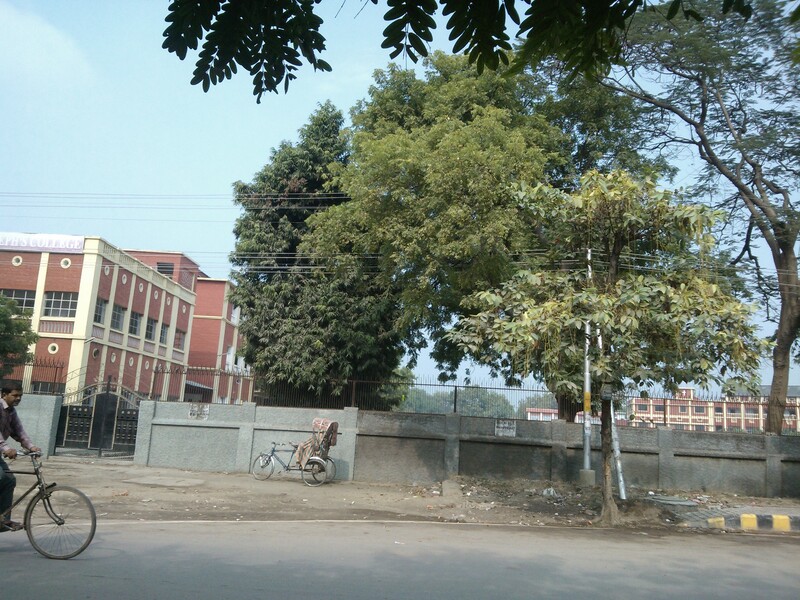 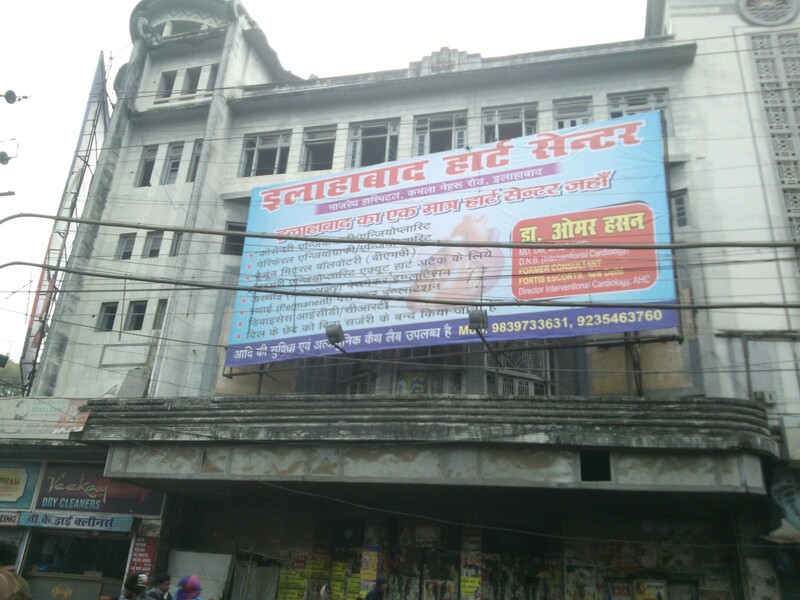 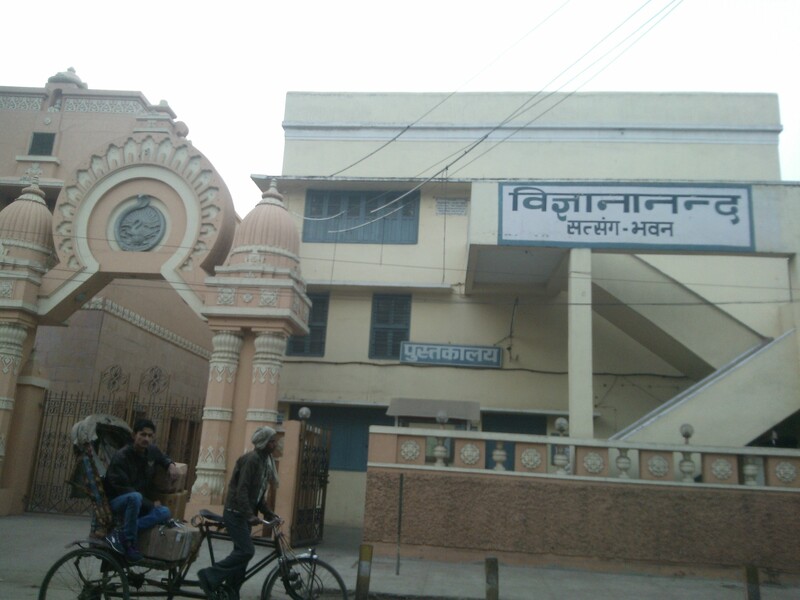 One of the eminent hostels associated with Allahabad University. 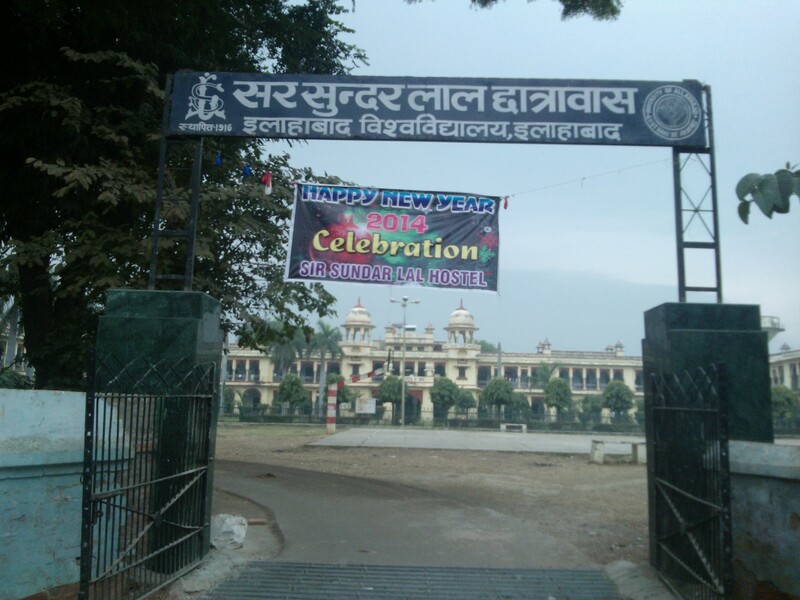 It’s named after Sir Sunder Lal, who in 1906 became the the first Indian Vice Chancellor of Allahabad University! 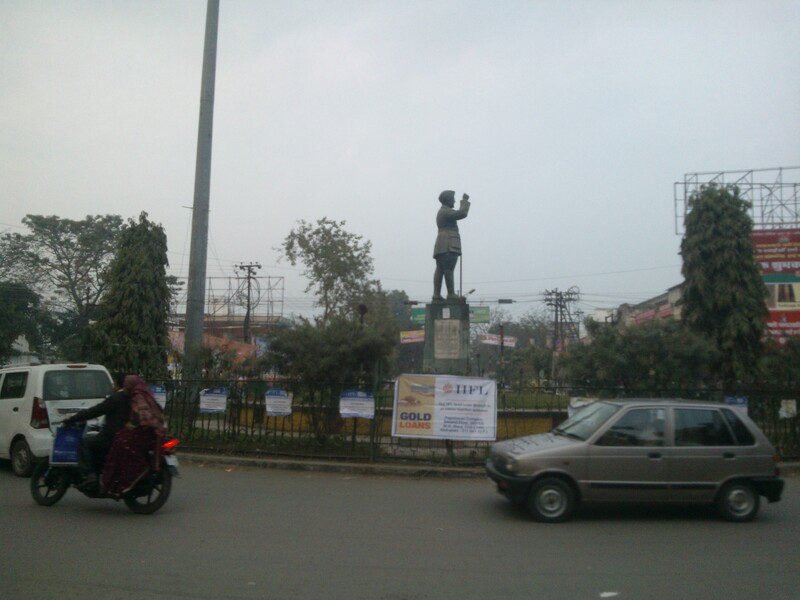 He was by profession an advocate, who later also served as High Court Judge. 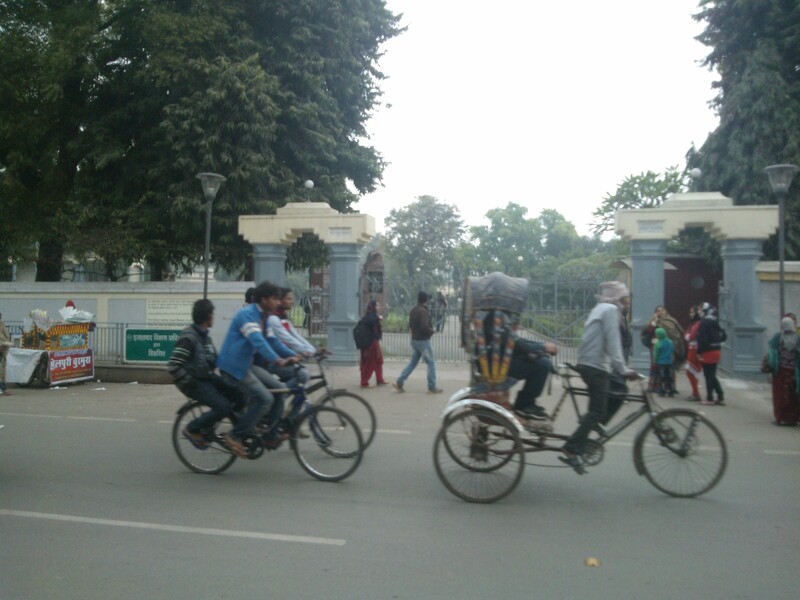 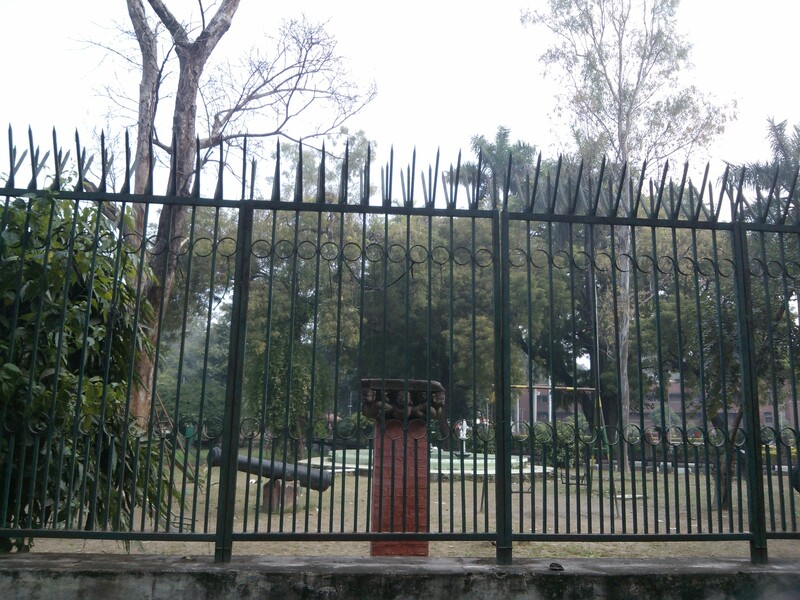 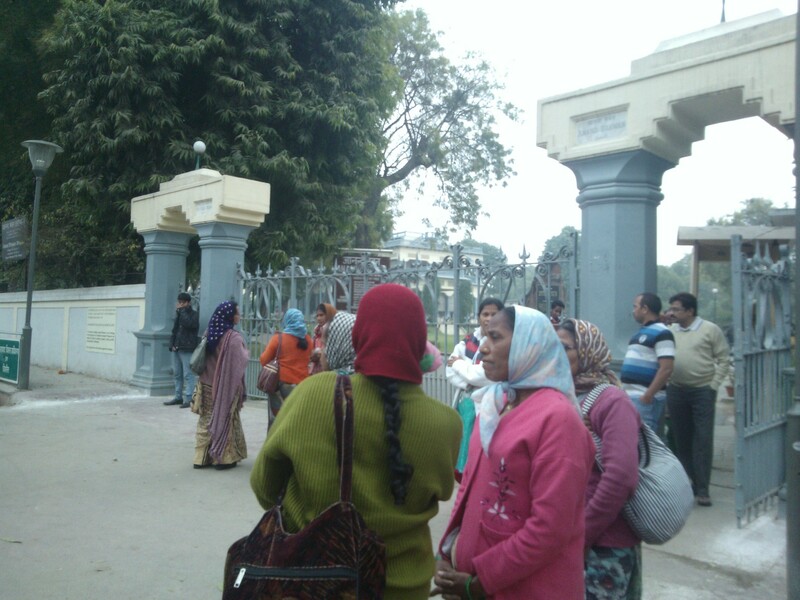 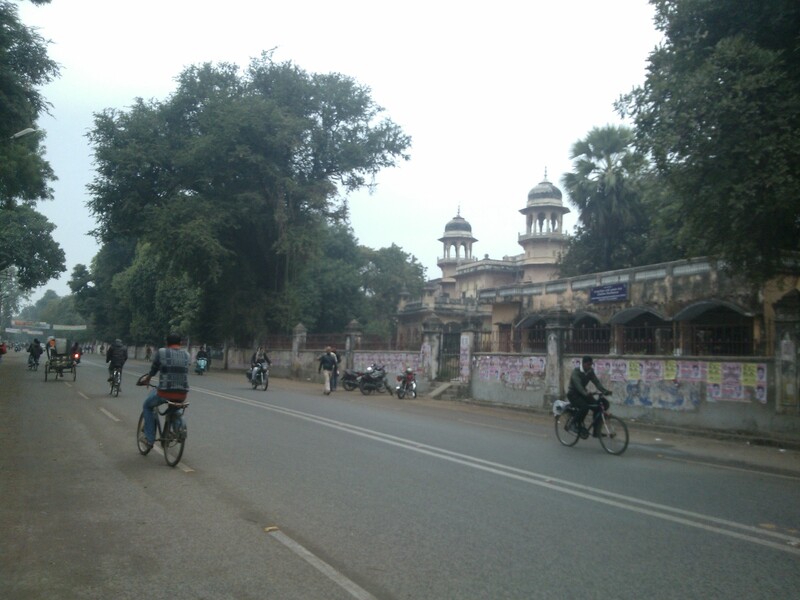 Right in front of one of the gates of Allahabad University-Oxford of the East ! 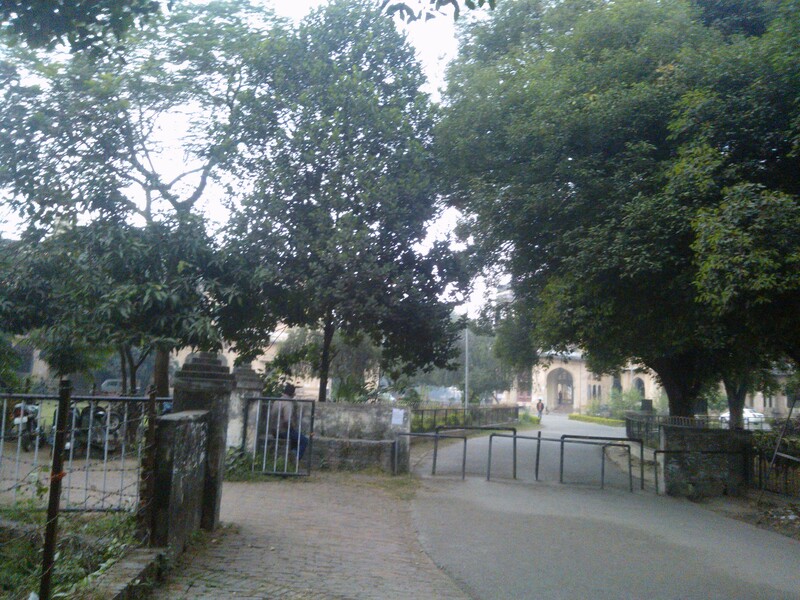 In my days it was not a Central University. 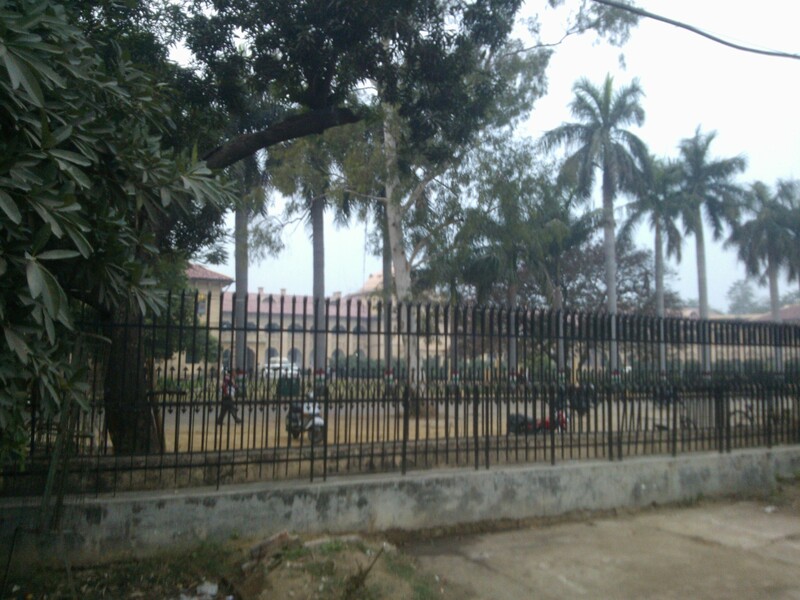 Today, it has attained the status of being a Central University! 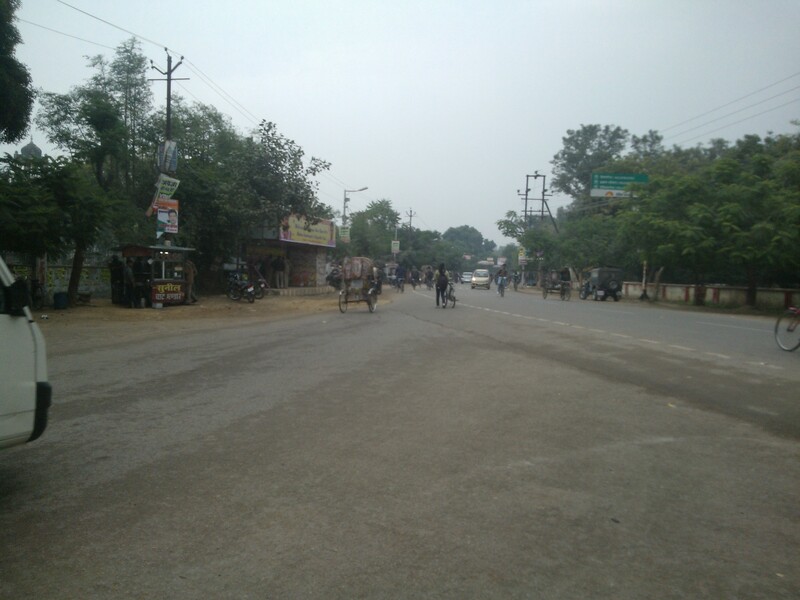 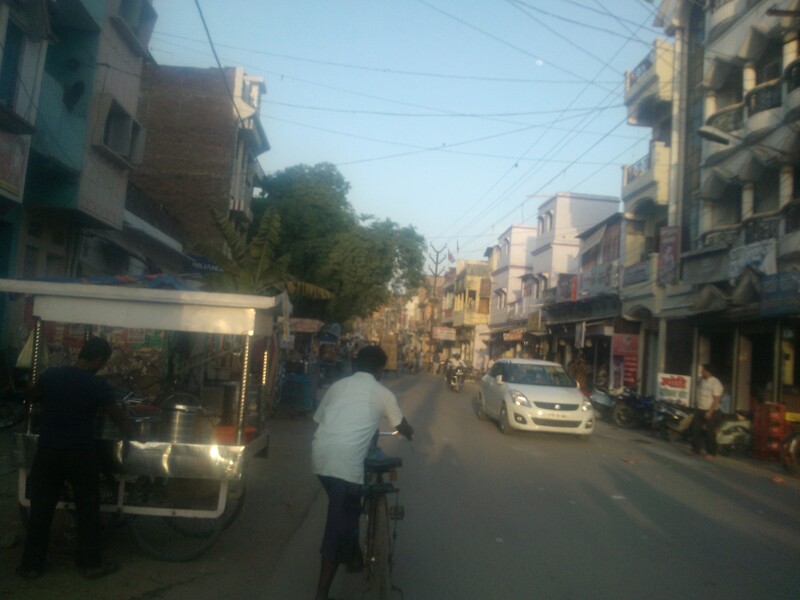 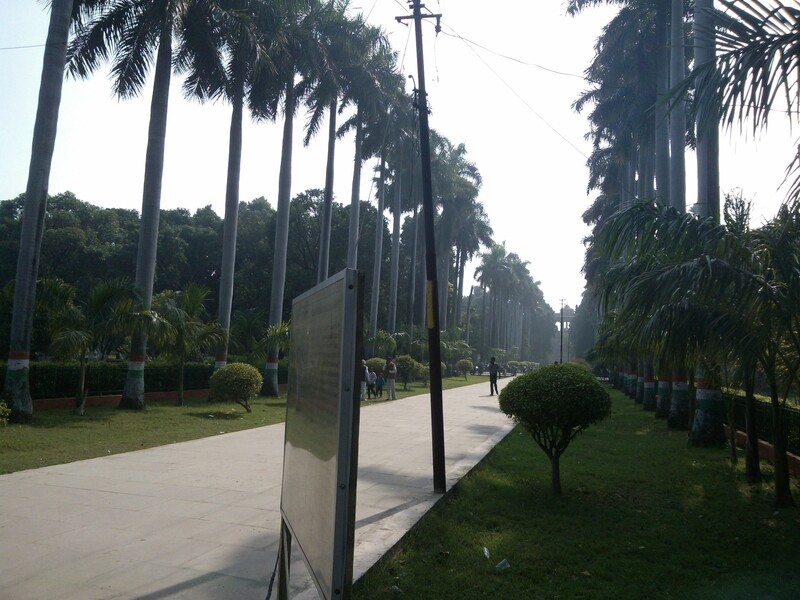 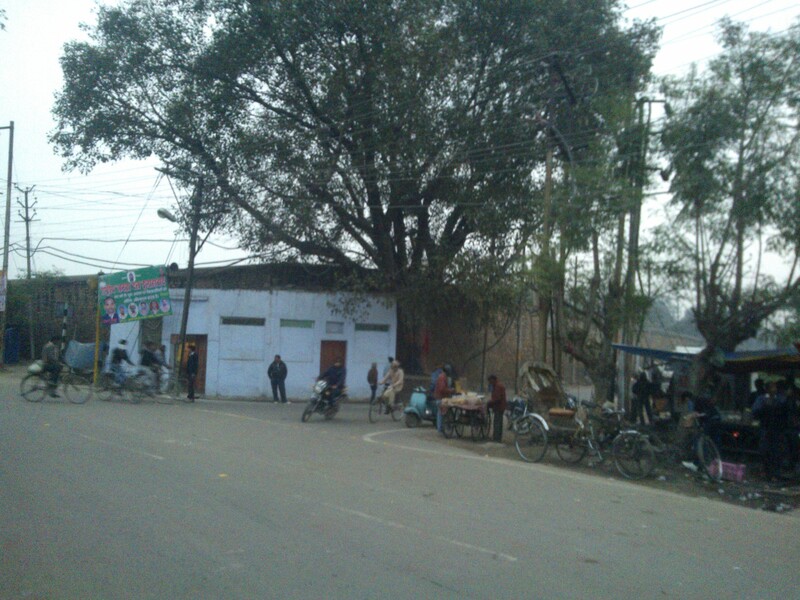 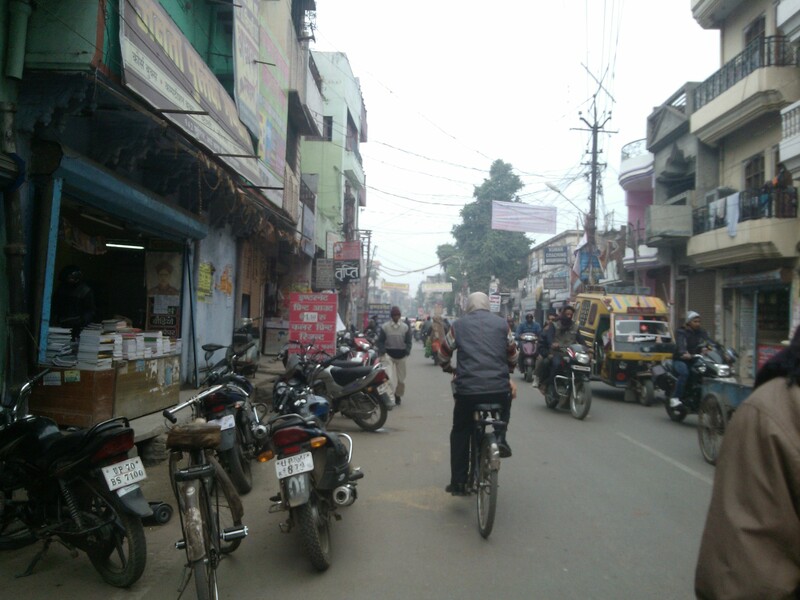 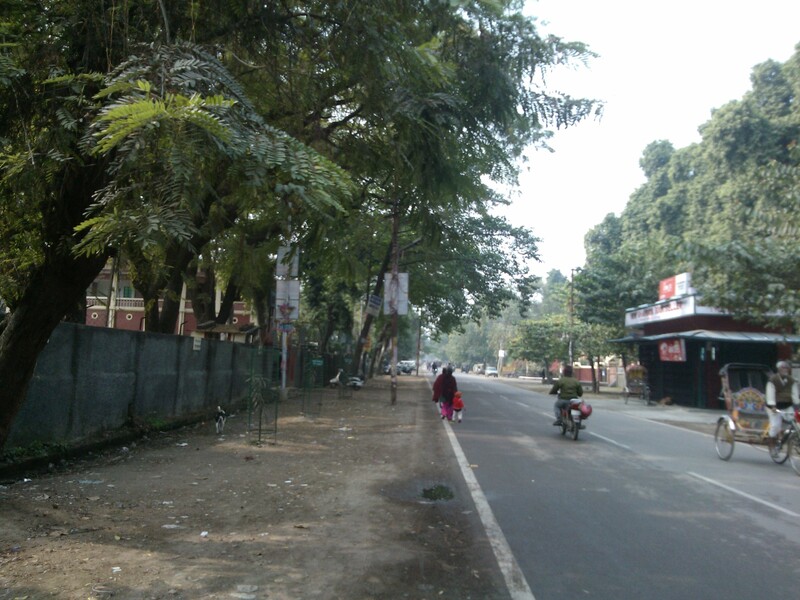 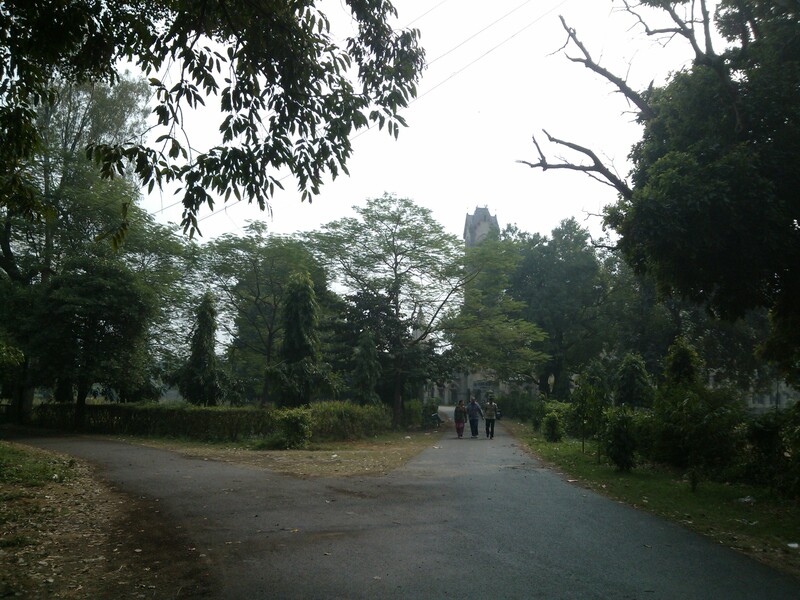 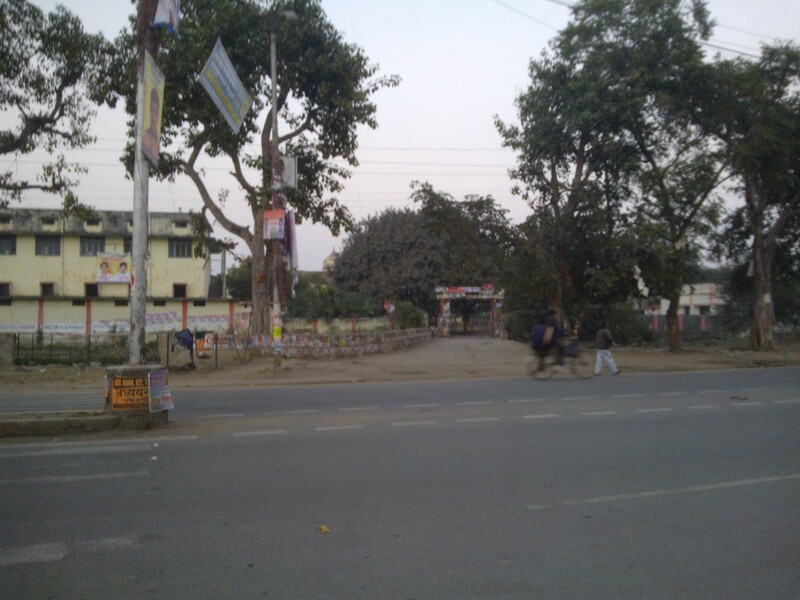 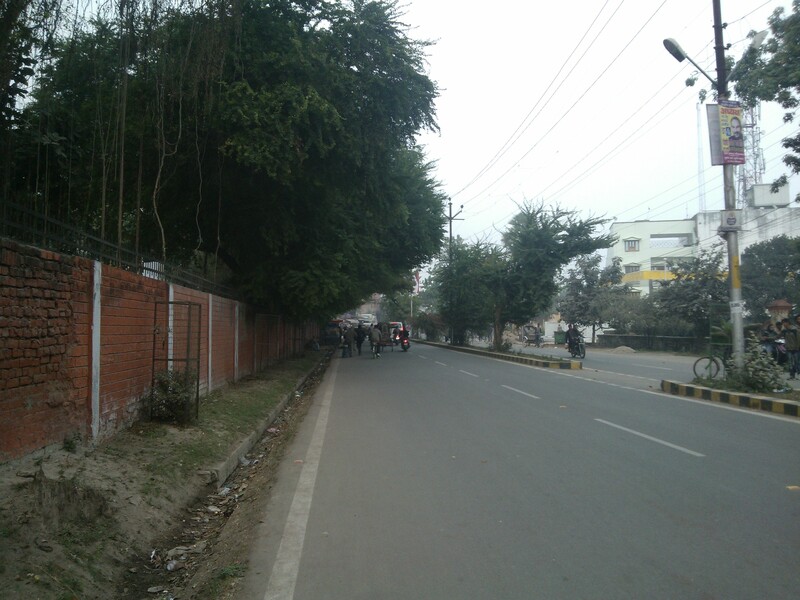 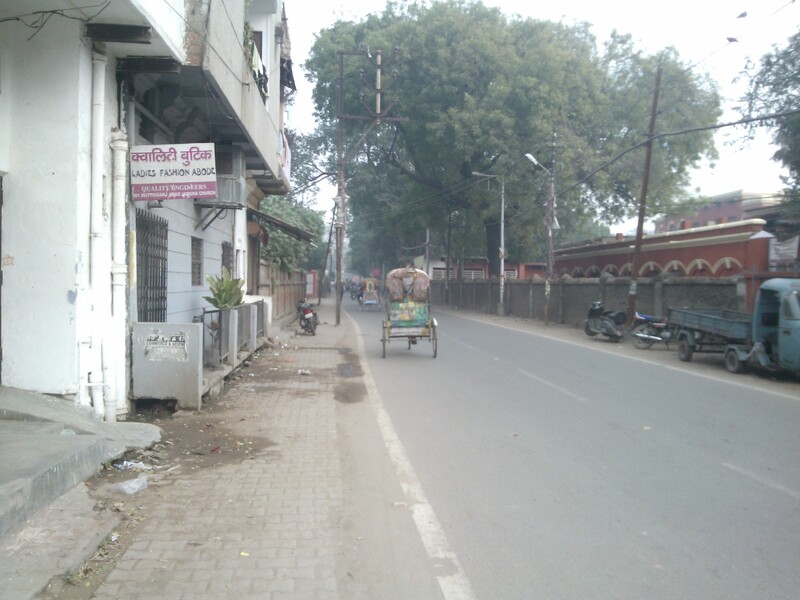 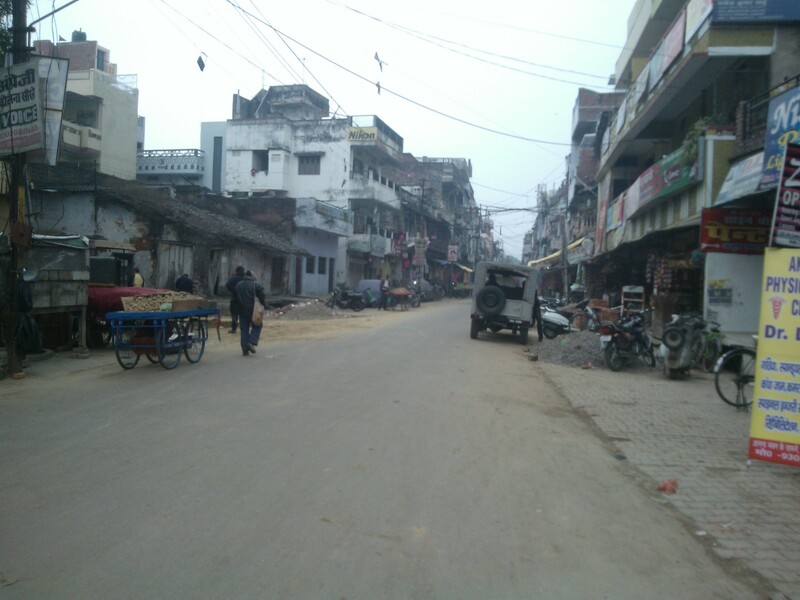 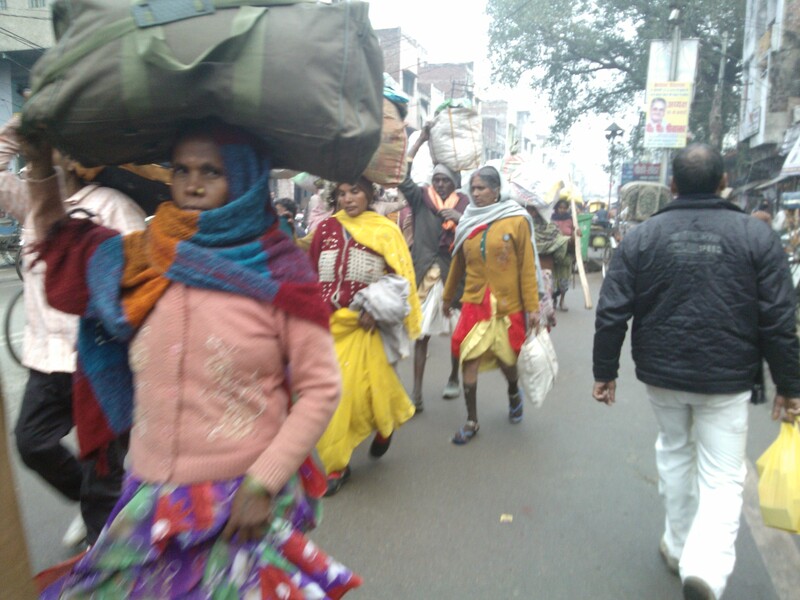 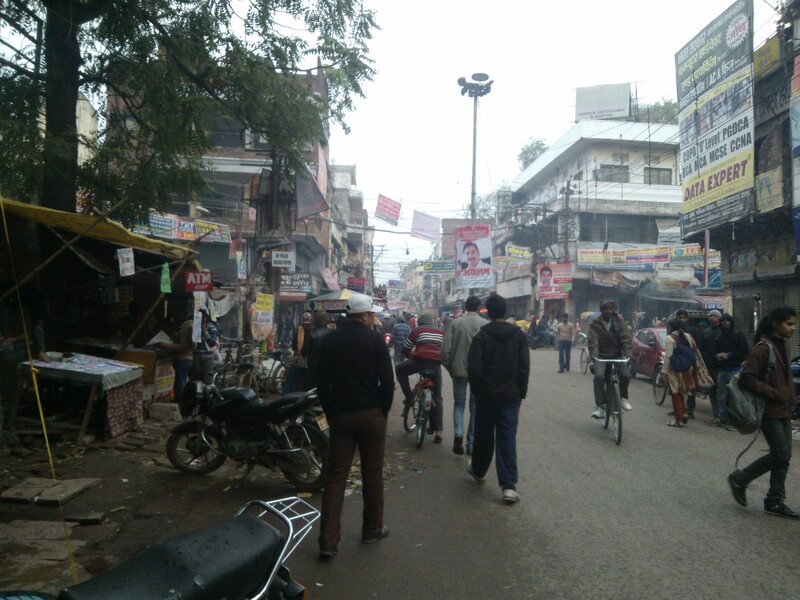 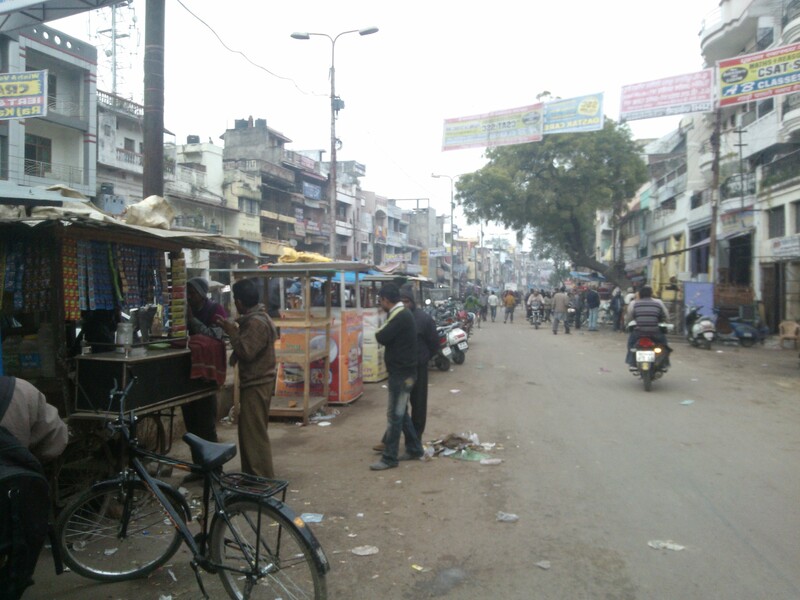 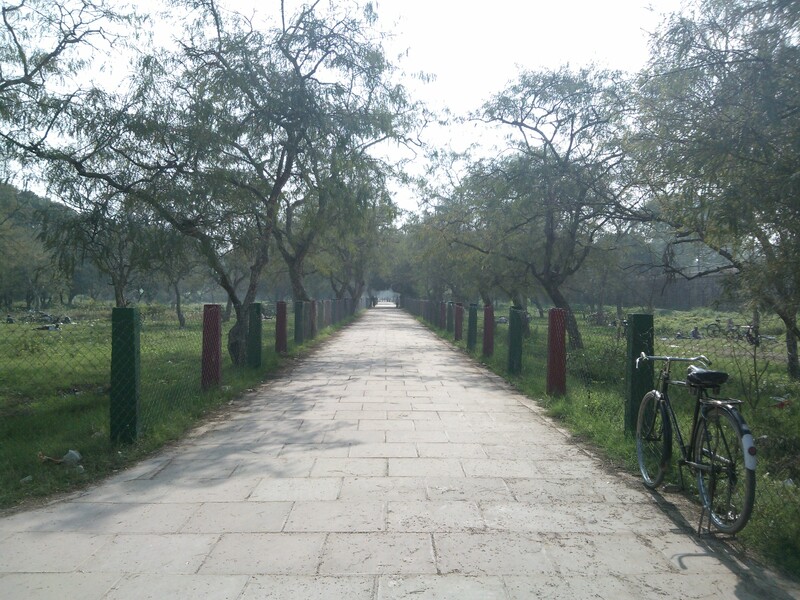 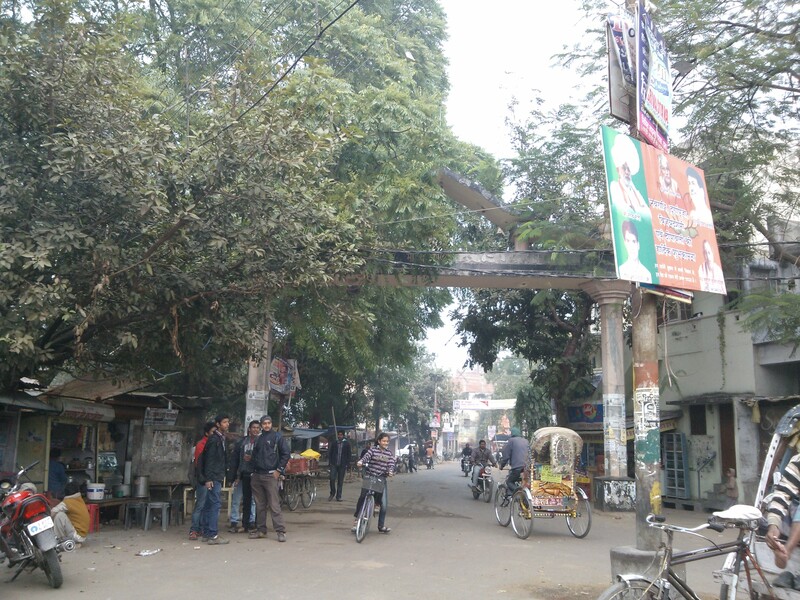 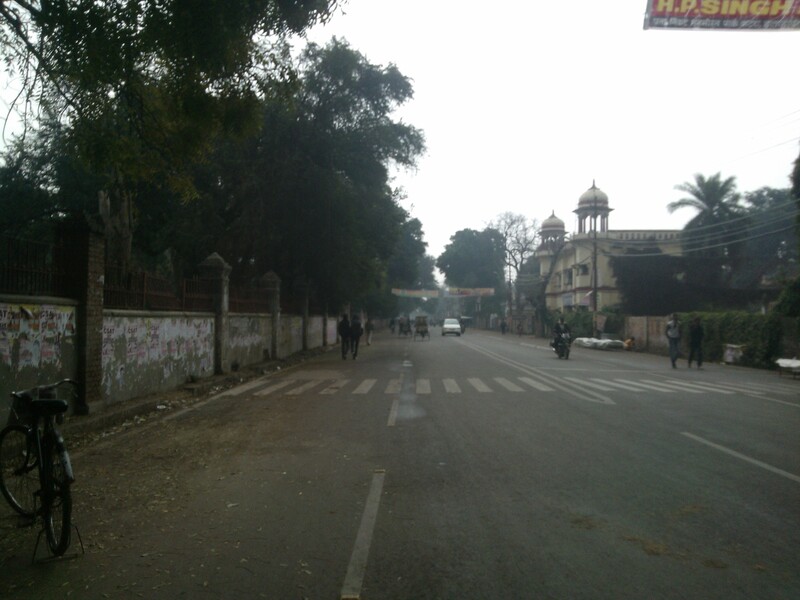 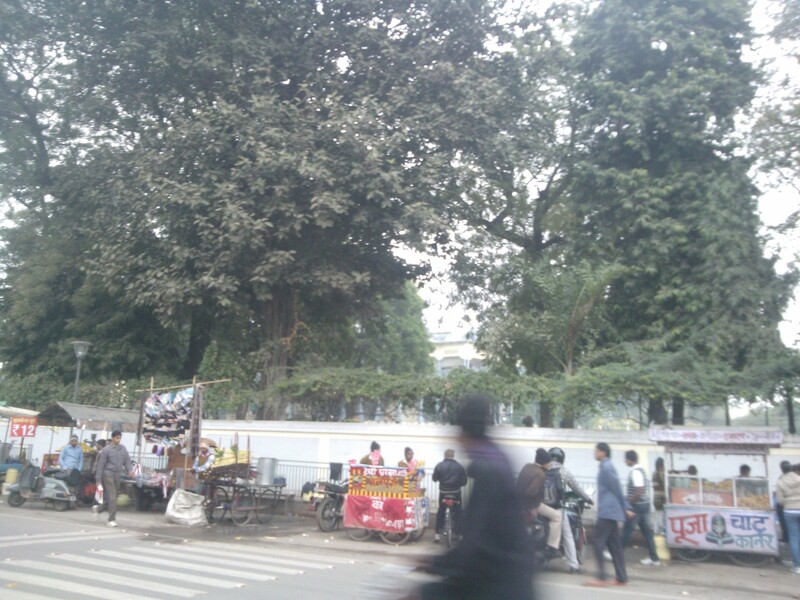 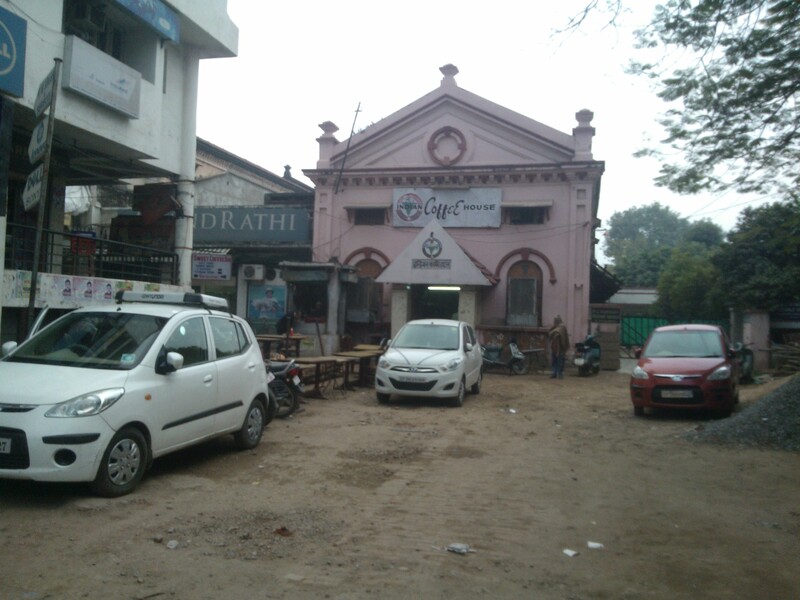 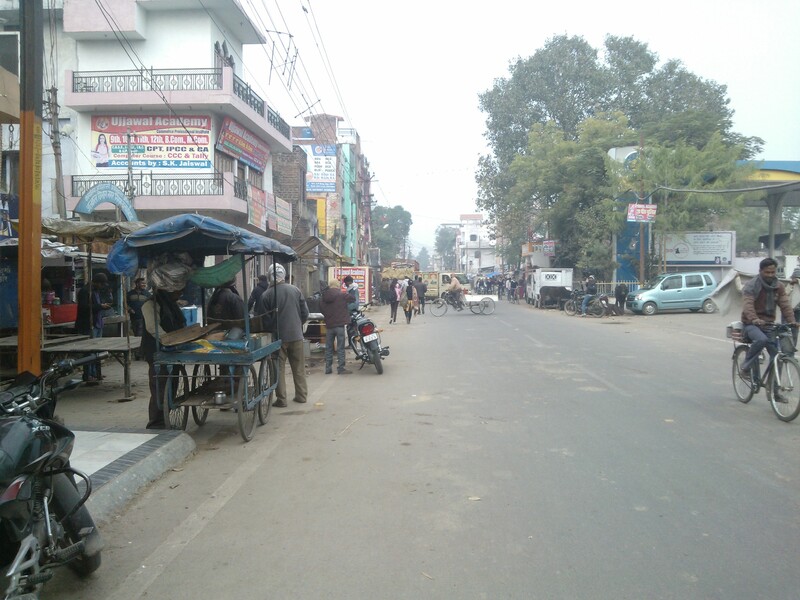 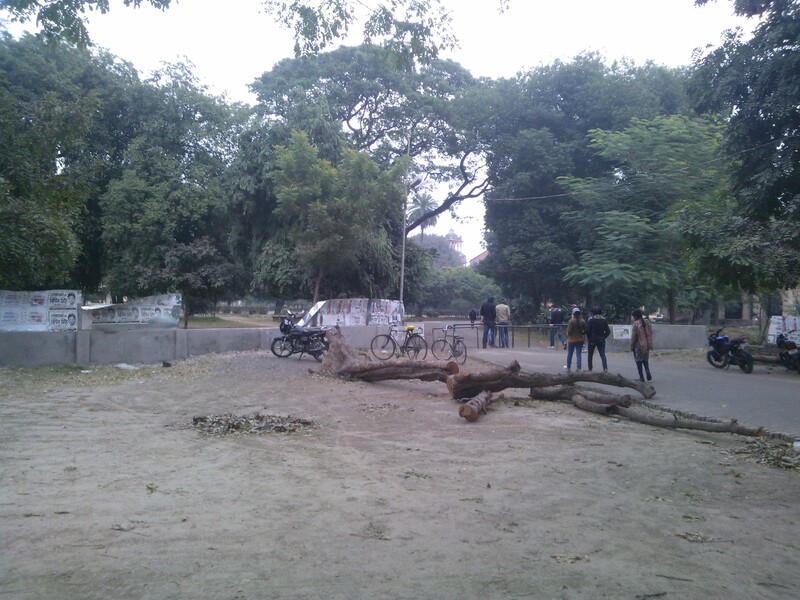 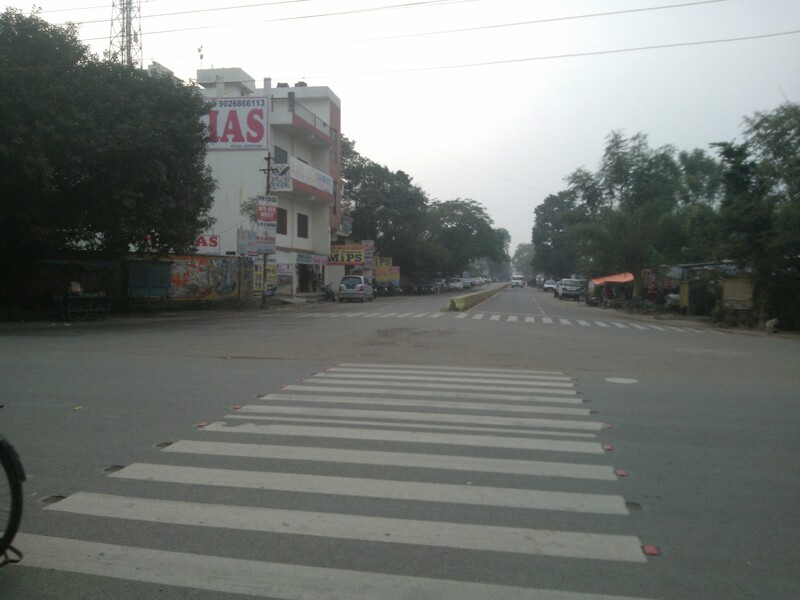 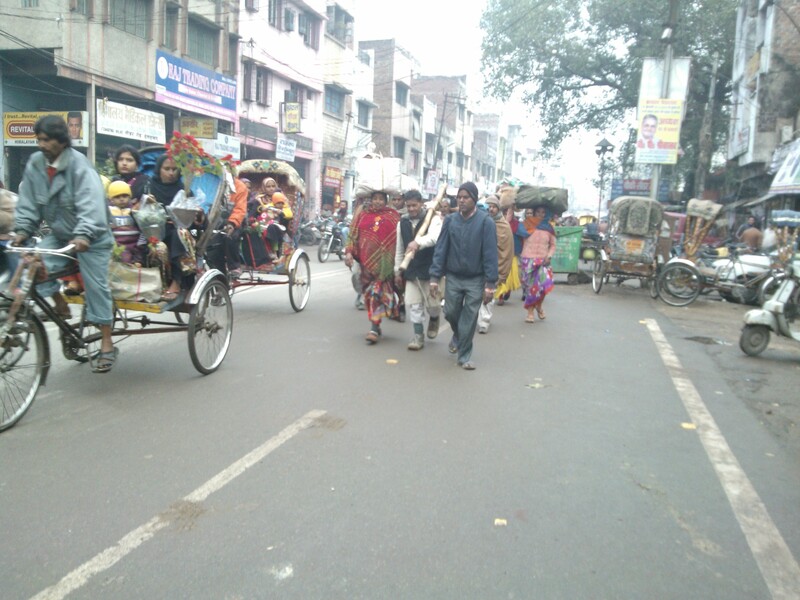 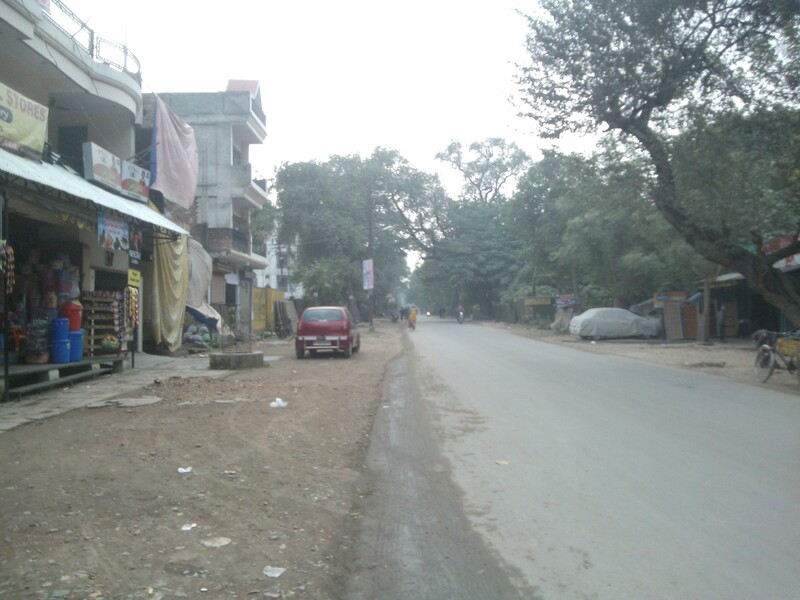 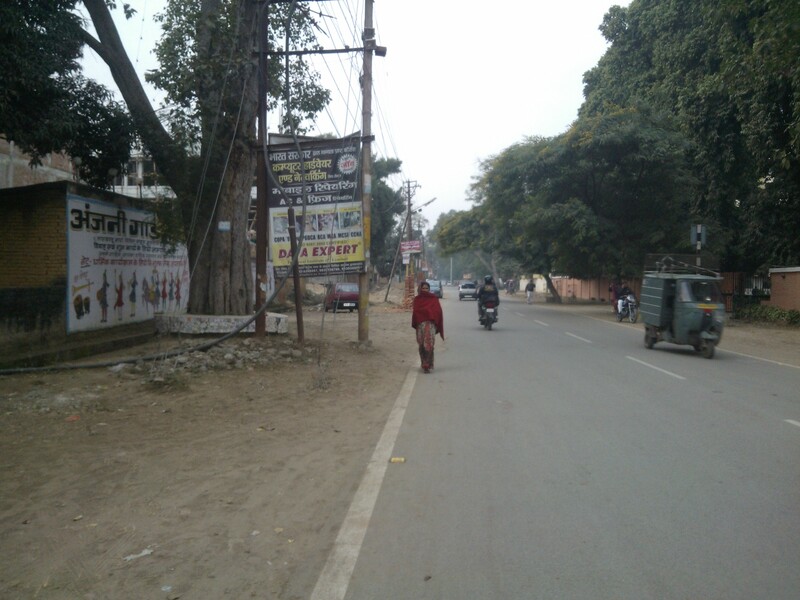 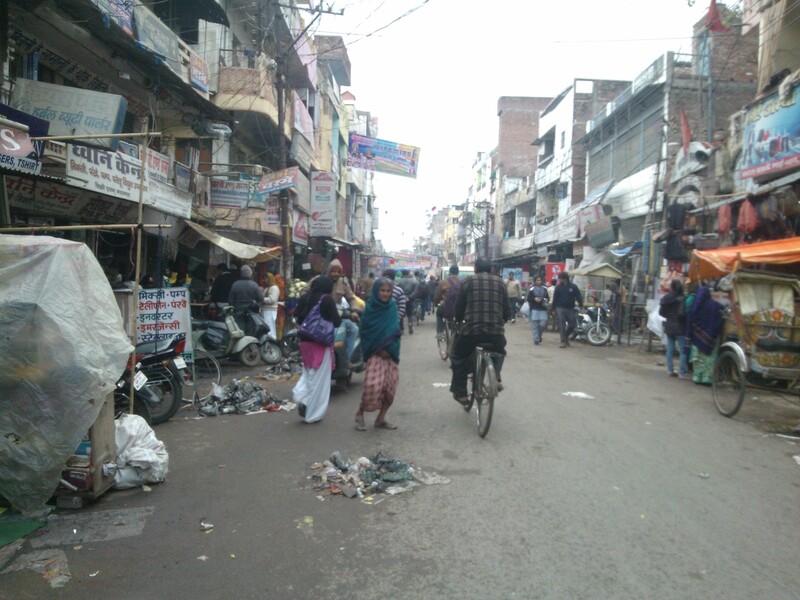 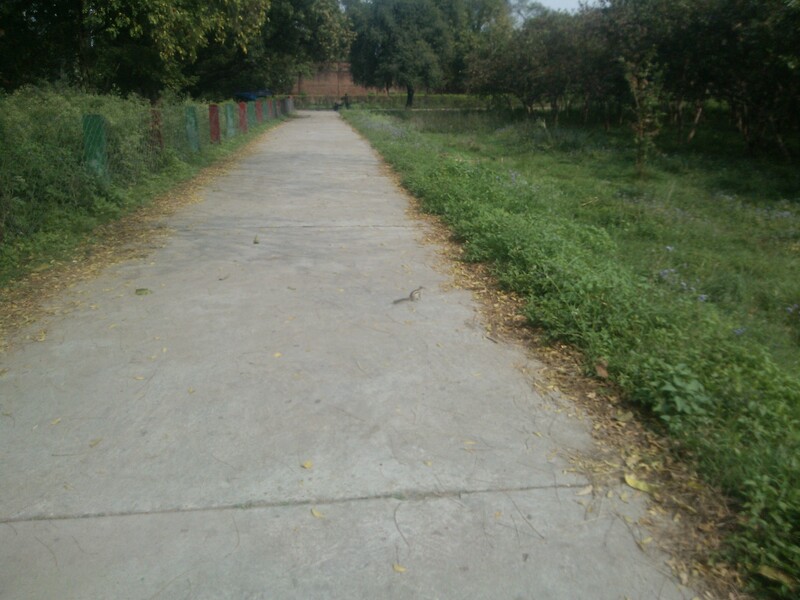 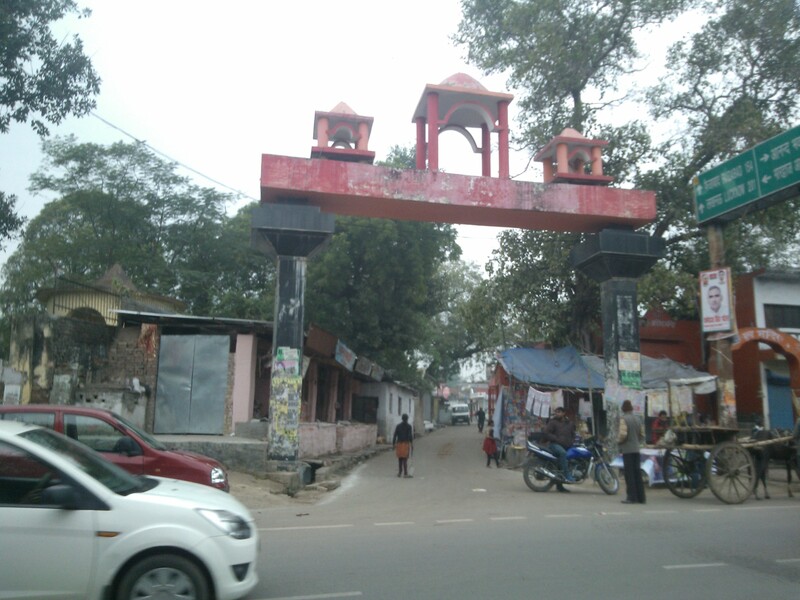 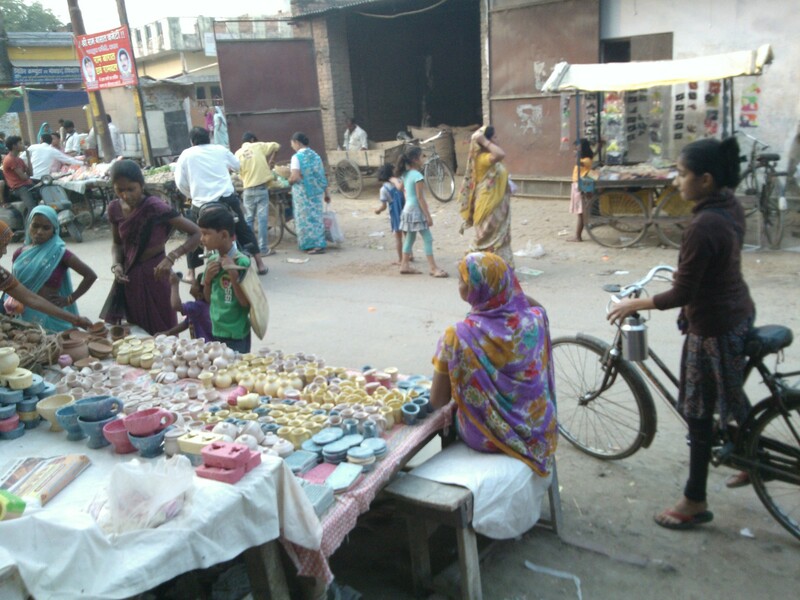 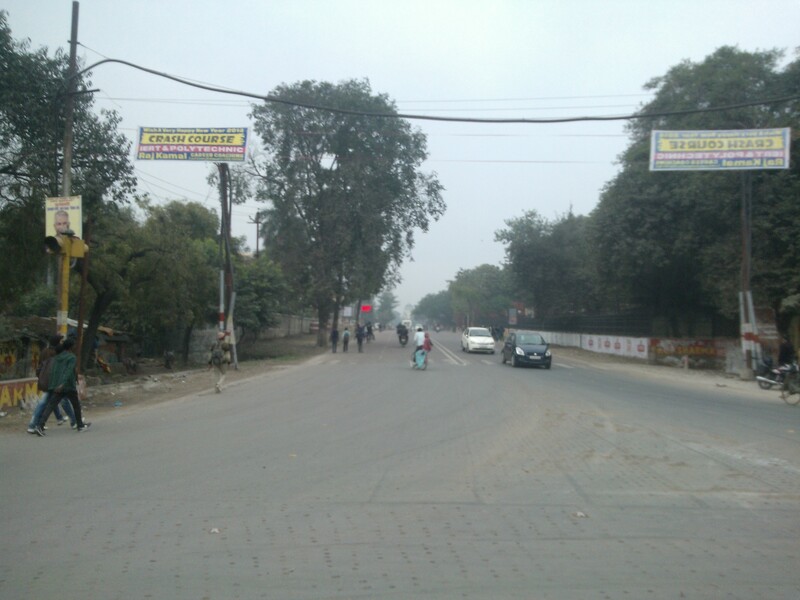 Road adjacent to Allahabad University…When you move ahead on this road arrives Prayag Railway Station! 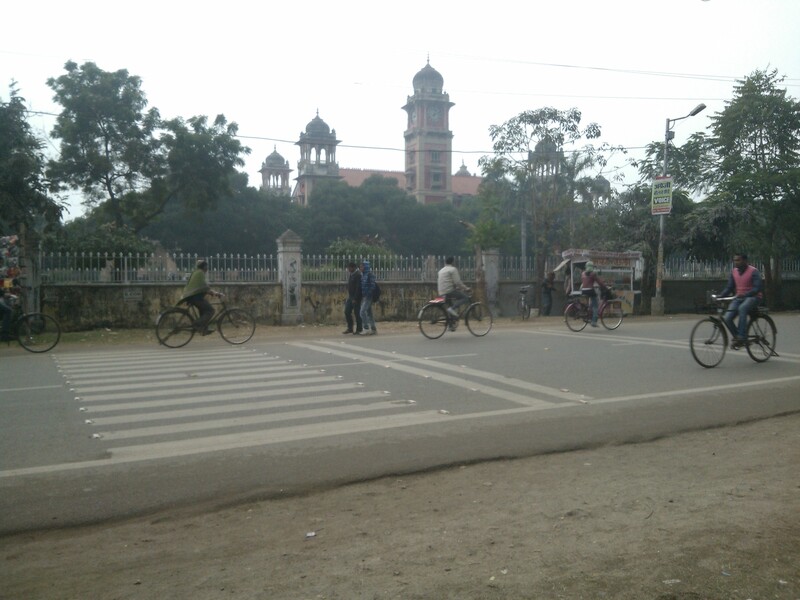 Loitering on these University Roads was one of the main activities during College days! 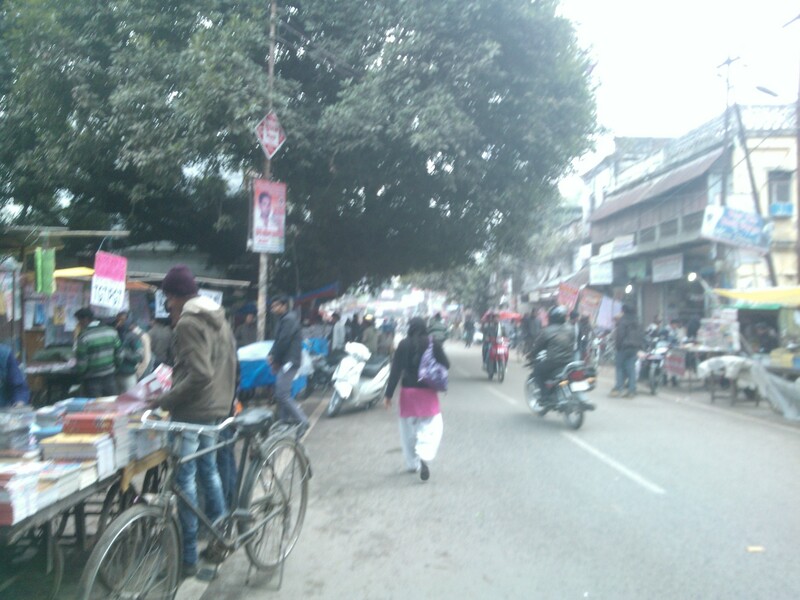 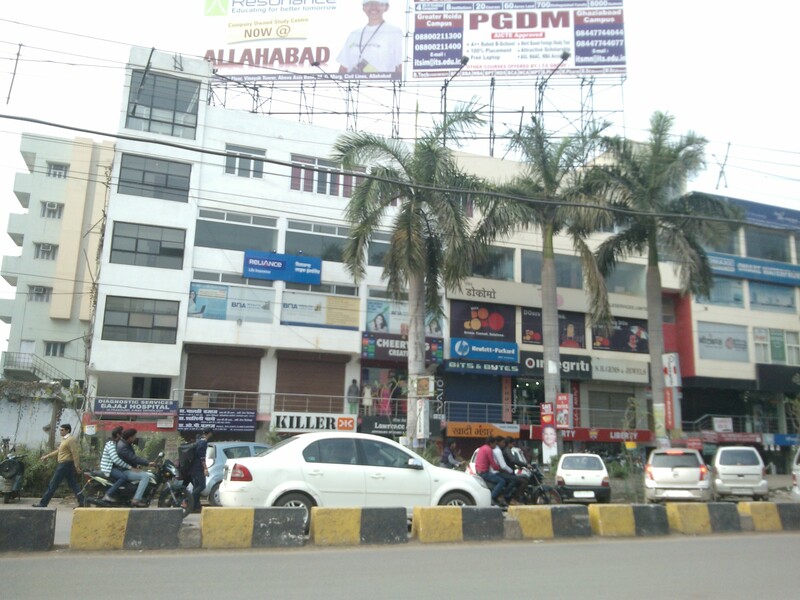 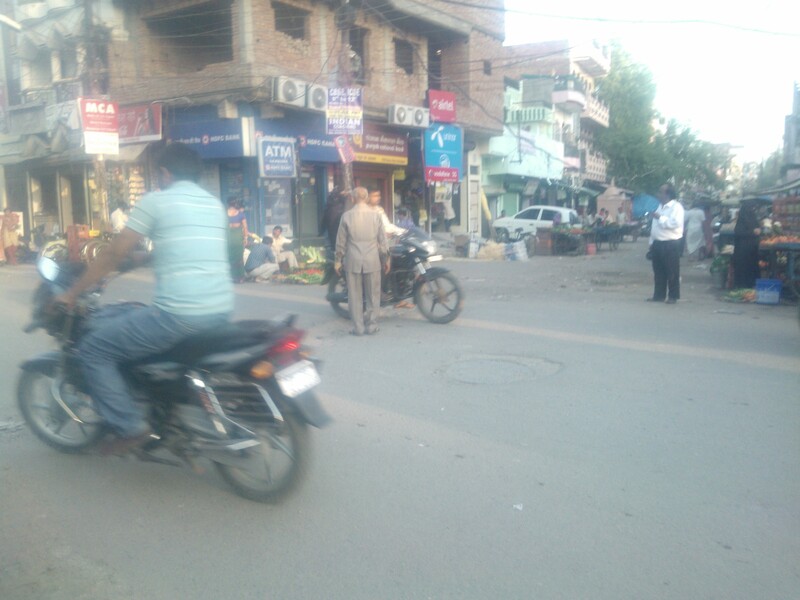 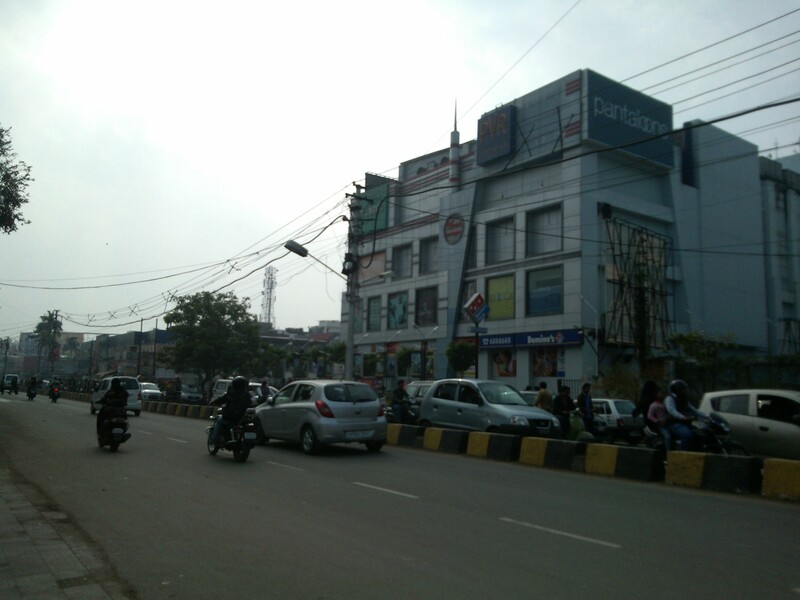 Notice the activities on main University Road. 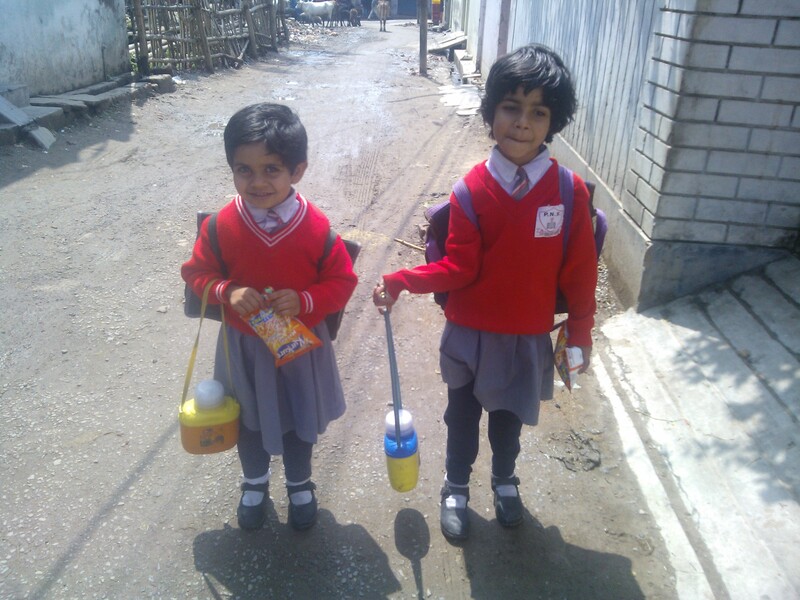 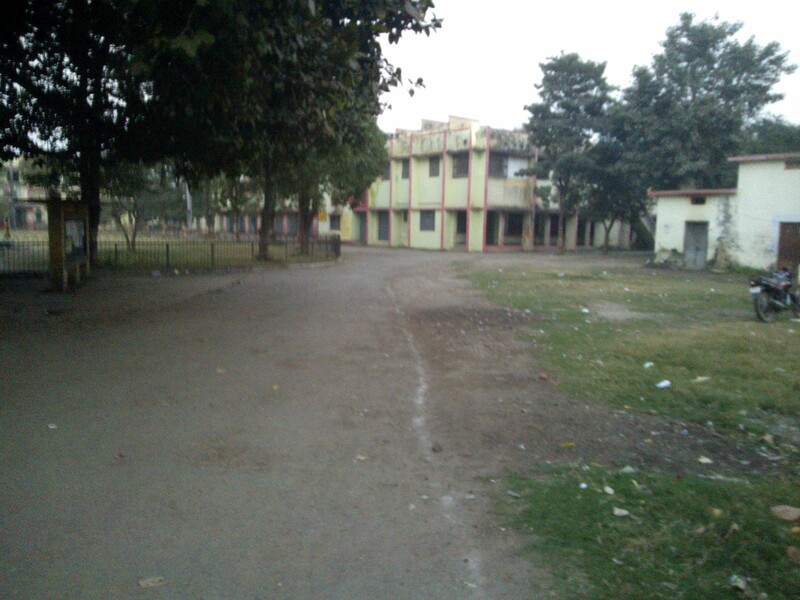 Streets remain the same but faces of students get changed! 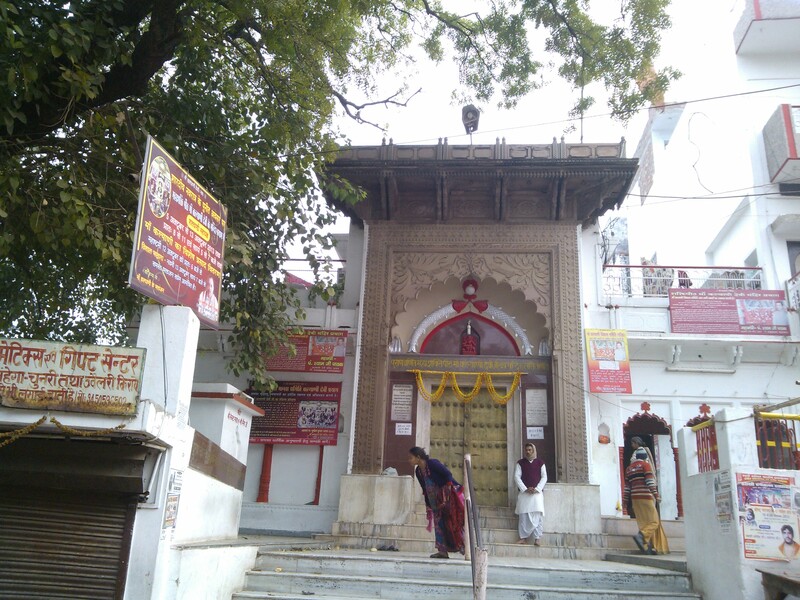 A prominent Goddess Kaliji temple at Katra, Allahabad! 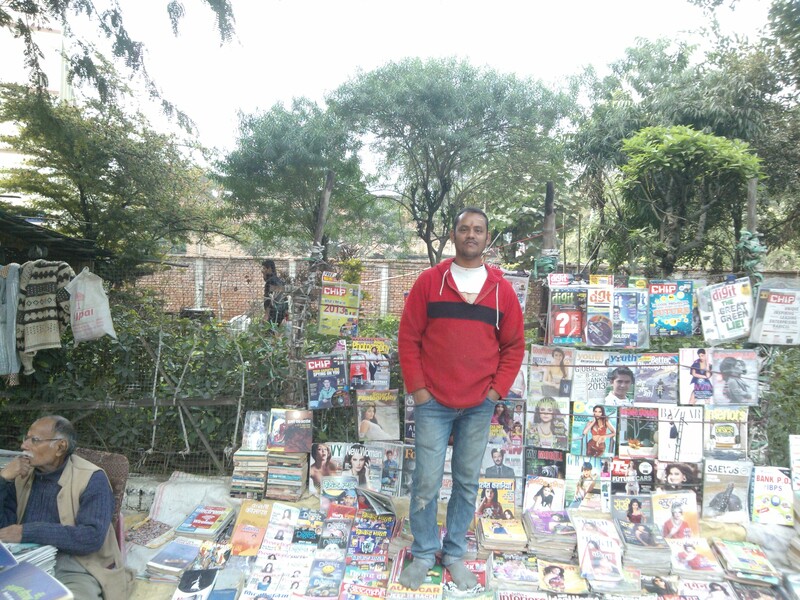 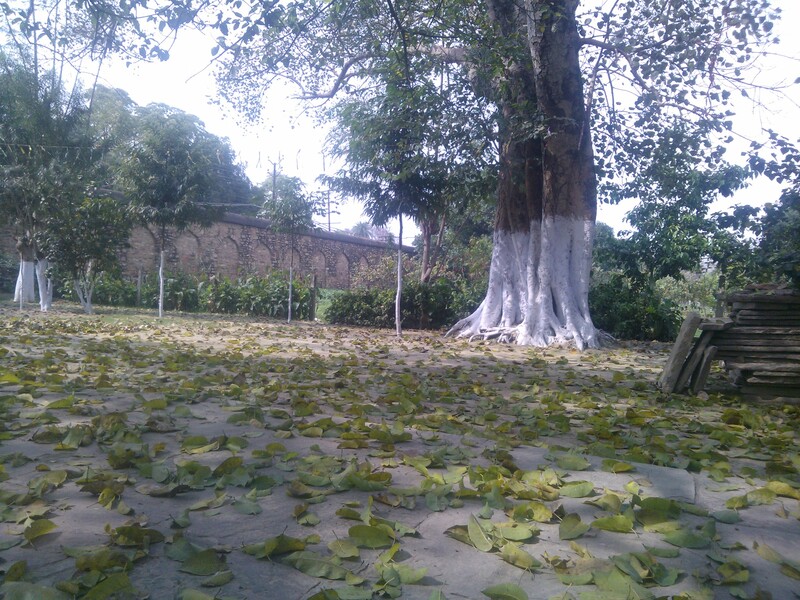 A glimpse of life at Katra! 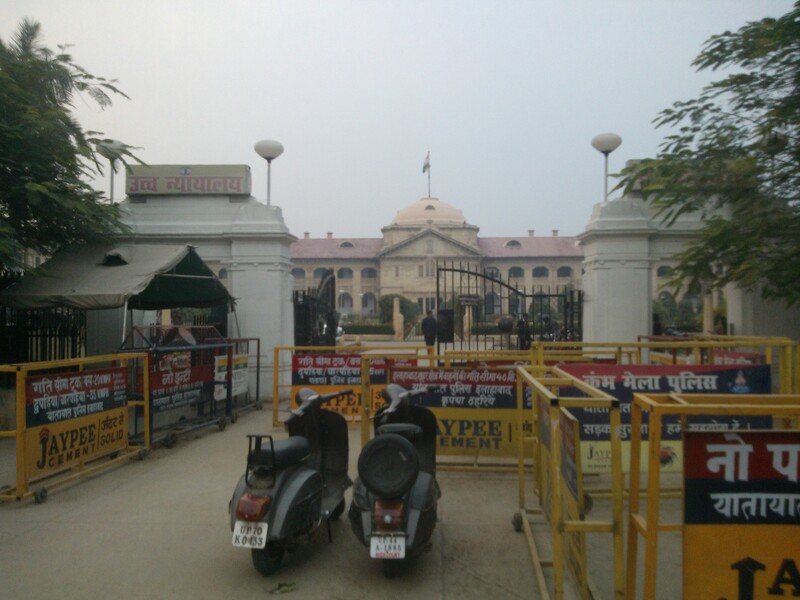 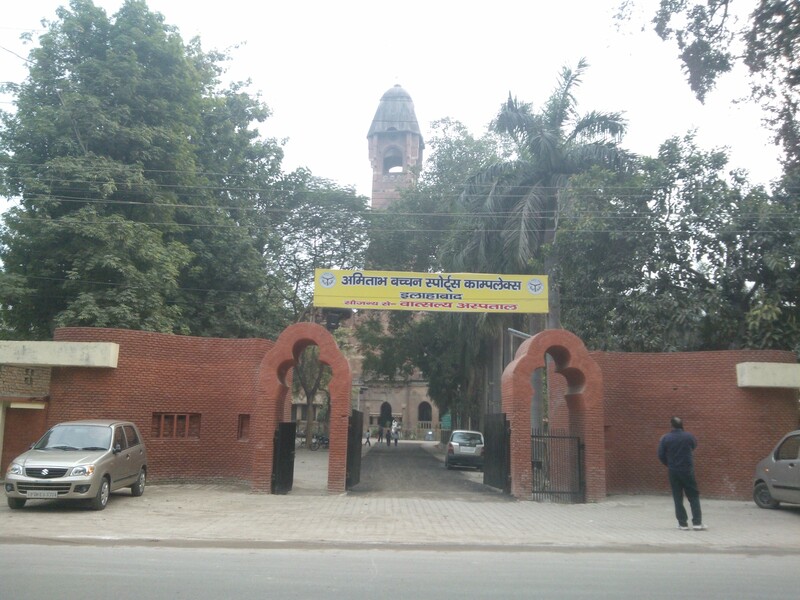 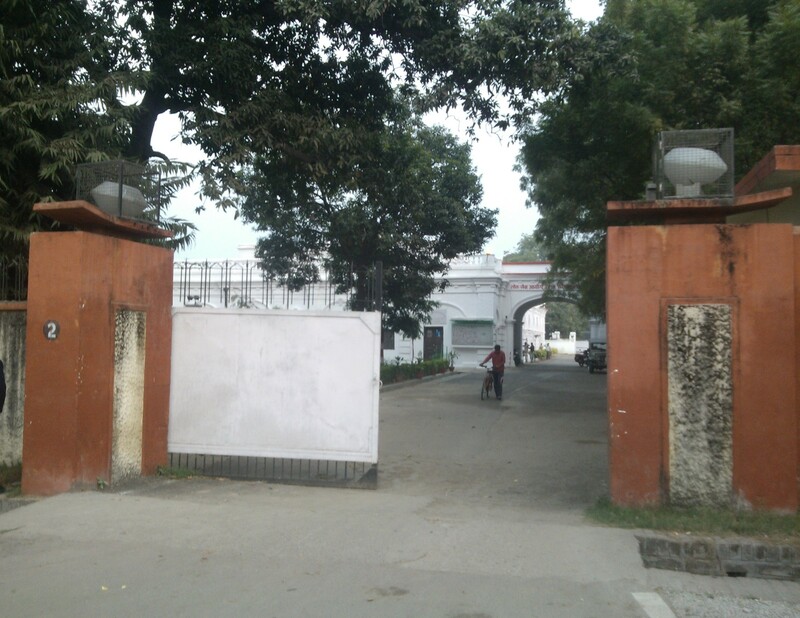 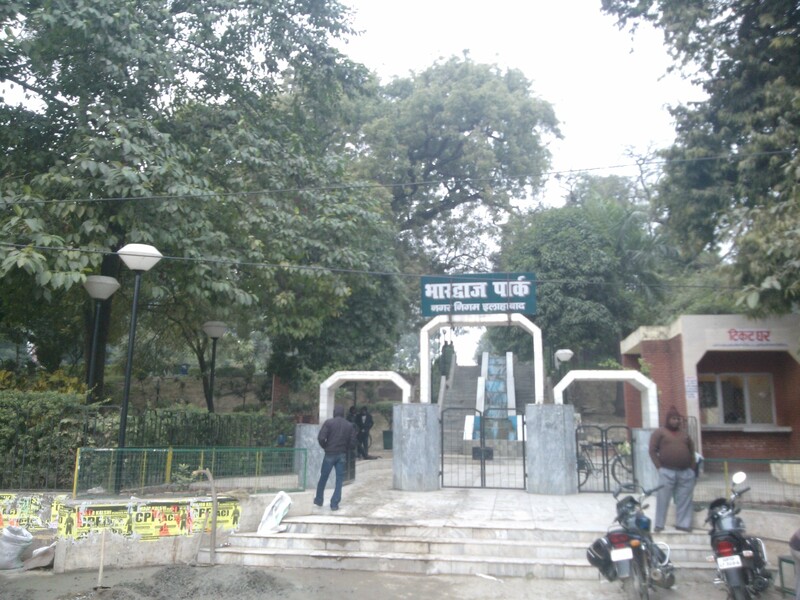 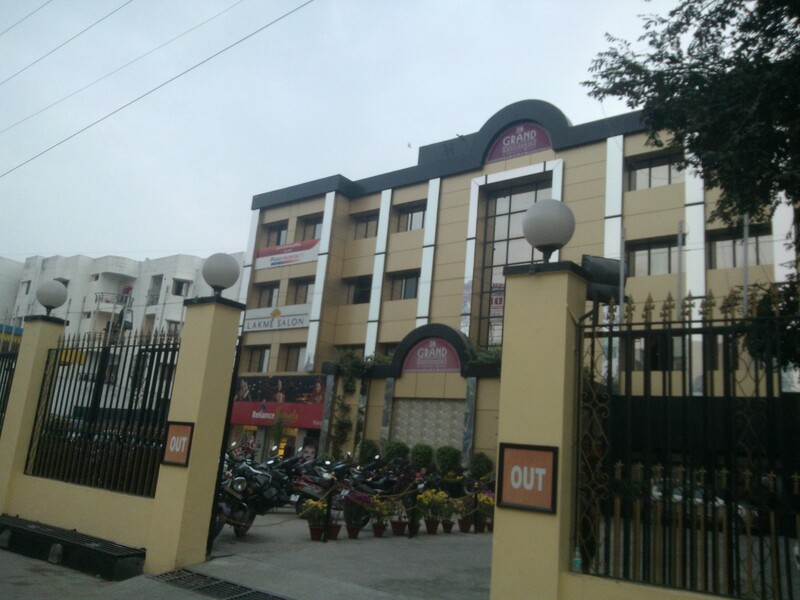 CMP Degree College in Allahabad- a constituent college of Allahabad University. 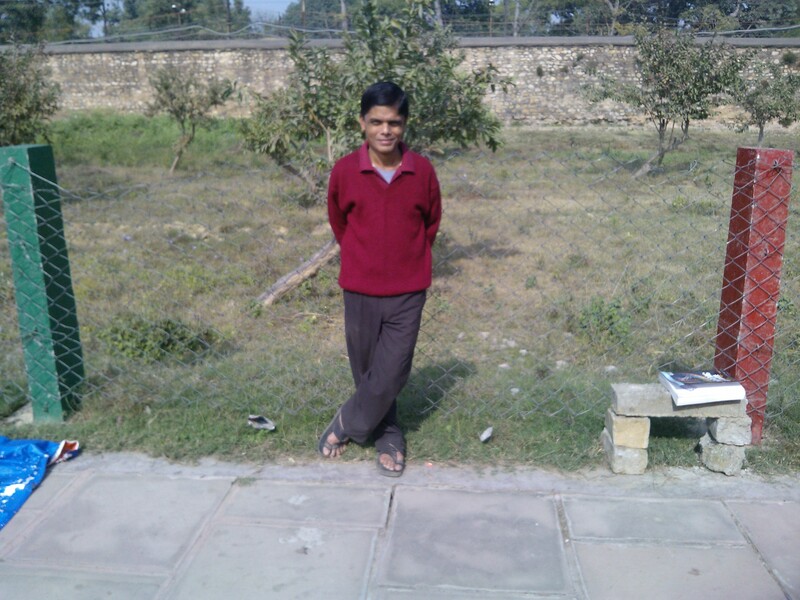 It has produced great students in past. 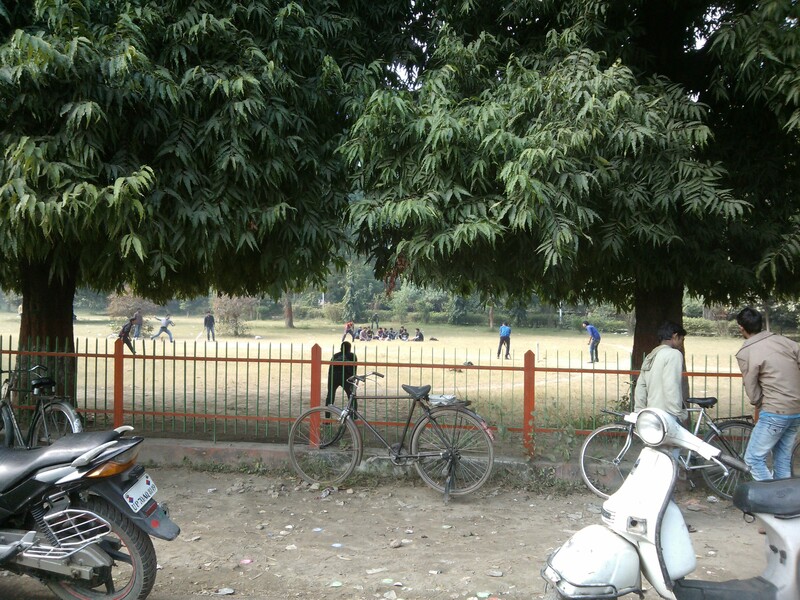 And so it really saddens me when I hear about stories of violence, disruption of studies on its campus. 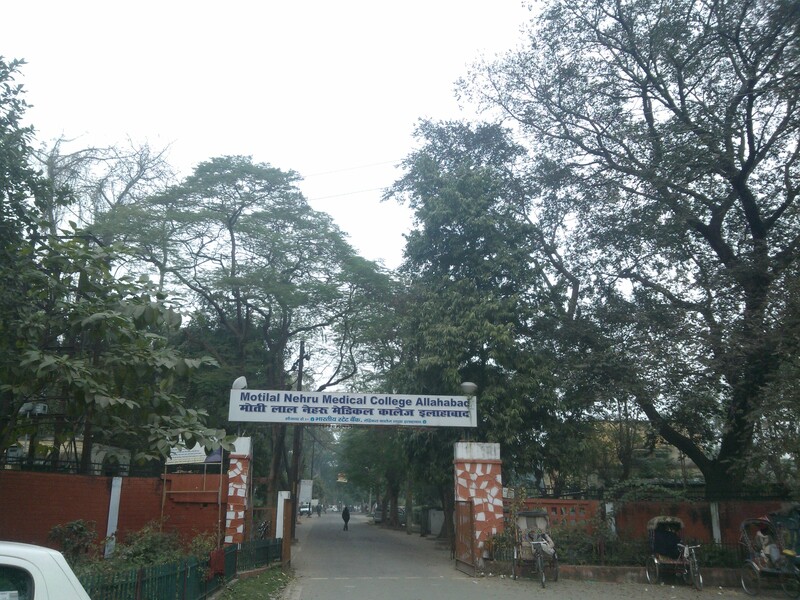 I had been student of this college and we remember that in our batch most of the students came to score more than students of Allahabad University in prominent subjects like Philosophy, English Literature, Physics and etc. ! 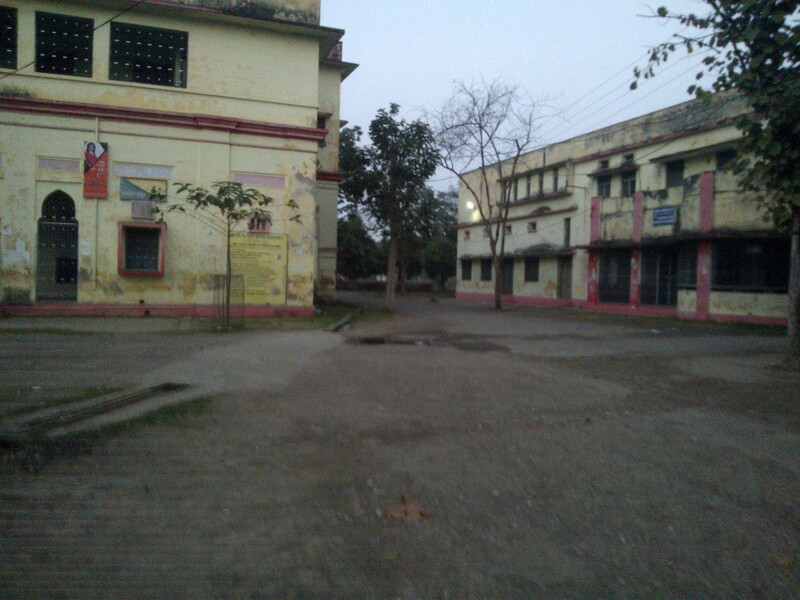 At this place it was so hard to control the tears..At this place I found some great teachers like Anand Srivastava Sir (Philosophy), K K Ghatak Sir (English Literature), K C Srivastava (Ancient History) and many others who imparted so many values to young and fresh minds like us! 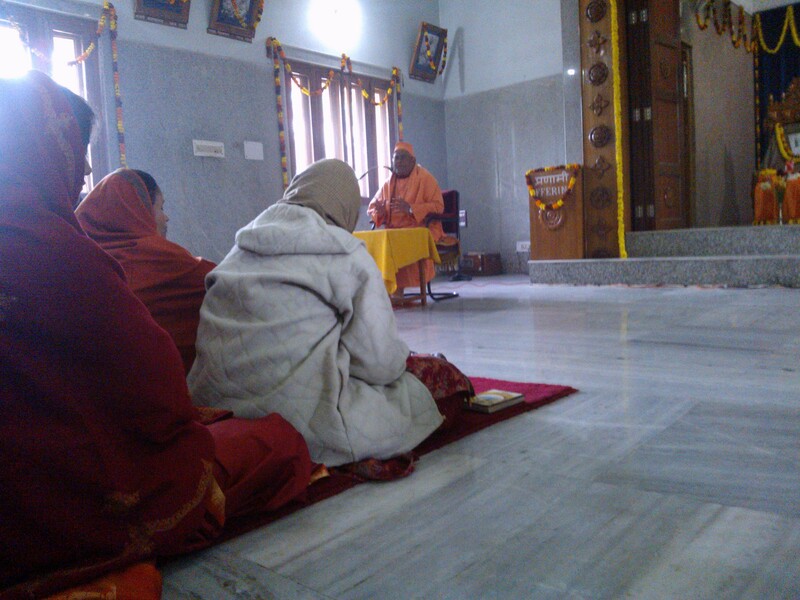 In fact, they were generous enough to give additional lectures in staff room during lunch hours! 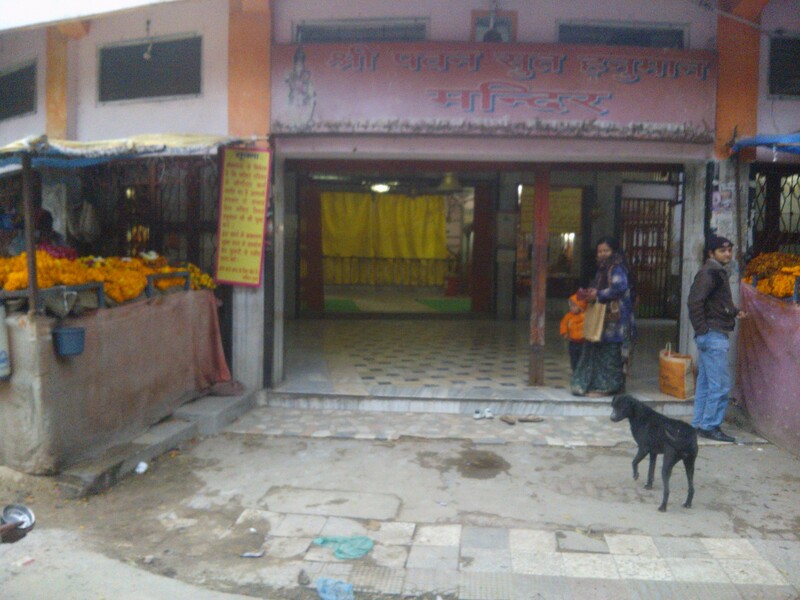 This cute Krishna Temple in Meerapur area makes me smile. 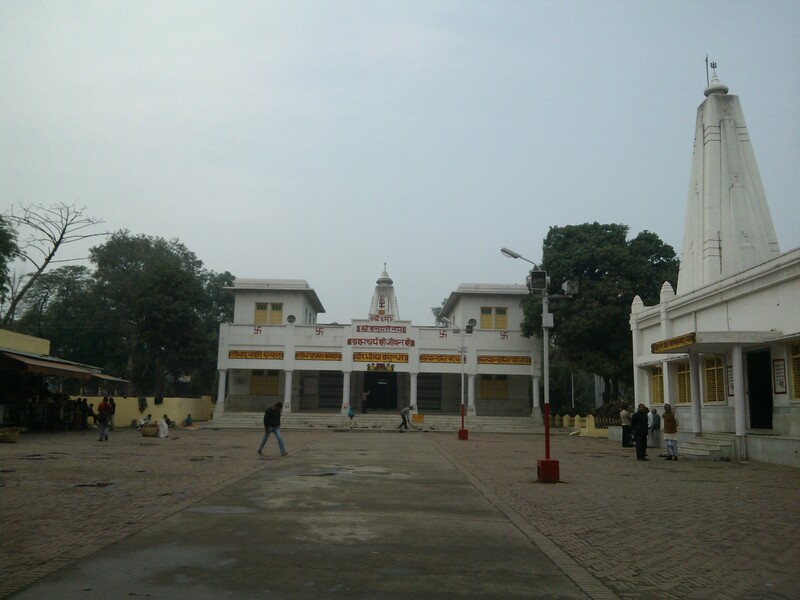 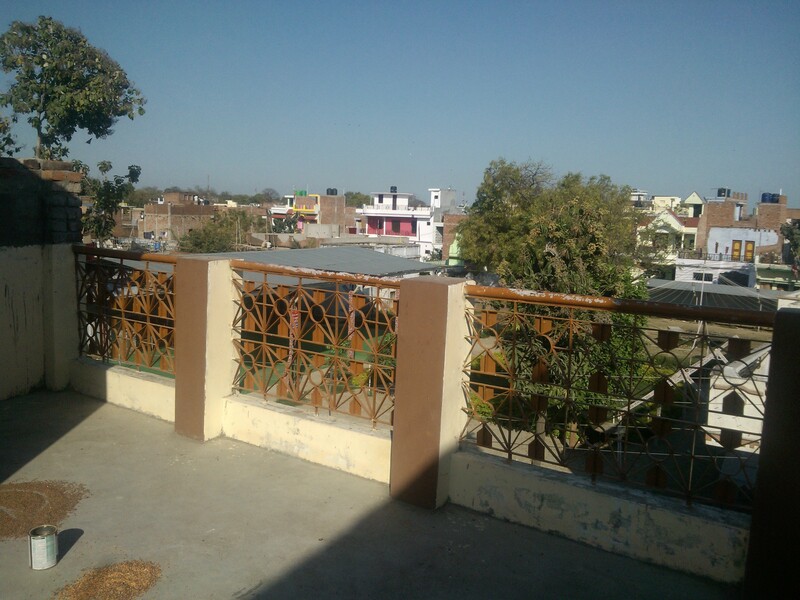 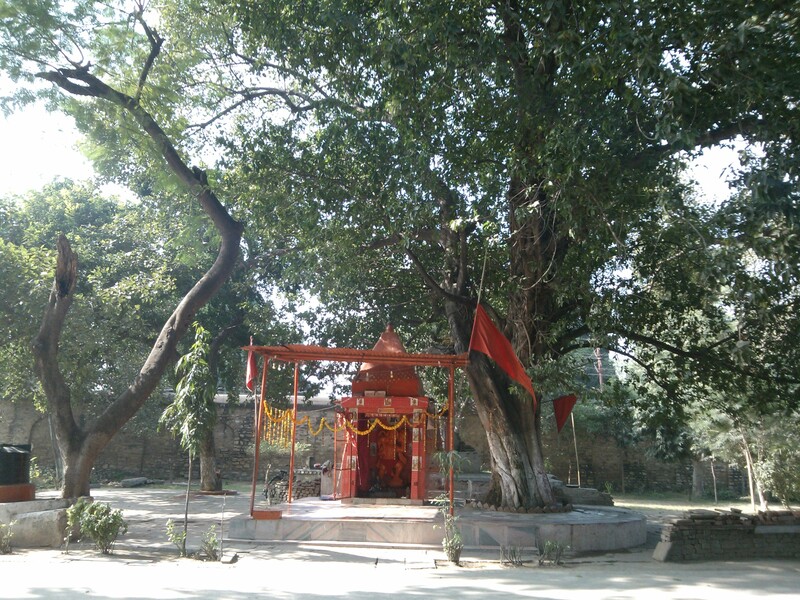 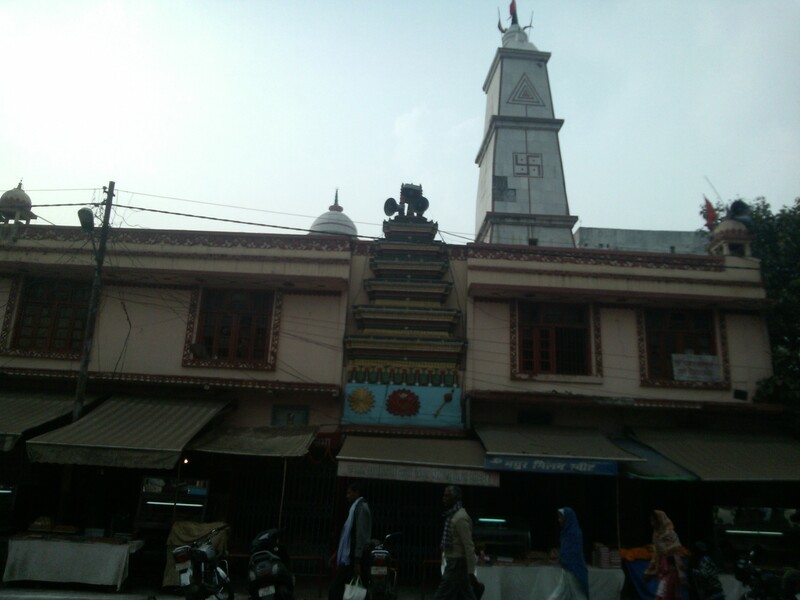 That’s because this area has prominent Shakti Peeths of Allahabad: Lalita Devi Temple And Kalyani Devi Temple! 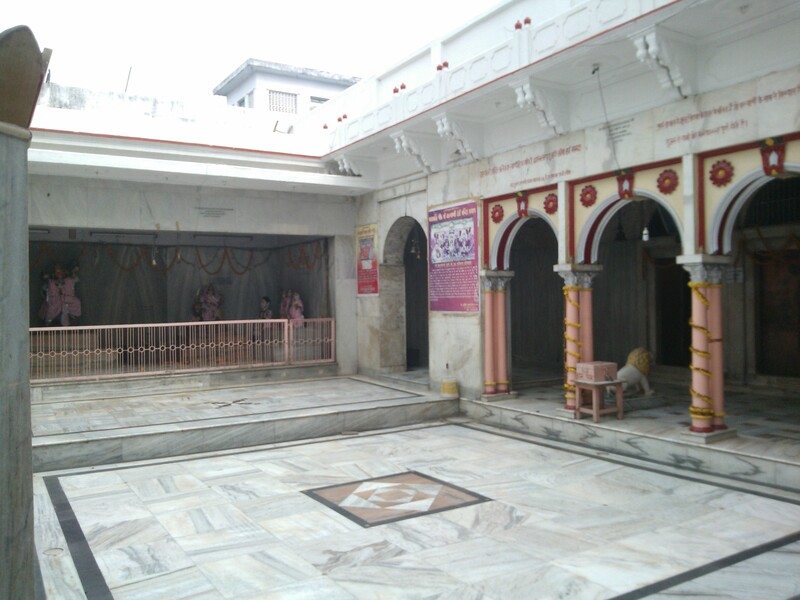 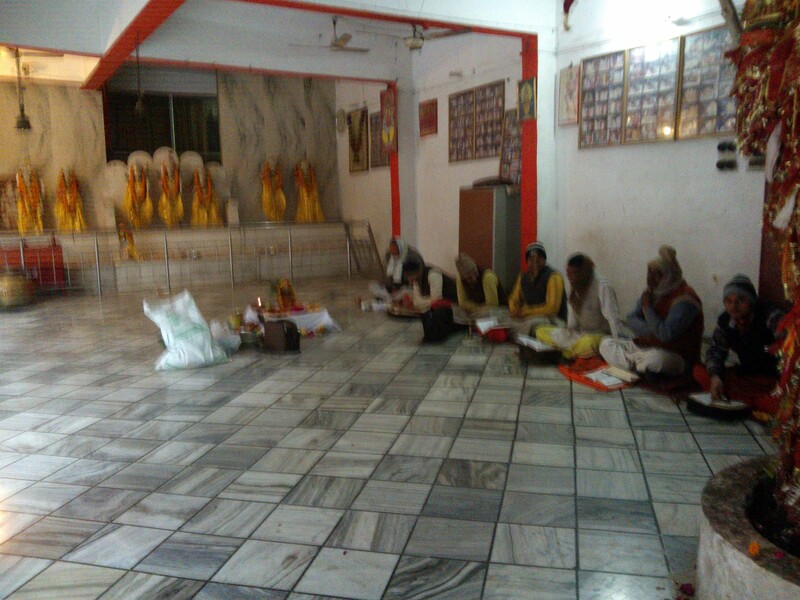 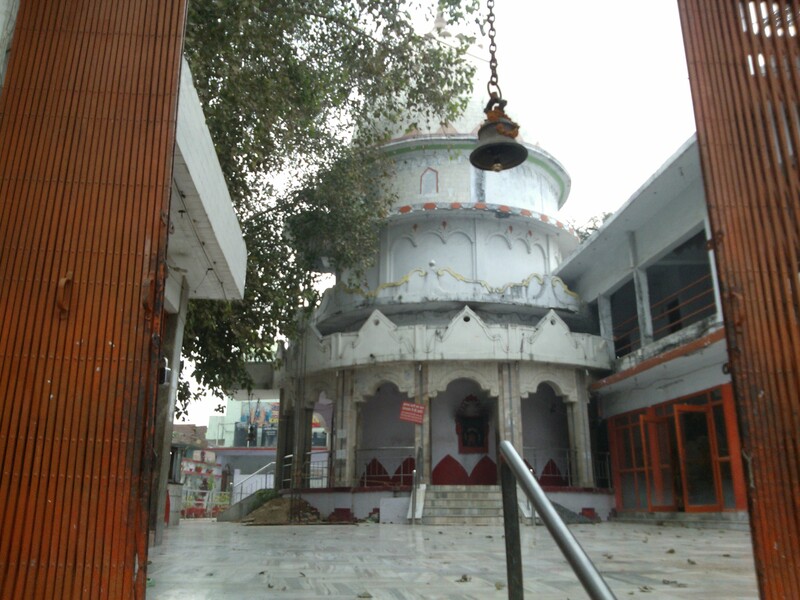 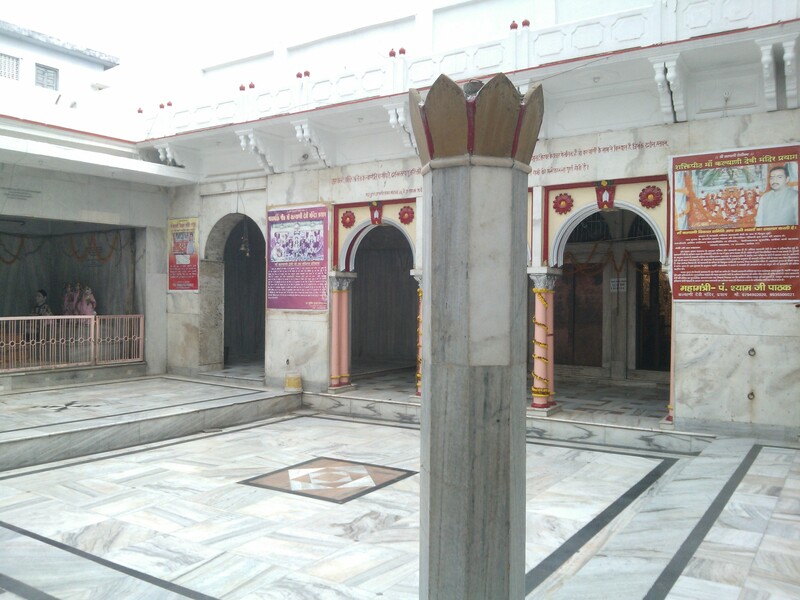 Goddess Lalita Devi Temple In Meerapur Area! 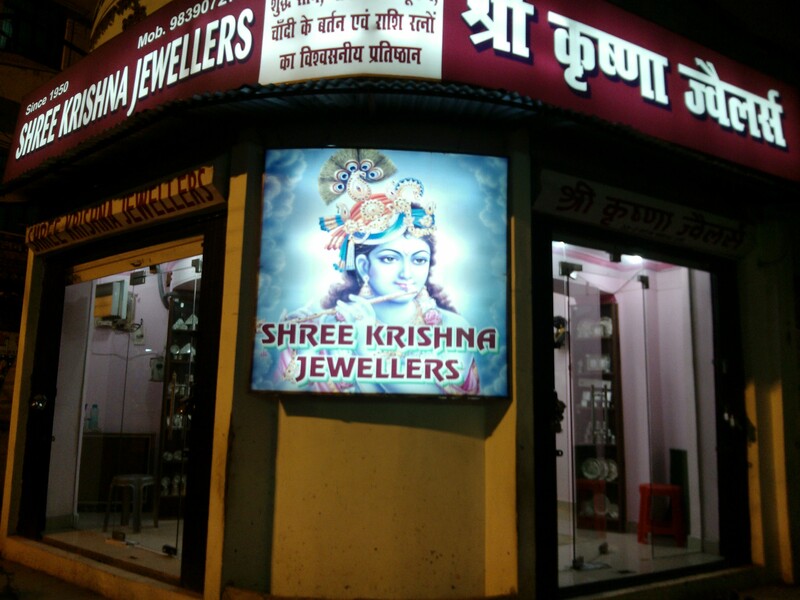 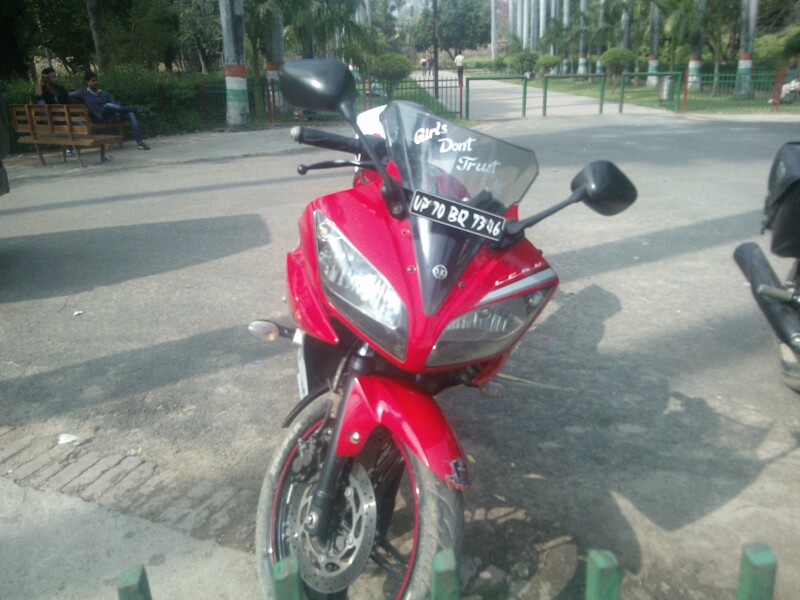 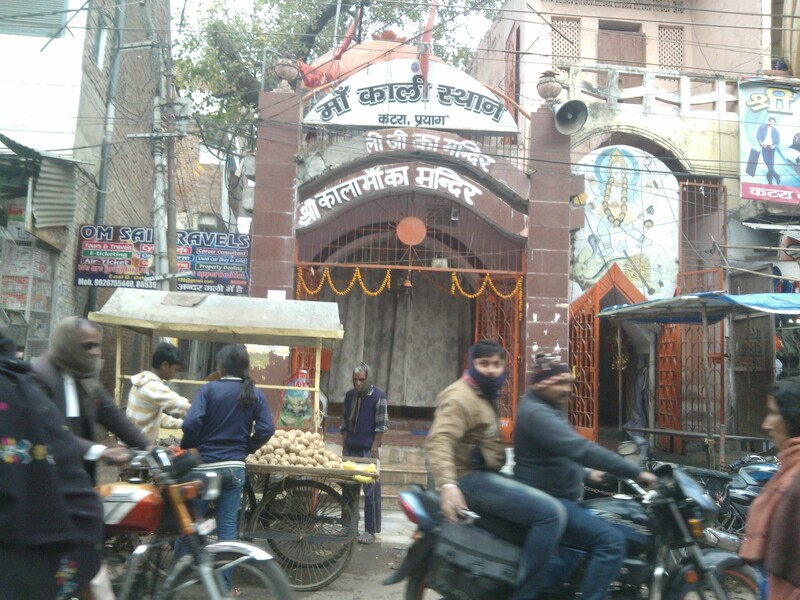 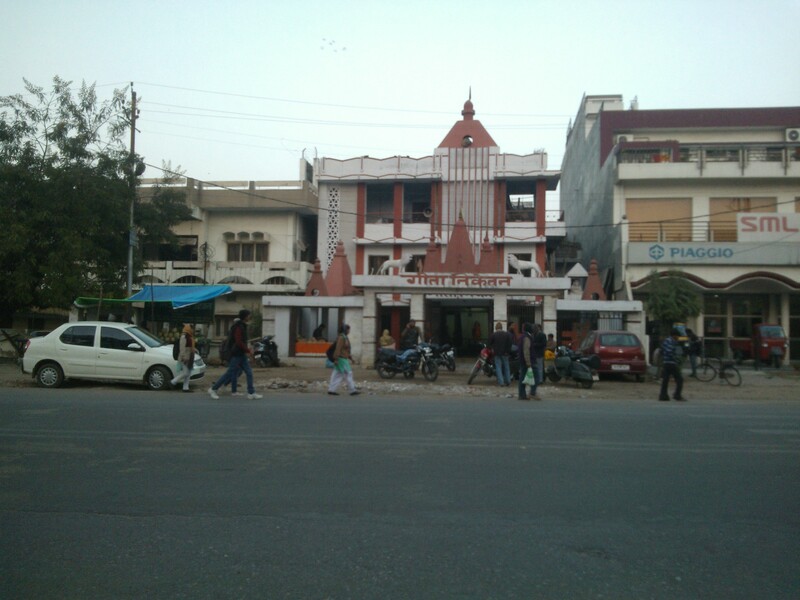 It’s one of the Shakti Pithas in Allahabad! 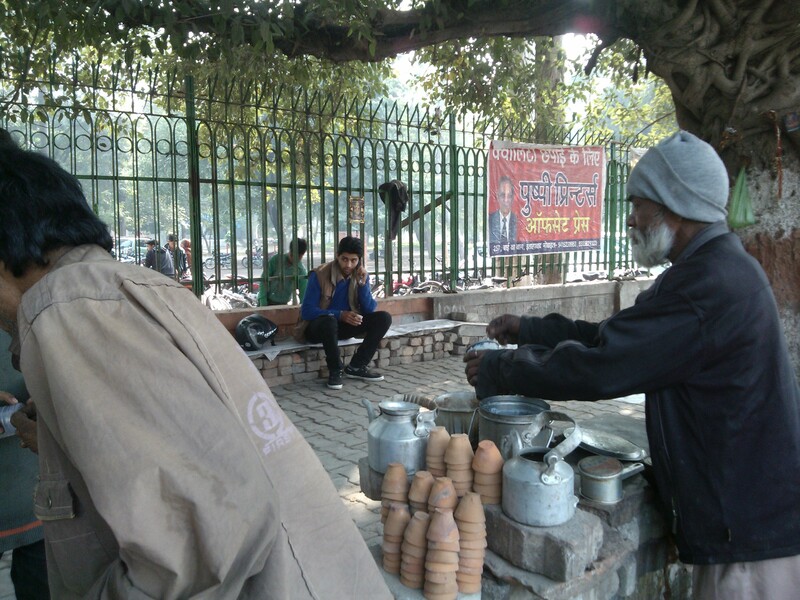 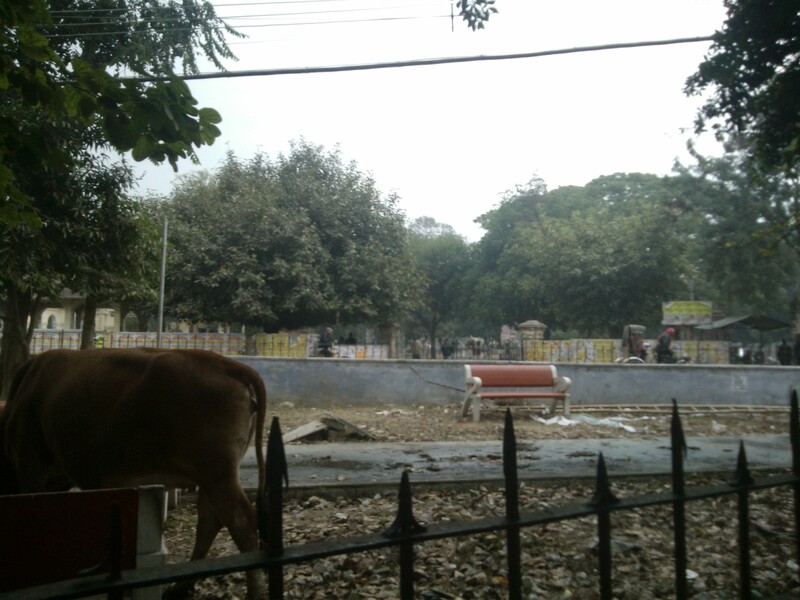 And life goes on at its usual pace outside Kalyani Deviji’s temple! 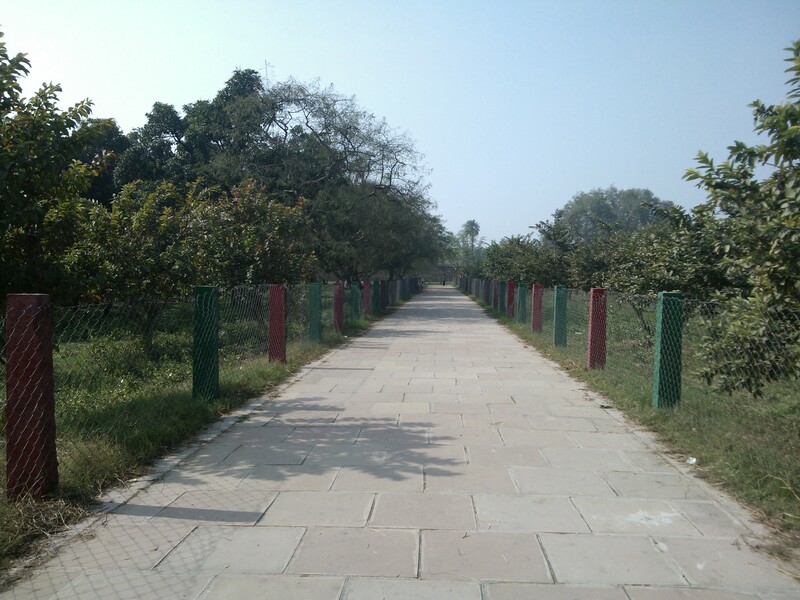 Road Adjacent To Ewing Christian College! 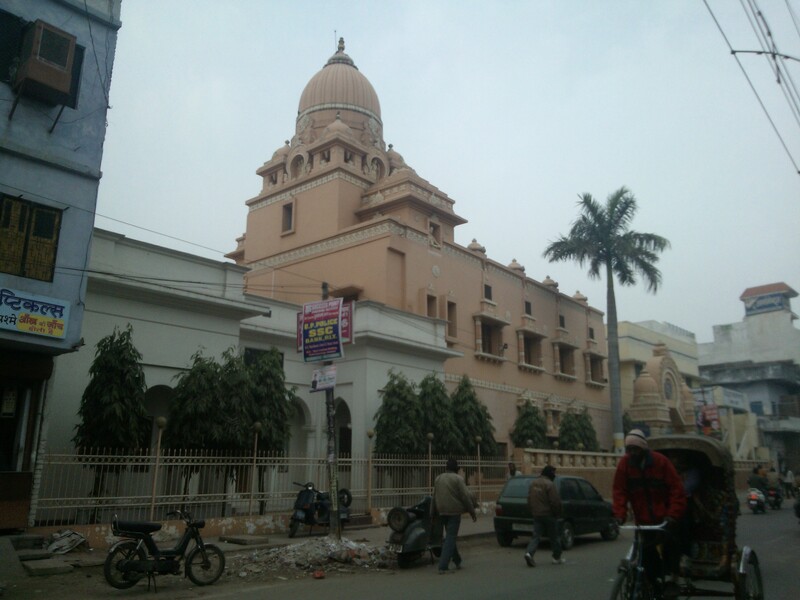 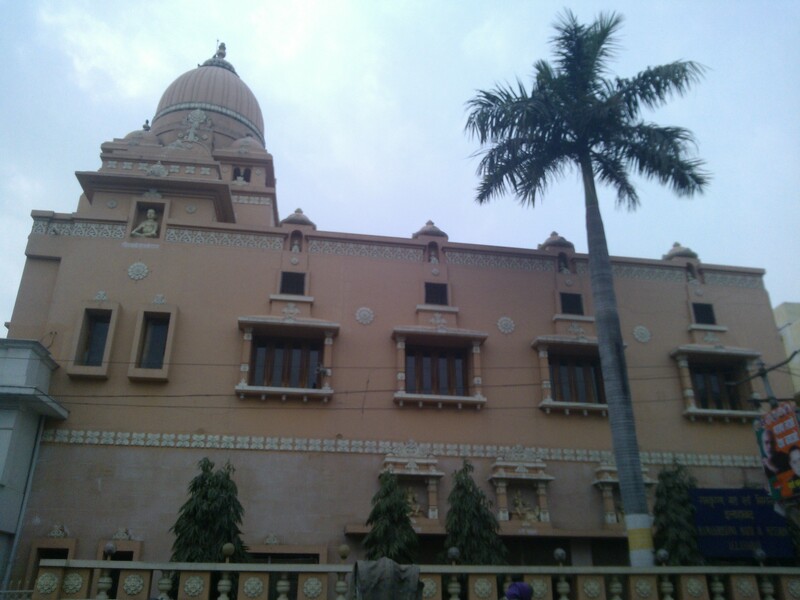 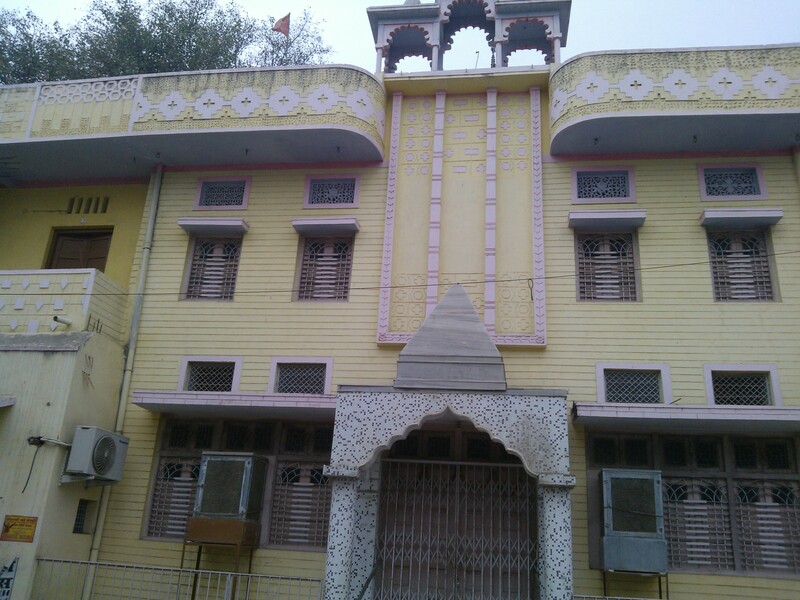 Ramakrishna Math and Ramakrishna Mission Sevashrama, Allahabad. 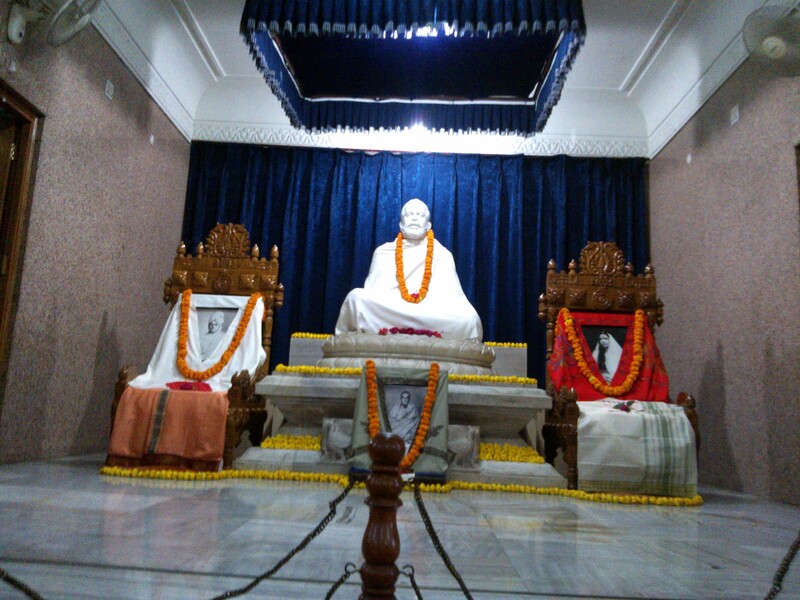 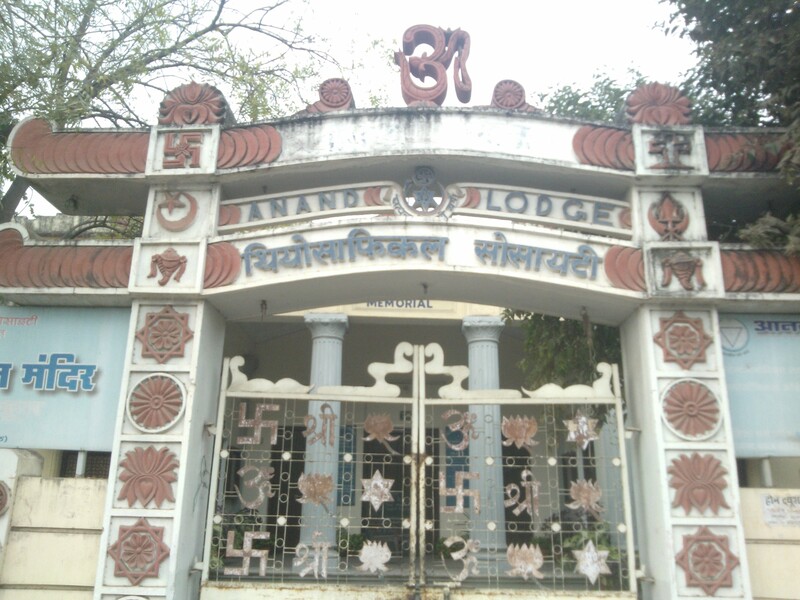 It was established by by Swami Vijnanananda in year 1908! 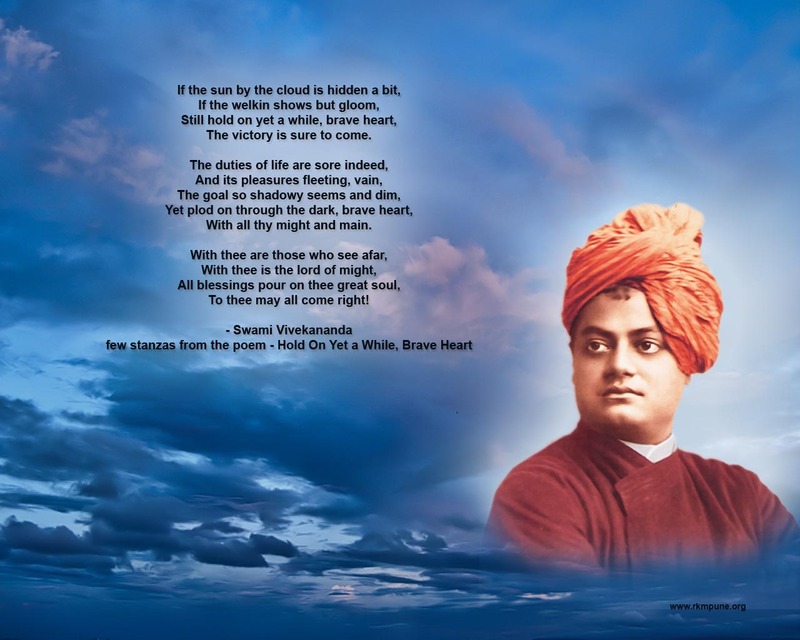 He was a monastic disciple of Sri Ramakrishna! 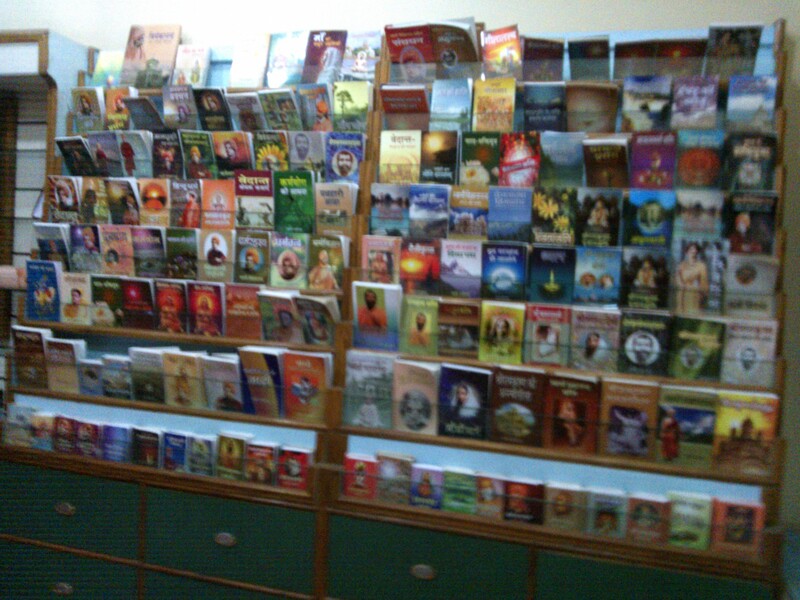 It has got its own wonderful library! 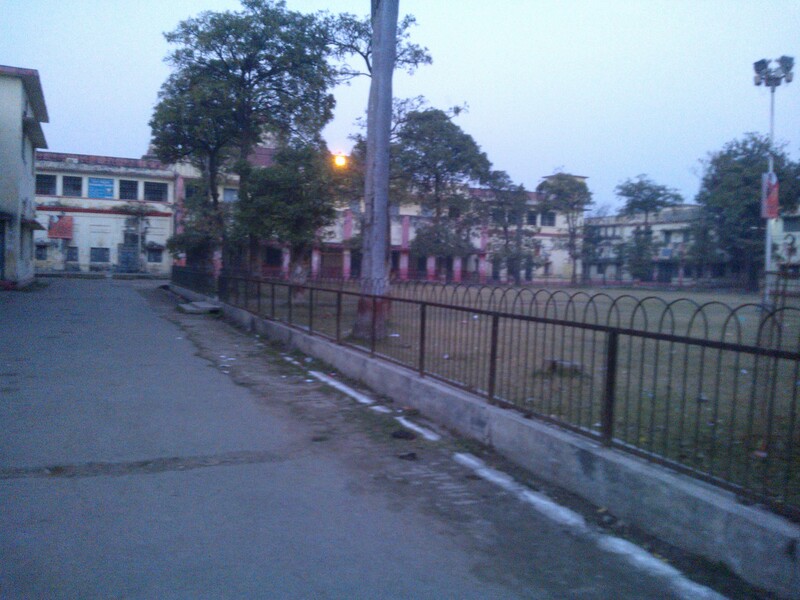 No wonder this Mission is so popular among students! 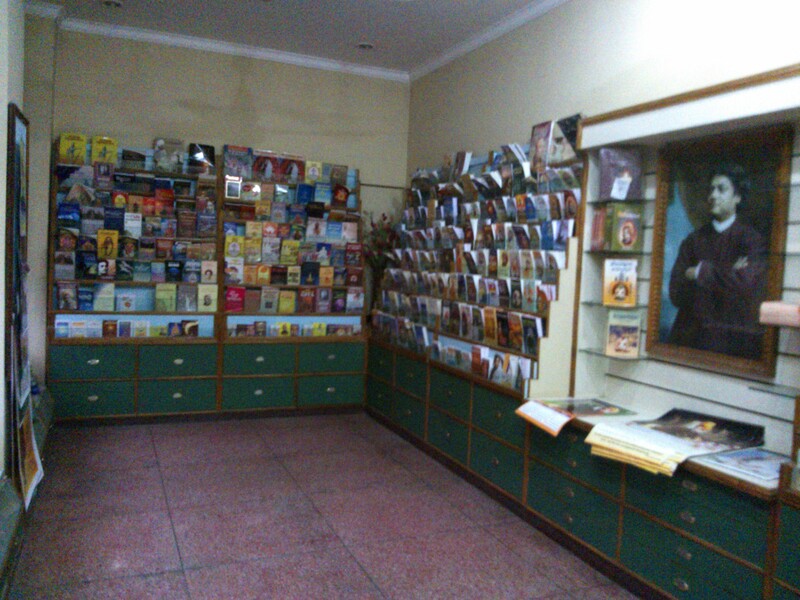 Meditation room inside this Mission having images of Sri Ramakrishna, Ma Sarada Deviji, Swami Vijnanananda ji and Swami Vivekananda ji! 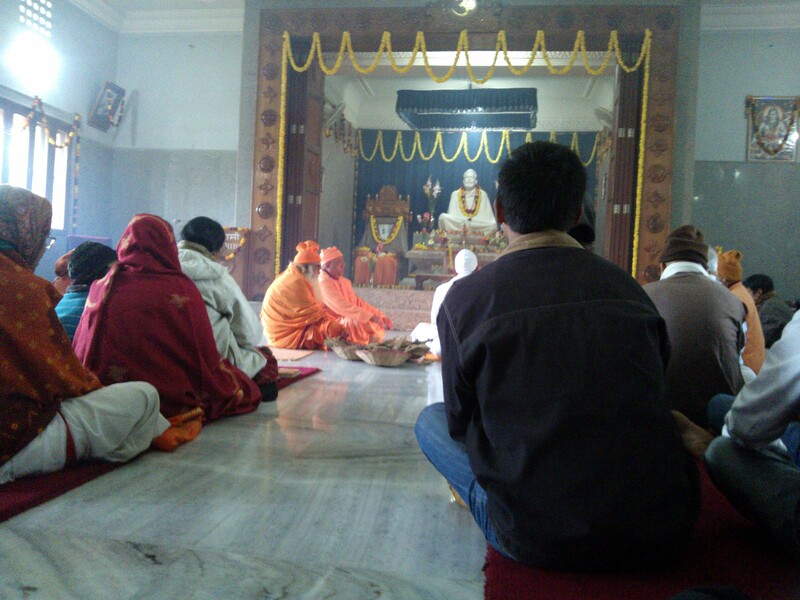 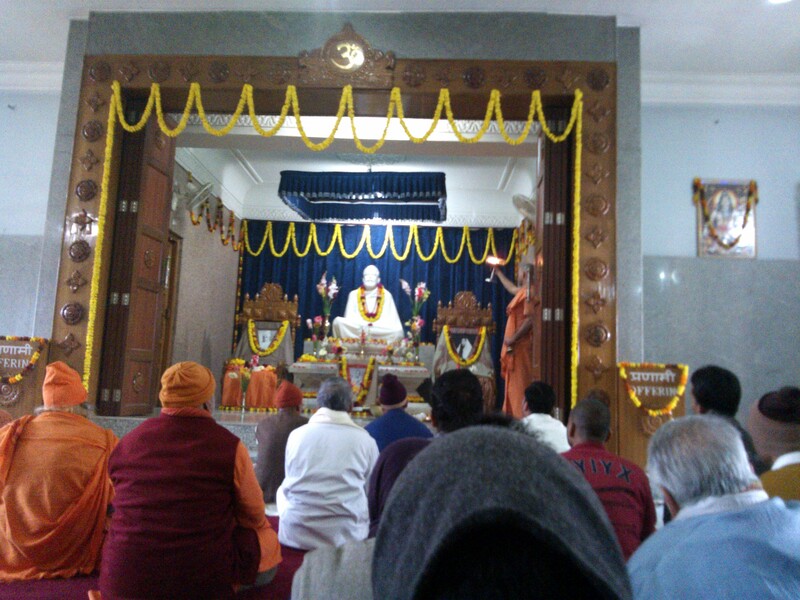 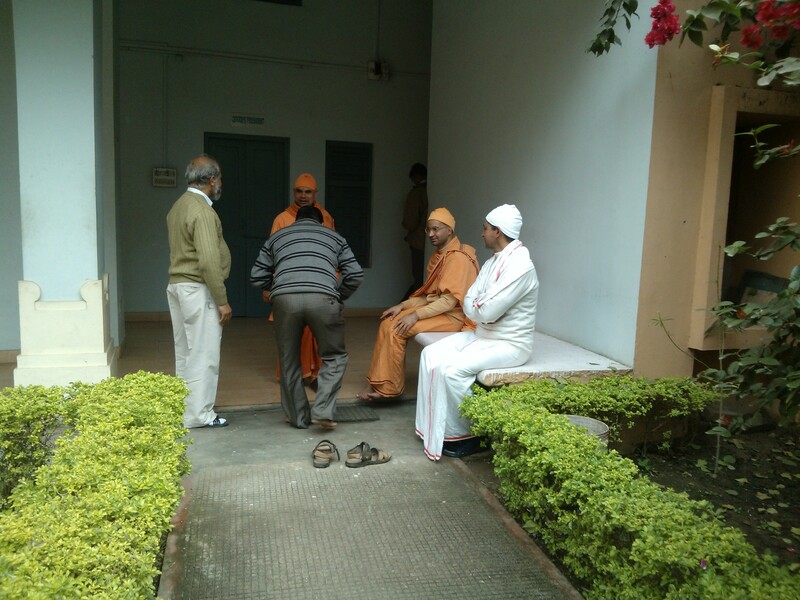 Swamijis at Ramakrishna Mission are very well-informed, highly educated and down-to-earth people! 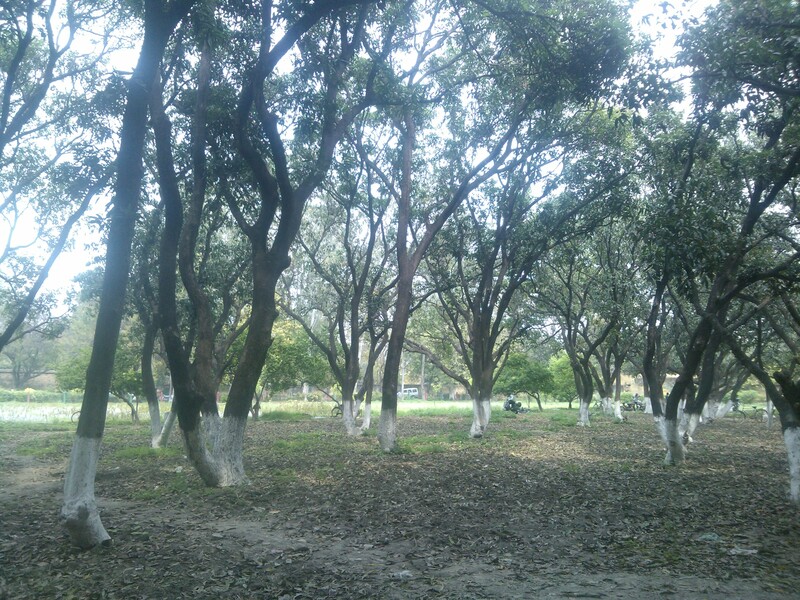 This place cultivates best varieties of Guava. 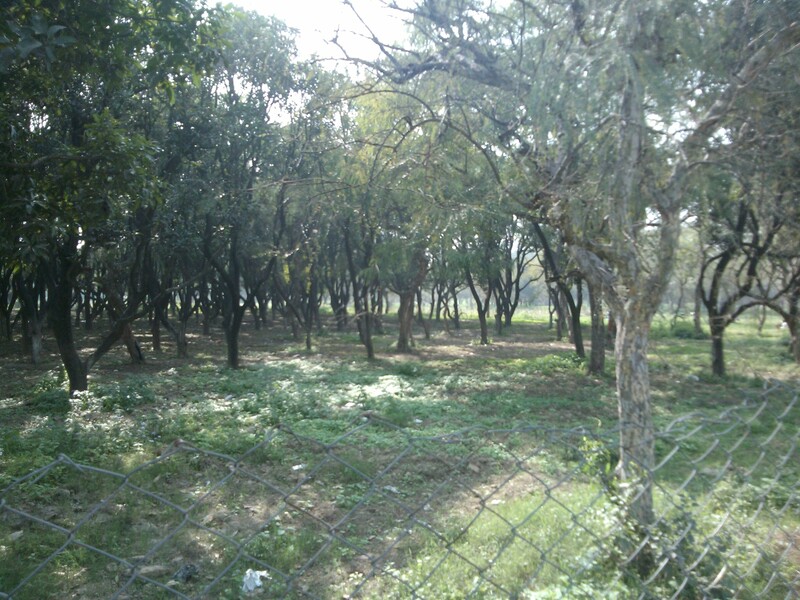 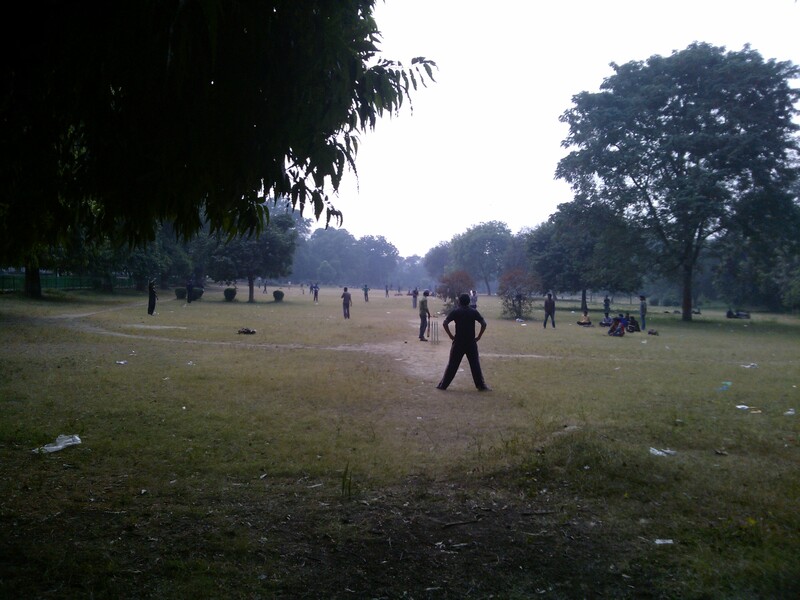 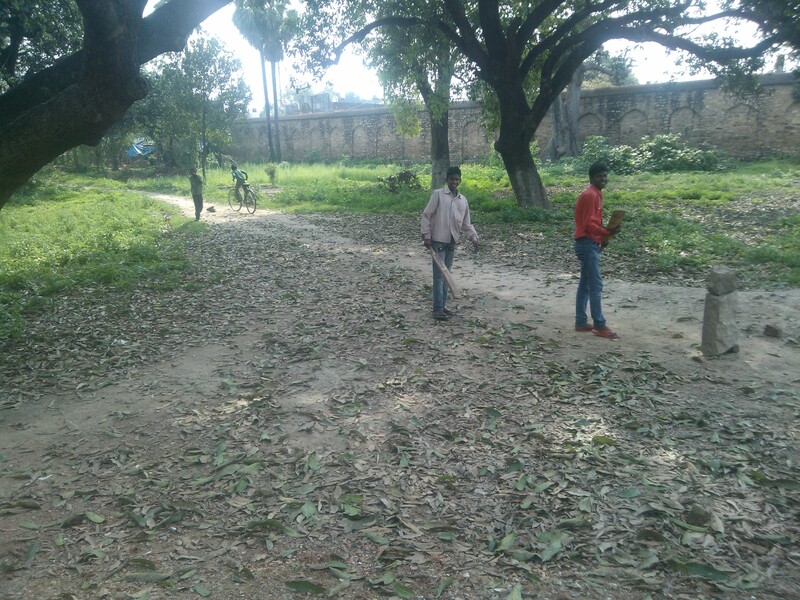 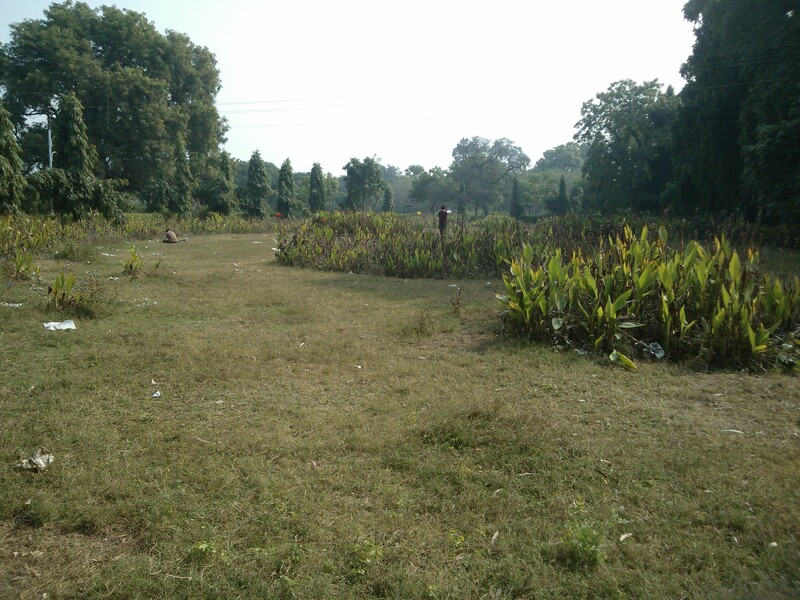 This park is about to get the status of National Eco-Knowledge Park! 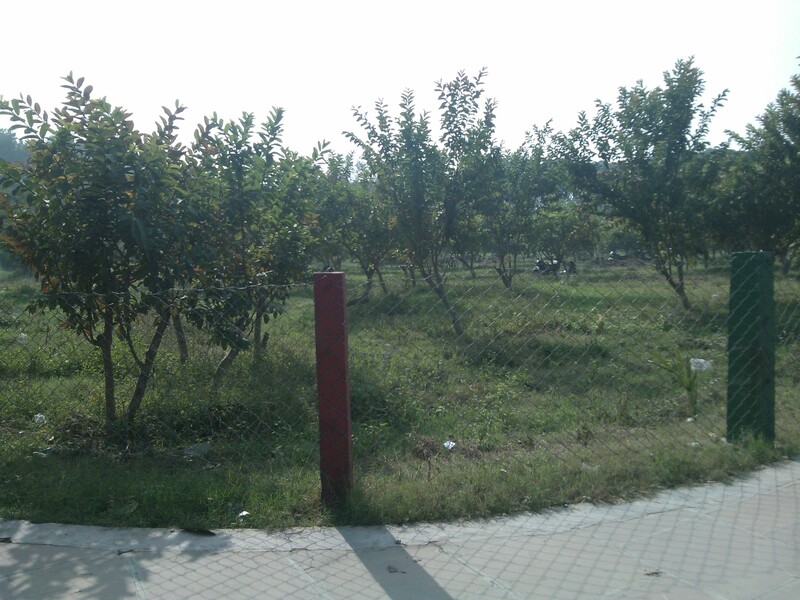 Besides Guava trees a large number of mango trees are found here! 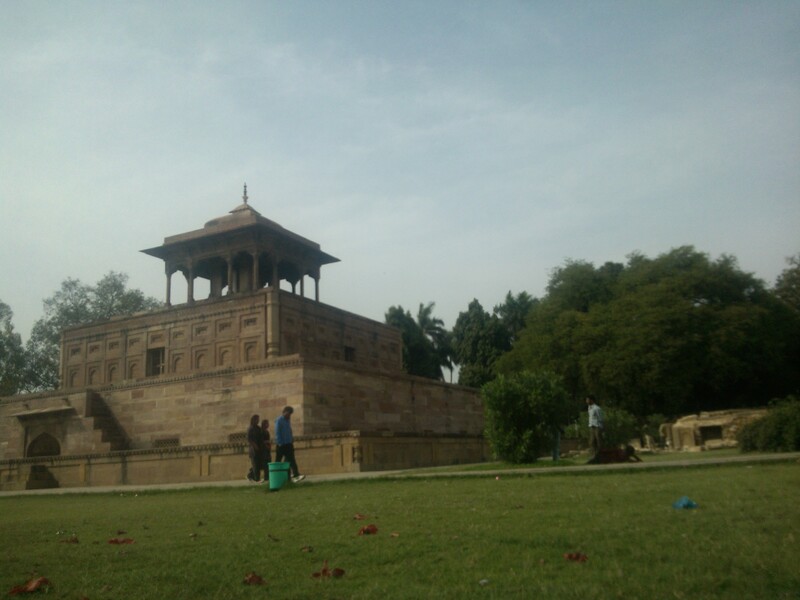 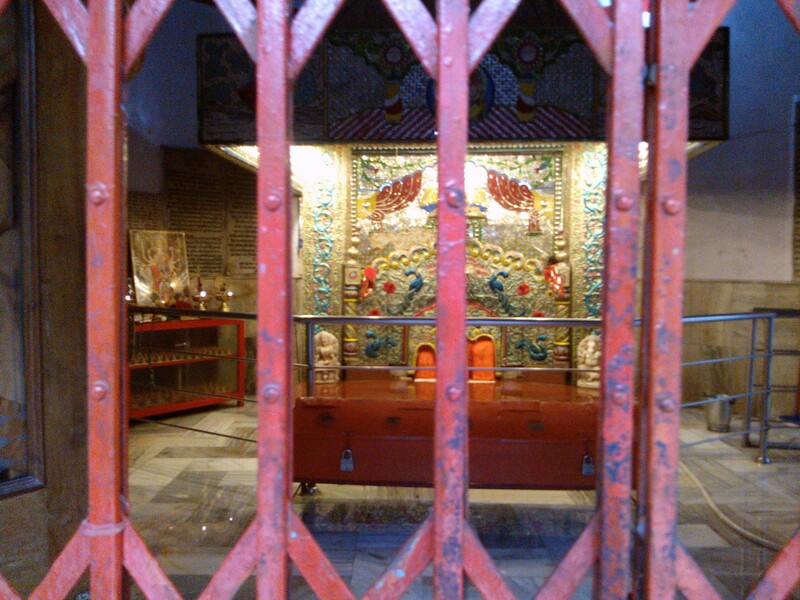 One of the tombs situated inside the Khusro Bagh! 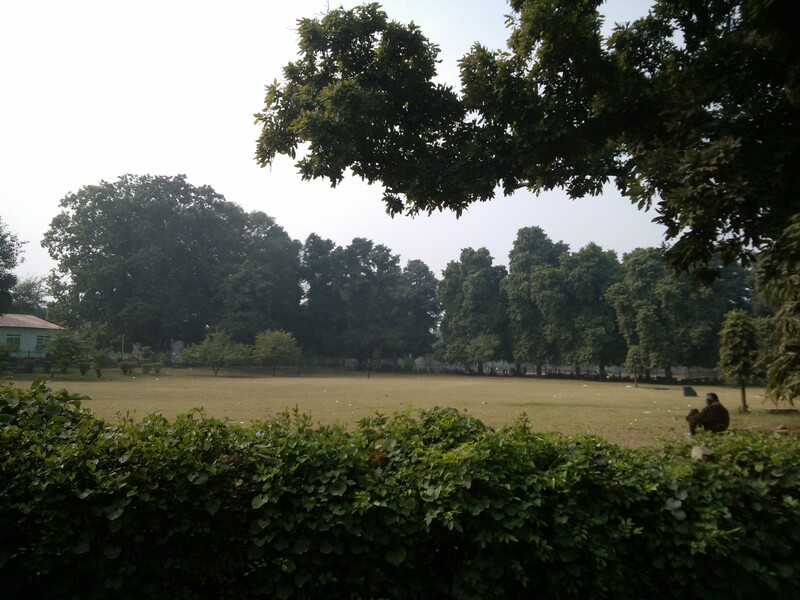 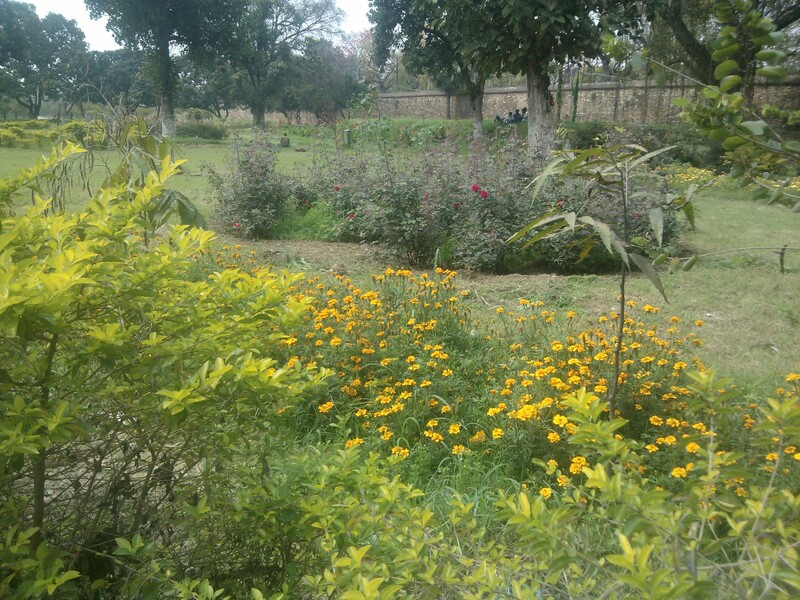 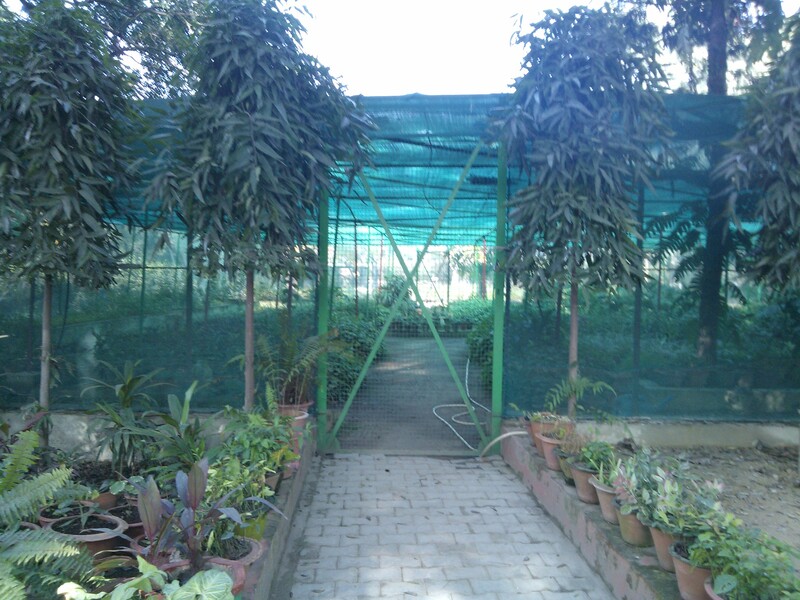 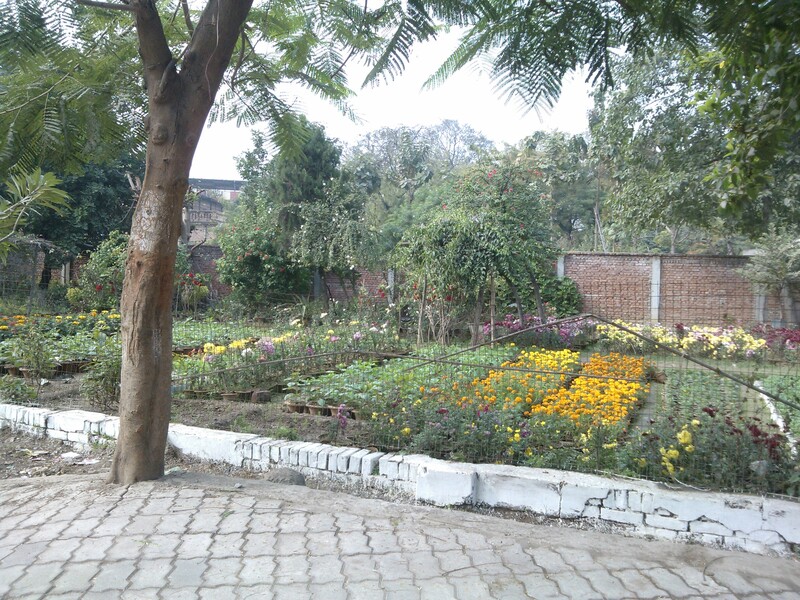 Green house plantation inside the Khusro Bagh! 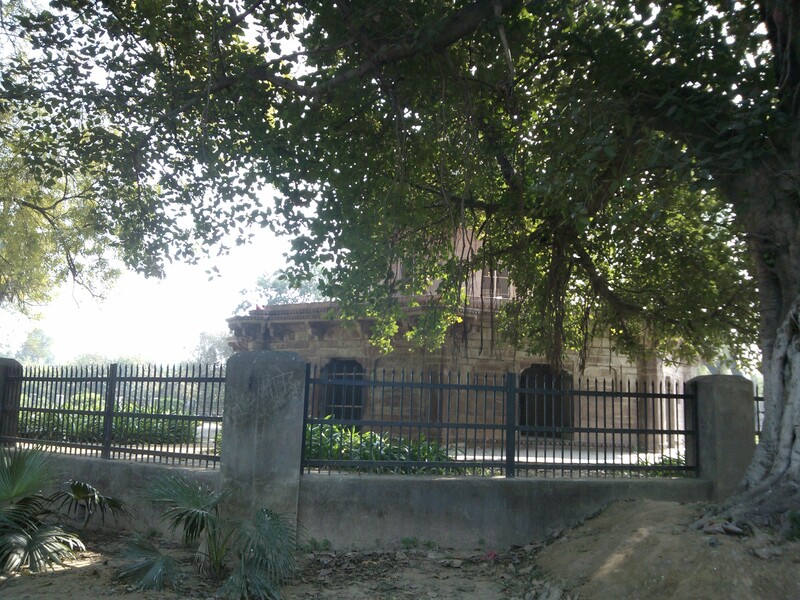 Another Tomb Inside Khusro Bagh! 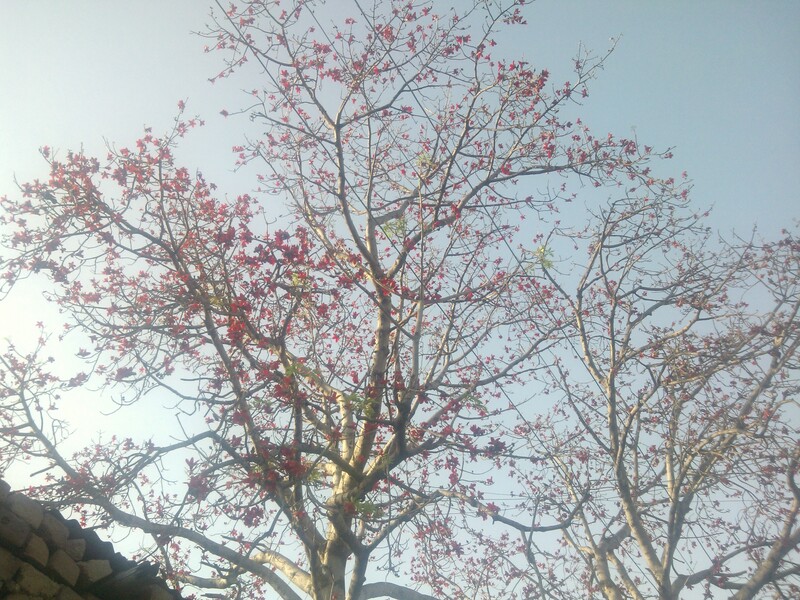 That’s commonly called Cotton Tree (Bombax ceiba). 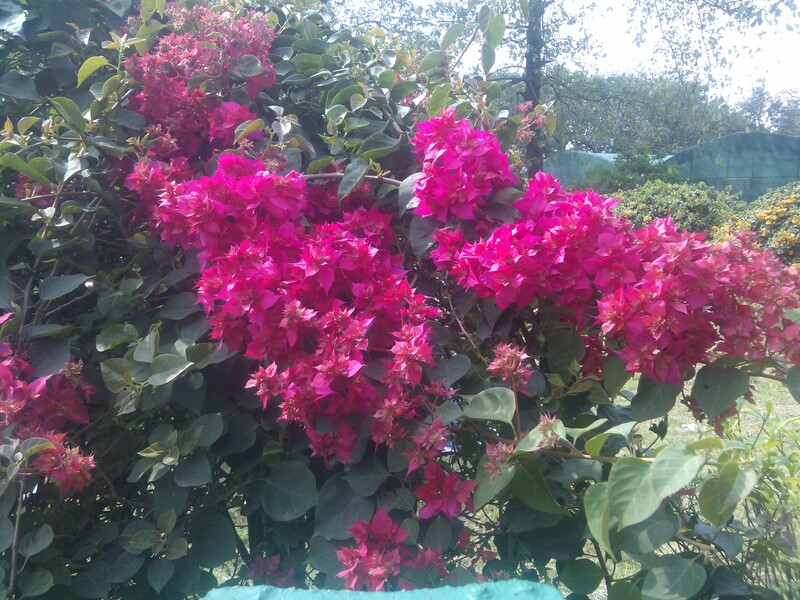 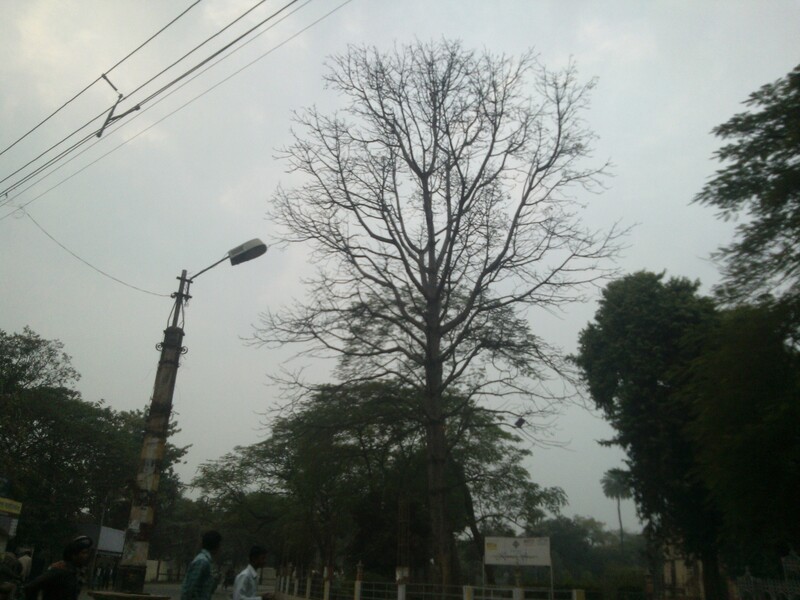 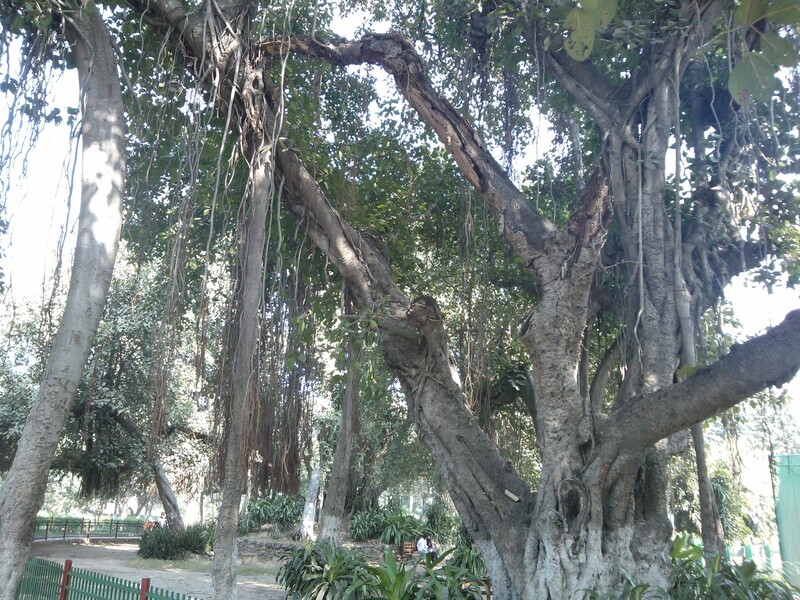 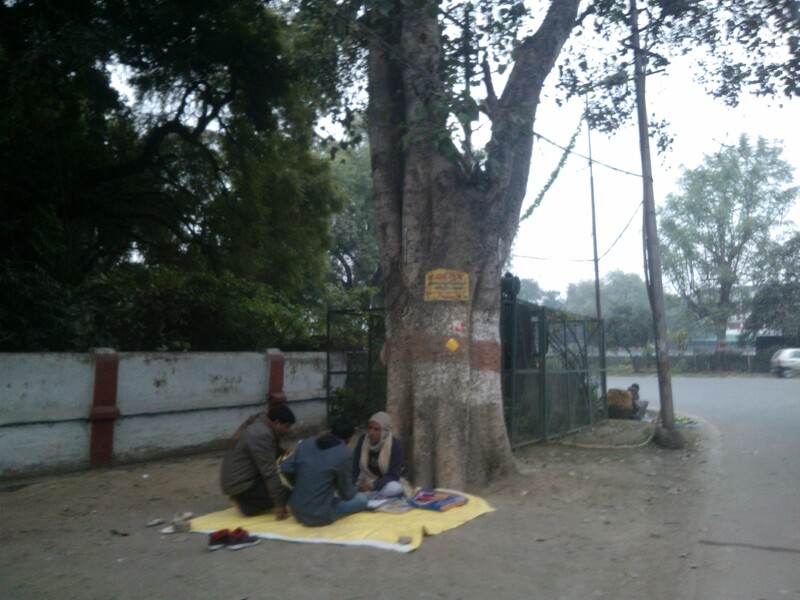 In India it’s called Semal and we often notice this tree along the road in Allahabad! 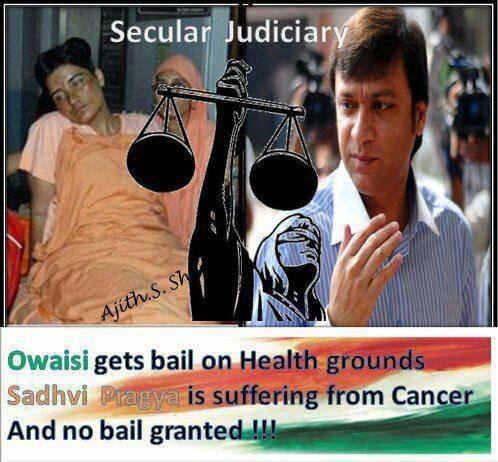 May Lord always give such unfortunate souls enough to eat! 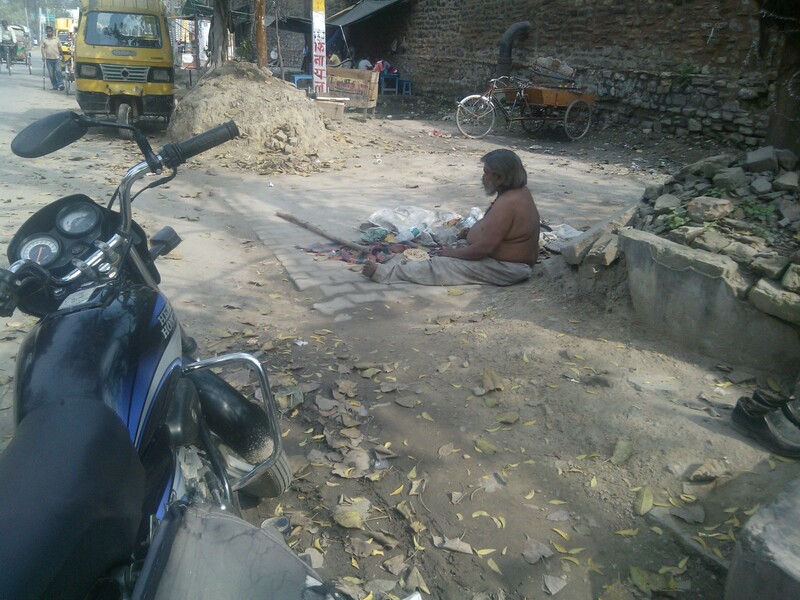 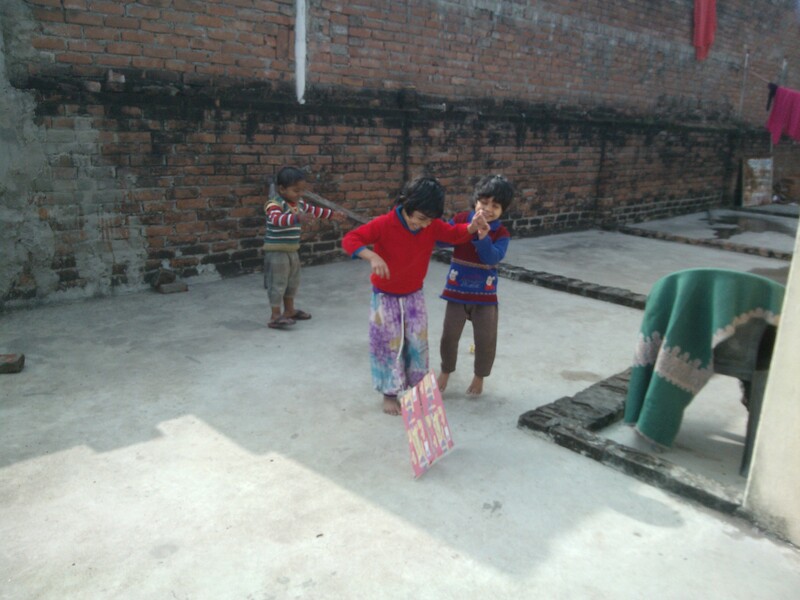 I wonder why state-governments do nothing for these abandoned souls? 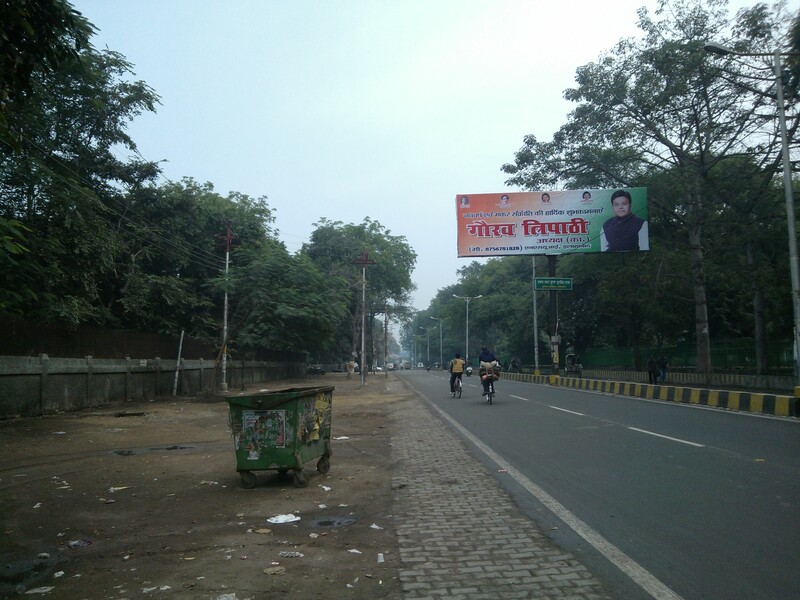 It’s really a sad scene! 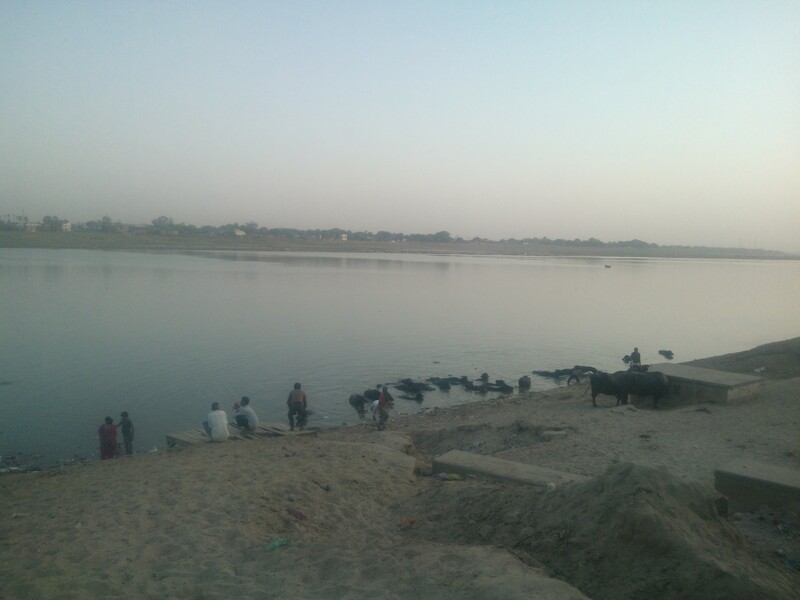 And these are fortunate souls, who came to take a dip at Sangam during Kumbh Mela..Now they are happily returning back to their respective places! 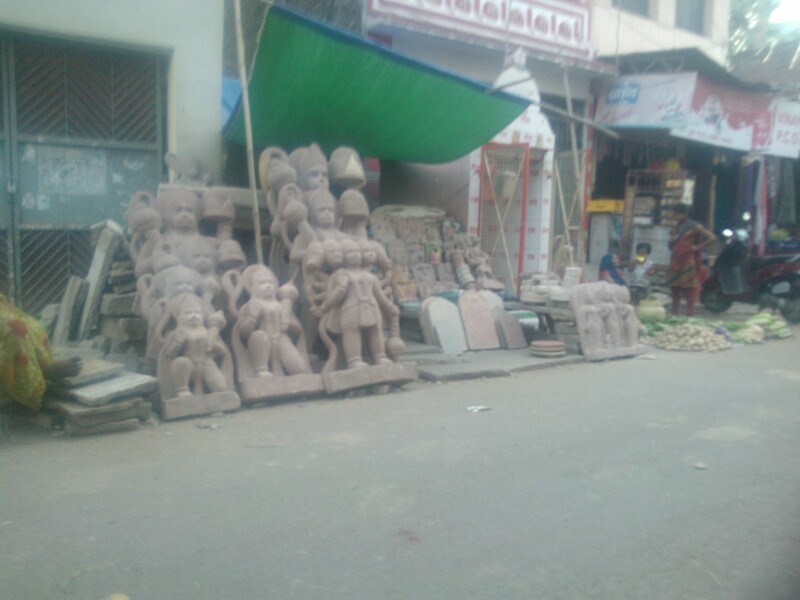 They come from distant lands, facing all sorts of hardships! 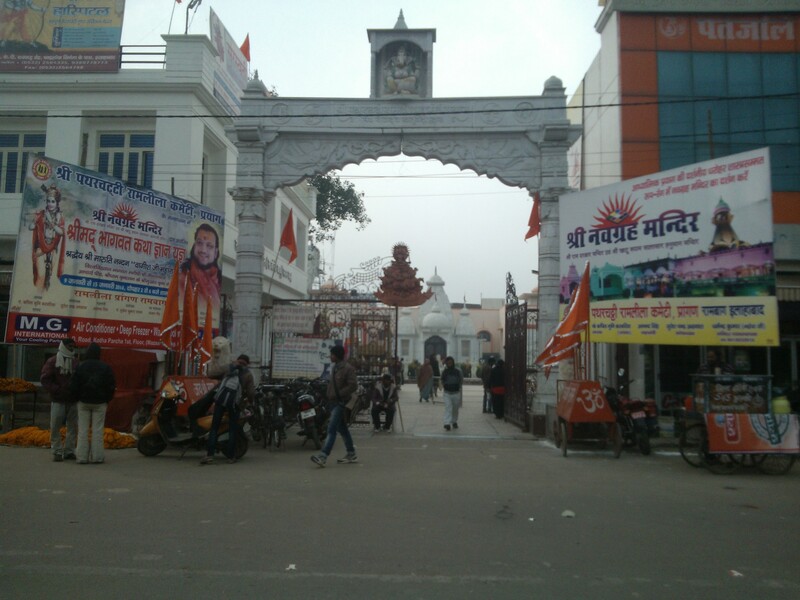 Varanasi sees foreign visitors throughout the year but in Allahabad foreign visitors come only during special occasions like Kumbh Mela, International Conferences and etc. 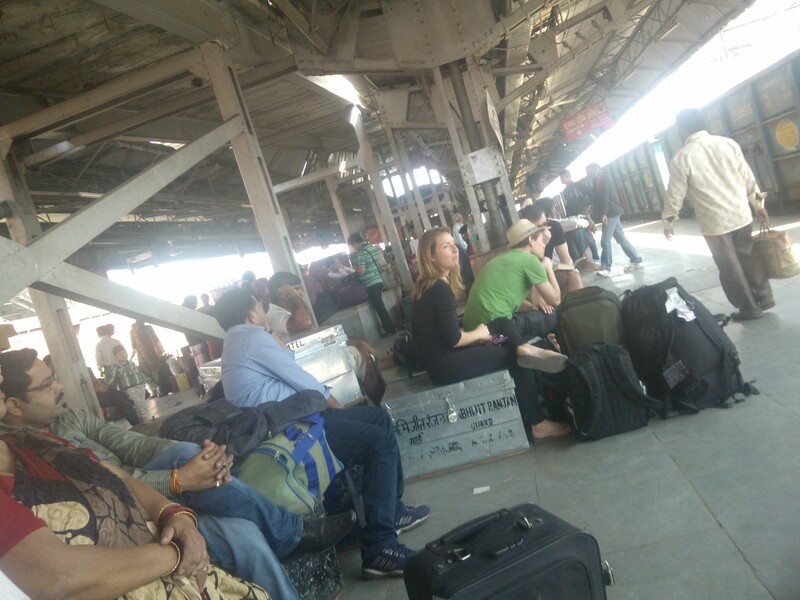 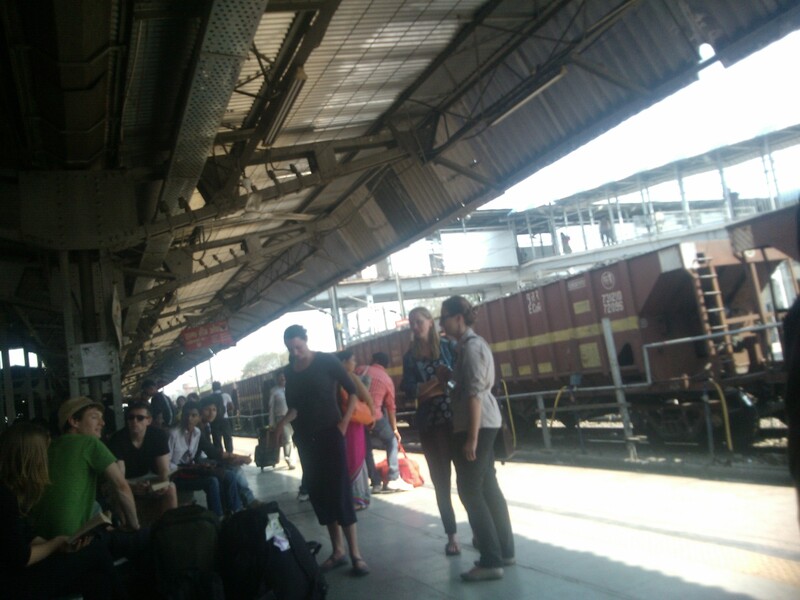 Here they are seen waiting for train at Allahabad Junction! 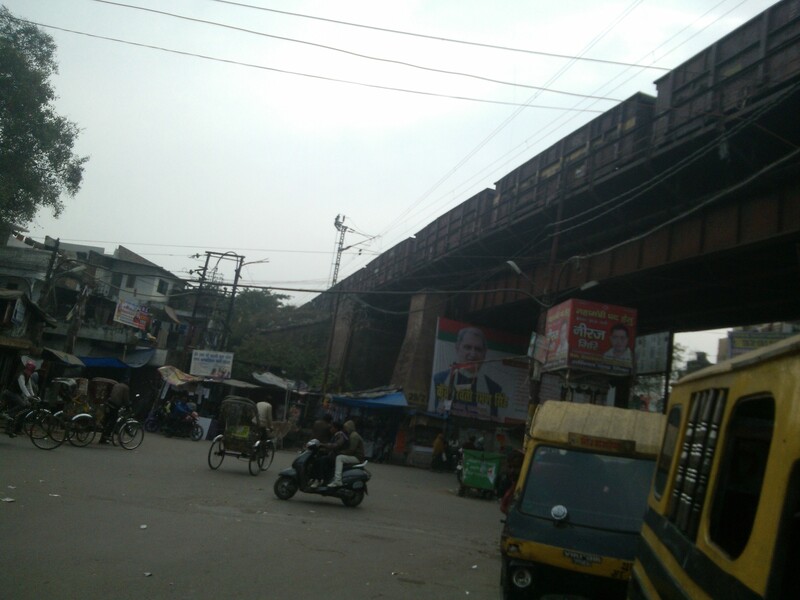 A Railway Over-bridge close to my locality!! 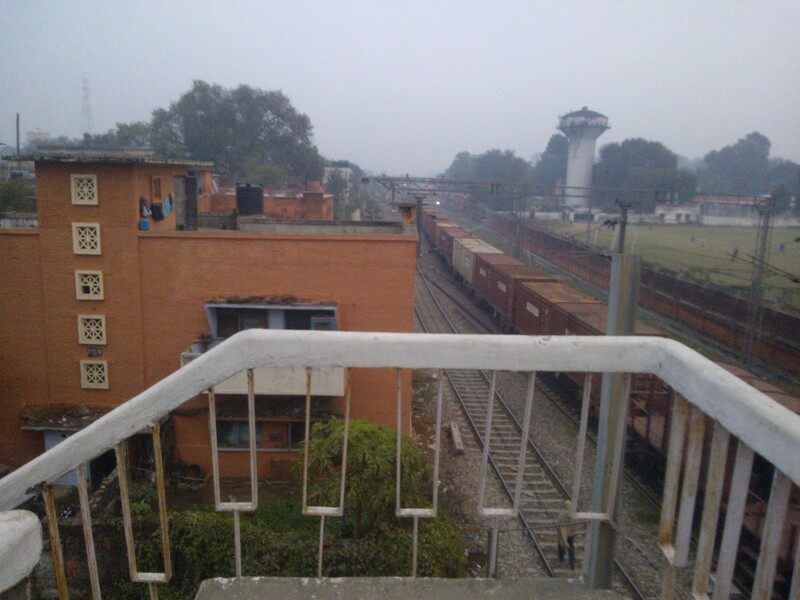 And notice one guy walking in the middle of the railway tracks! 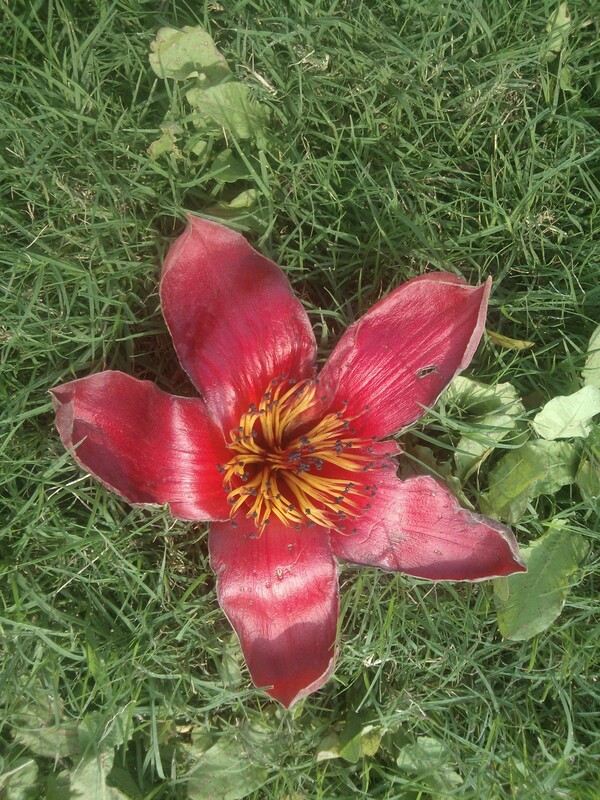 That’s why tragedies take place! 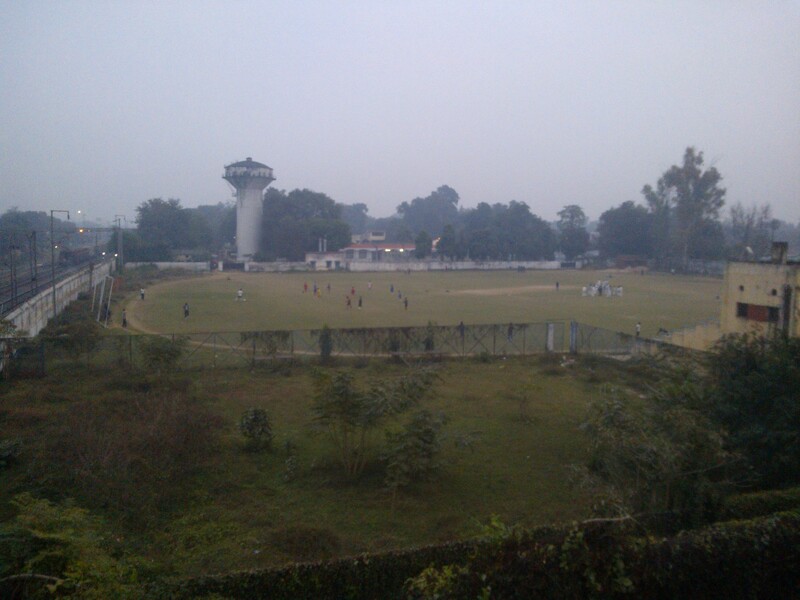 Sports Stadium Belonging To Railways! 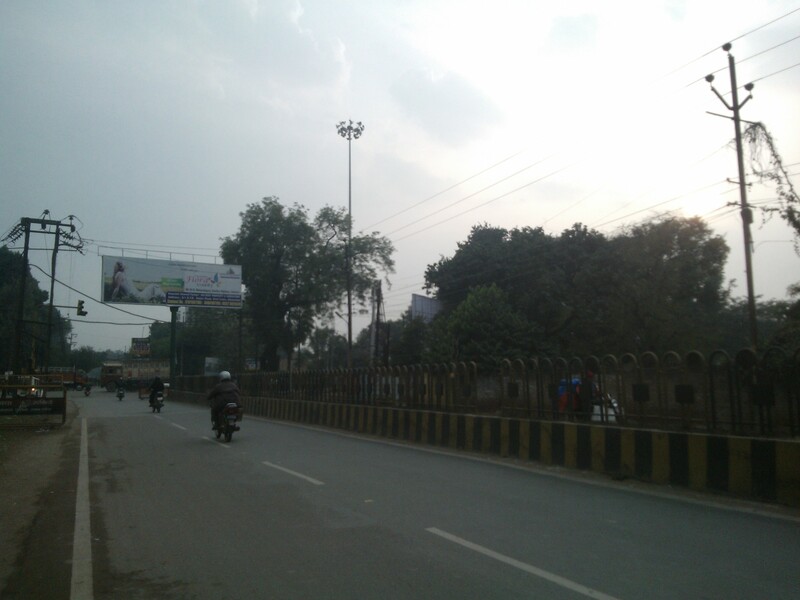 On the road near Baluva Ghat! 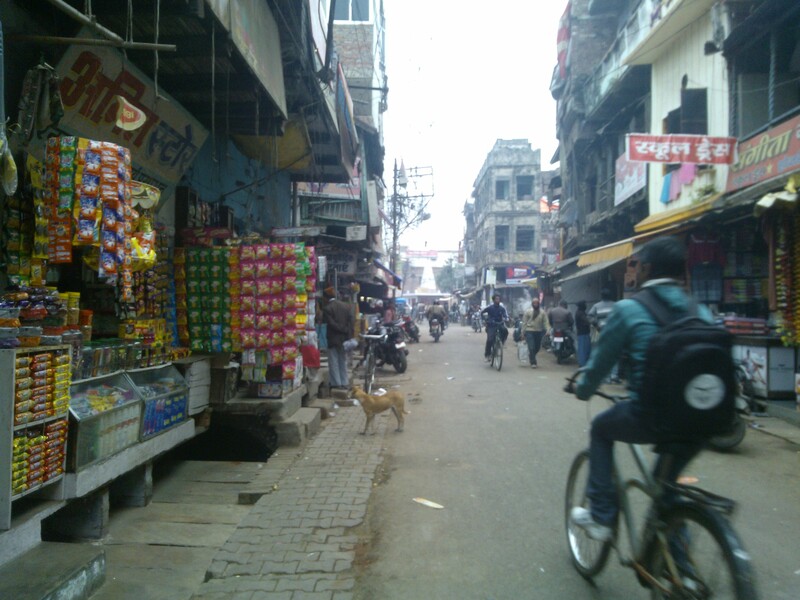 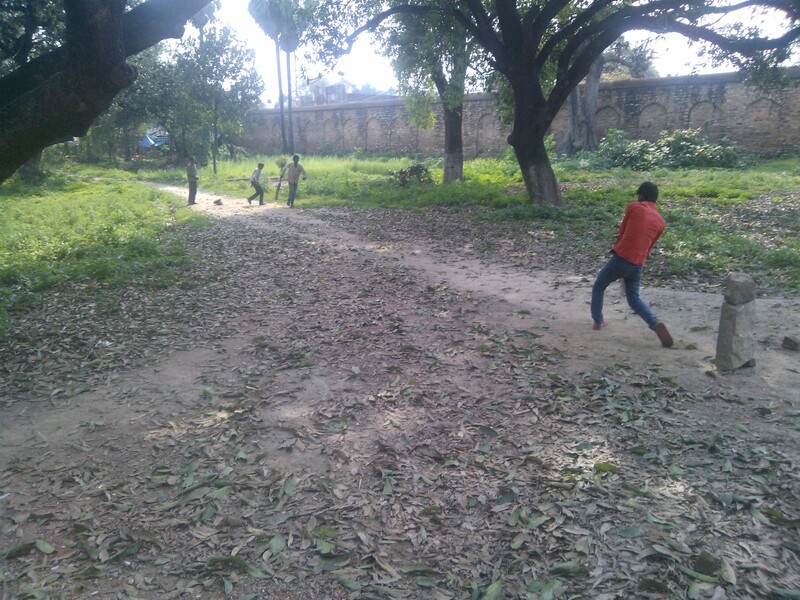 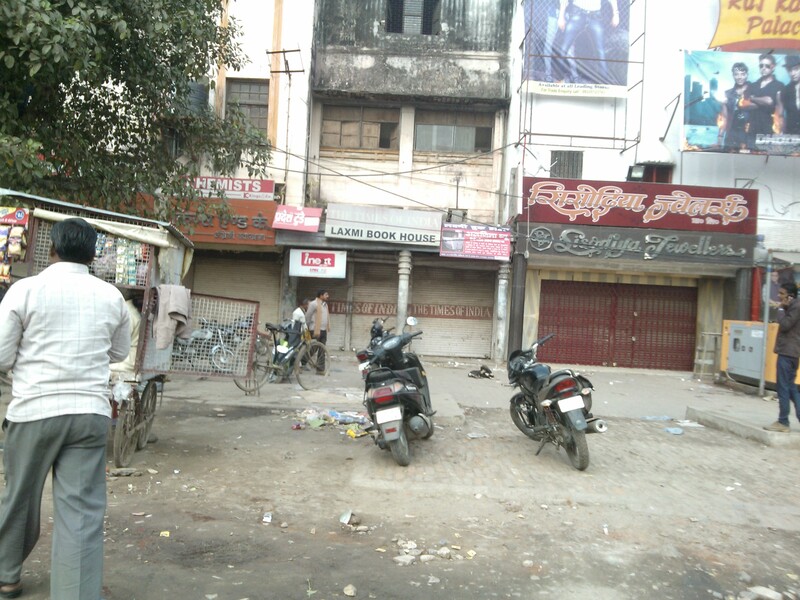 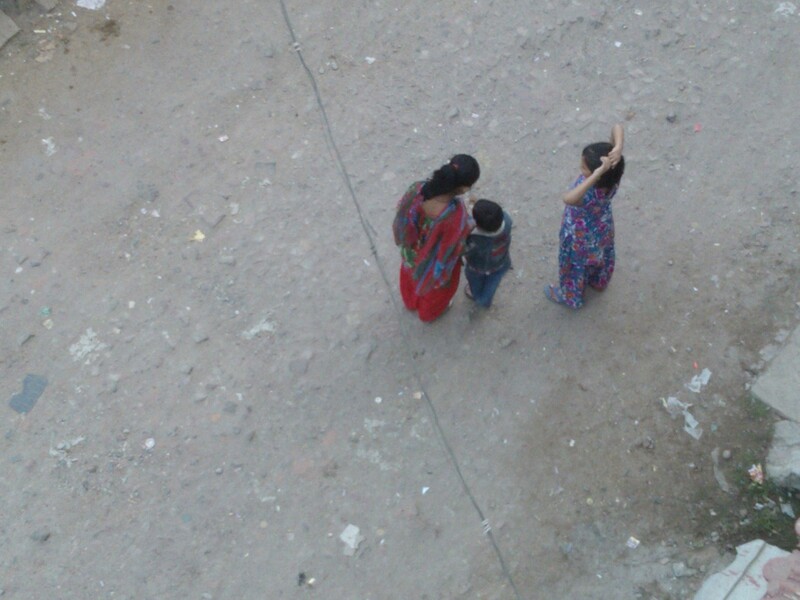 This area is in old Allahabad! 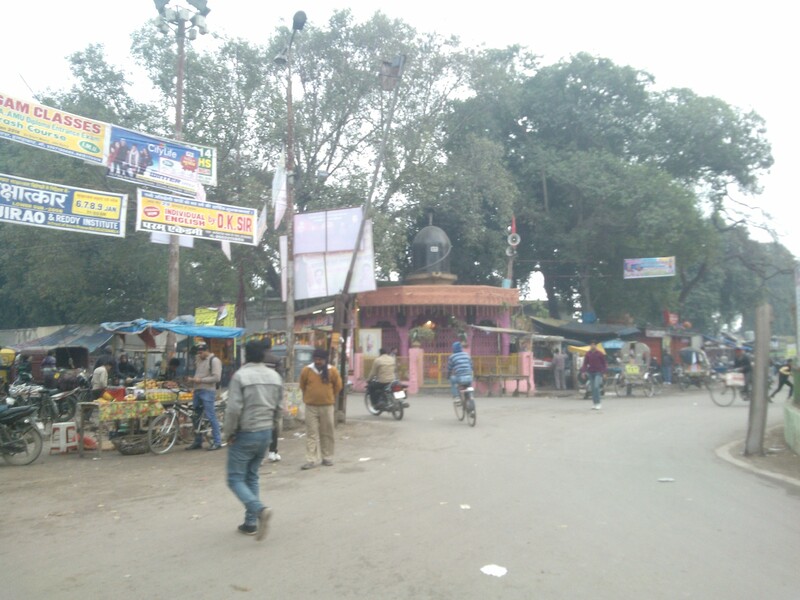 Activities Near Baluva Ghat. 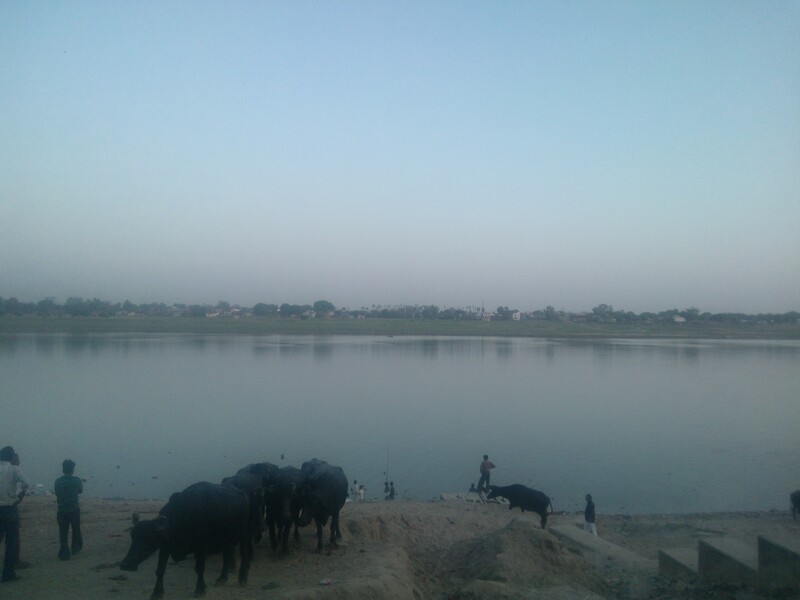 Well, ghat in India signifies that we are close to the bank of a river! 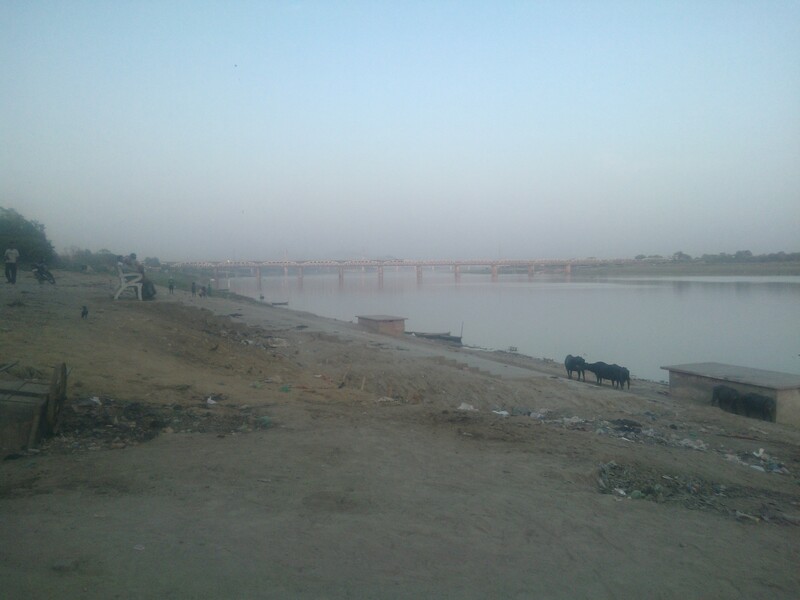 Ma Yamuna ji ..She is very dear to Lord Krishna 🙂 And I am really disappointed to see so much garbage on its banks..Let’s not forget that it’s a very busy place owing to religious ceremonies taking place throughout the year. 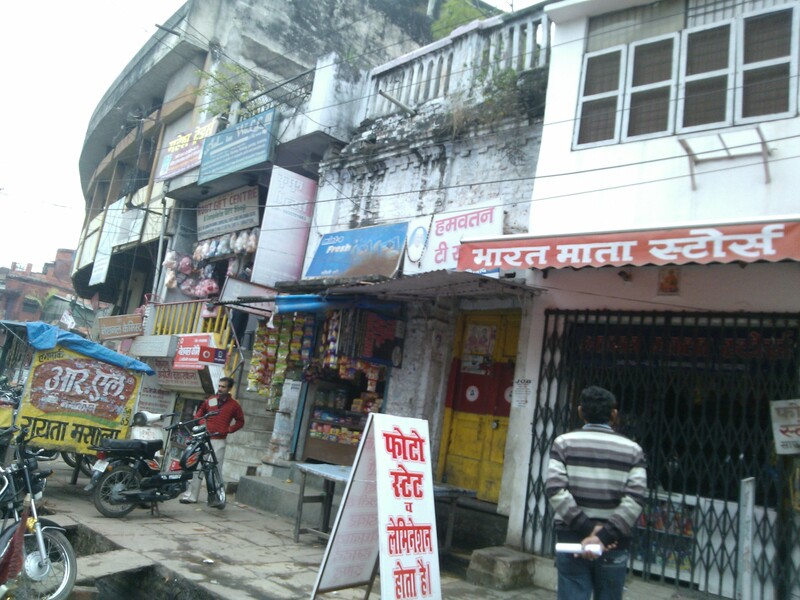 Scenes around Baluva Ghat made me feel I have traveled back in time!